April 25 is Take Our Daughters and Sons to Work Day. 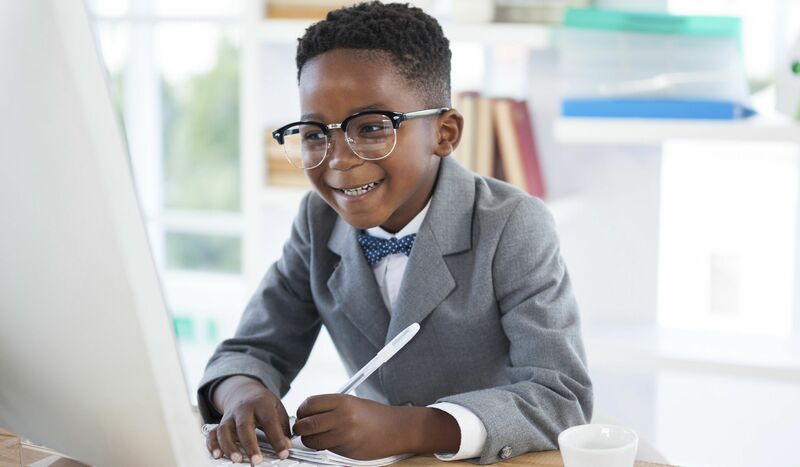 Give the tools your kids need to get ahead and start thinking about their future career. Prepare your kids for their future with exercises on building personal brands. A personal brand is how you sell yourself to the world. When thinking about future careers, the first step to being a success is having a strong network. To have a strong network, the first thing to do is establish yourself as a strong candidate for potential job positions. In order to do this, you must first establish a strong personal brand for yourself. Get started with this Build Your Personal Brand worksheet. It will guide kids in what they need to think about in order to start building their brand. Once this is complete, follow the steps to creating an Elevator Speech. Use this worksheet to both create and practice an elevator speech. Kids will have 3 minutes to sell themselves to a potential employer. Use these activities while at work as practice. 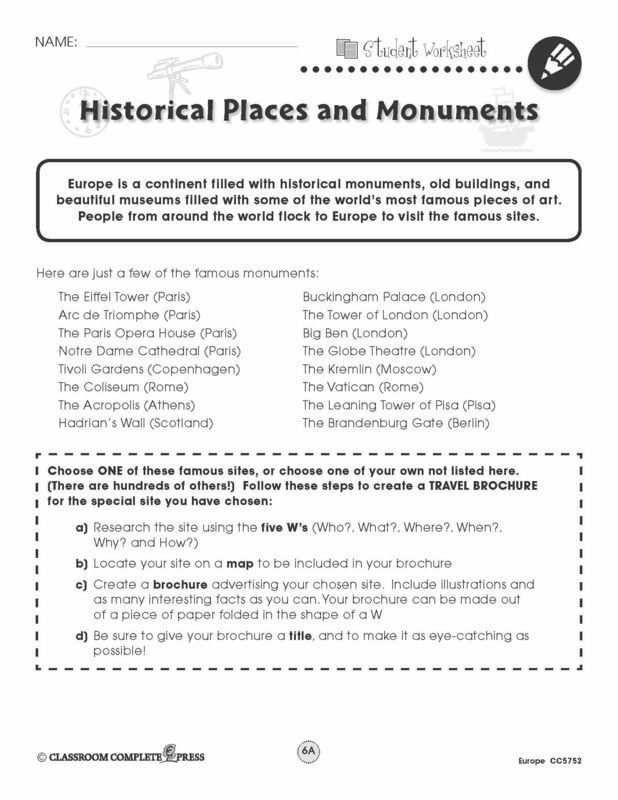 Visit the Social Studies section of our FREE CONTENT page for more free Life Skills worksheets. 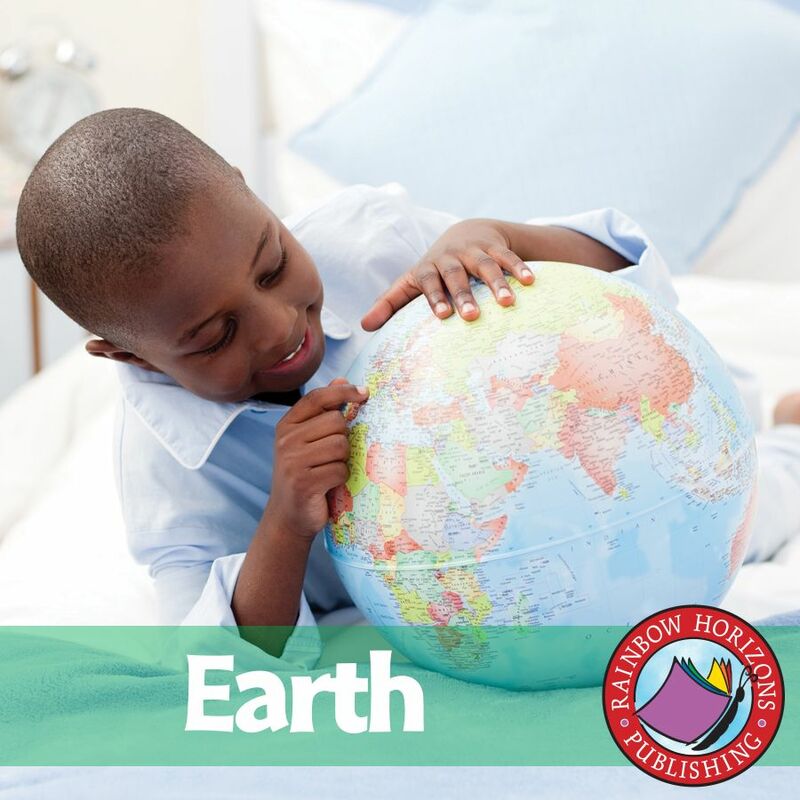 All month long we celebrate the Earth, culminating in Earth Day on April 22. This year's theme for Earth Month is Plastic... More Than Pollution. Plastic is used in nearly all manufacturing of products. It's the packaging that surrounds our many goods. It's used in furniture, utensils, cups and bags. And although it can easily be recycled, many of it finds its way into our trash or worse—as pollution in our environment. This pollution not only makes the environment look dreadful, it also affects wildlife in a negative way. Much of the world's plastic pollution ends up in the ocean. Floating islands of garbage and debris invade ocean water habitat. Animals become trapped or ingest this toxic invader, usually resulting in their deaths. It's time to give this epidemic the attention it deserves. This month, let's educate ourselves on the deadly effects of plastic pollution. 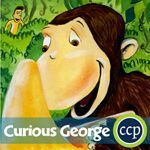 Below we offer three activities to introduce your classroom into your study of plastic pollution. Use these questions as a starting off point into a more in-depth and hands-on look at this environmental invader. 1. Imagine that you have a yogurt for lunch. The yogurt comes in a plastic cup with a plastic lid. How could you use the yogurt container again instead of throwing it away? the products that each type of plastic are made into when they are recycled. Create a poster to display the information you learned. Cut out photographs of different plastic products from each group. Write labels for each group to describe the type of plastic, how it is recycled, and what it is made into. 3. Number the events from 1 to 7 to show the order of events that leads to a turtle dying from eating a plastic bag. ___ a) A rain storm washes a plastic bag into a stream. ___ b) People bring food to a picnic in a plastic bag. 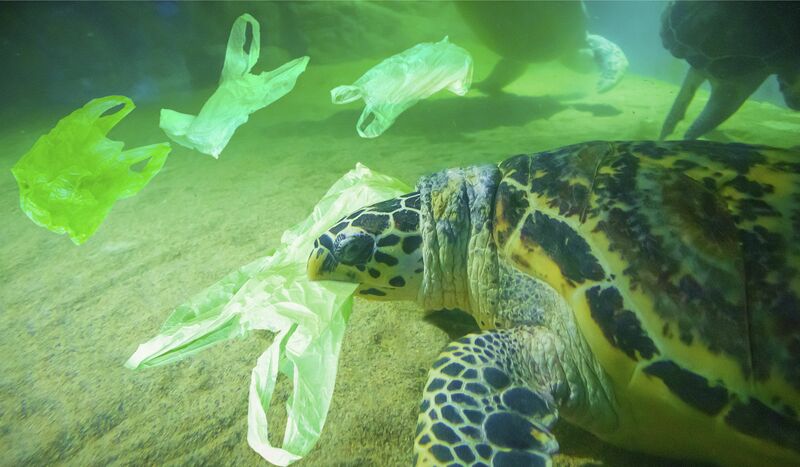 ___ c) Deep in the ocean, a sea turtle mistakes the plastic bag for food. ___ d) The plastic bag lands at the bottom of a tree. ___ e) A stream carries the plastic bag to the ocean. ___ f) The plastic bag blows away in the wind. ___ g) A sea turtle eats the plastic bag. 1. Answers will vary, but may include: Wash out the yogurt container and use it to store small objects, like change or small seashells. 2. Answers will vary based on resources used. 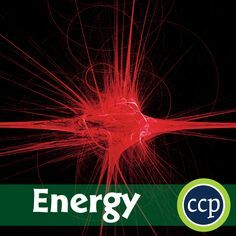 Find more related activities from our FREE CONTENT page. UN World Water Day is March 22. Each year, the UN comes out with an overall theme that will be the main focus for World Water Day. This year, the theme is: Leaving no one behind. The goal here is to make clean water available for all by 2030. It's important to make safe water accessible to all, and the UN has challenged us to address the reasons why so many people are being left behind during this water crisis. Who are the people that are being left behind? Why are these people being left behind? How can these people gain access to safe and clean water? 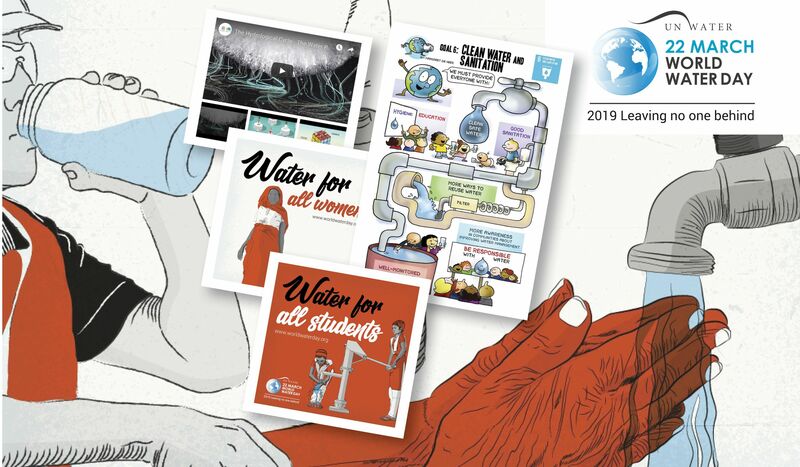 Get to know more about this theme at the World Water Day website and download a free factsheet. Find out how this year's theme is an extension of the UN's Sustainable Development Goal 6 (SDG 6) that strives to ensure safe water for all by 2030. Learn more about the problem billions of people are facing without access to safe water, and gain possible insight to share during your classroom brainstorming session. 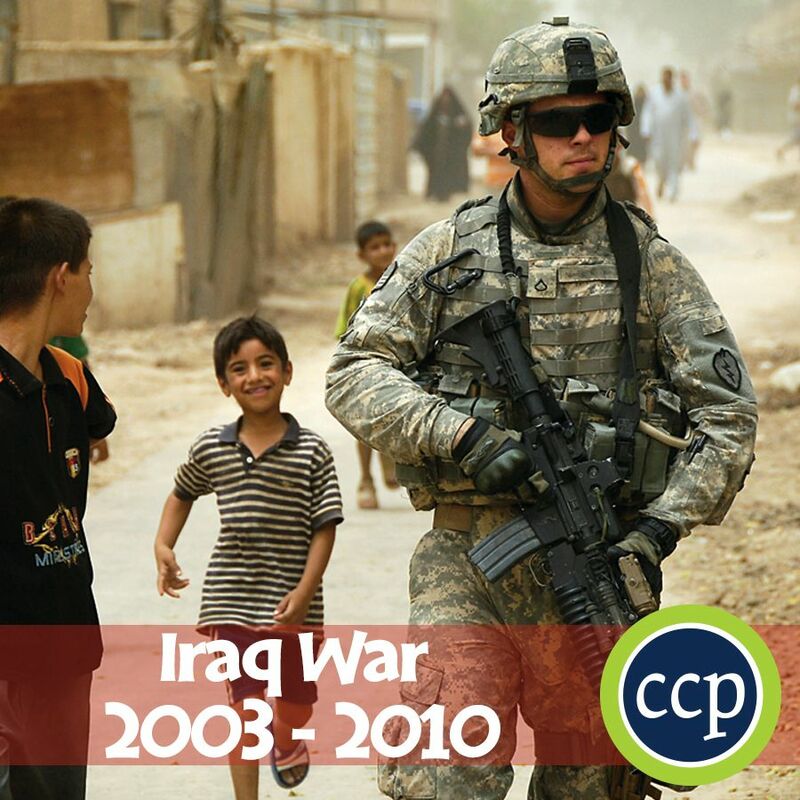 Delve deeper into this issue with additional resources, like posters and animations. 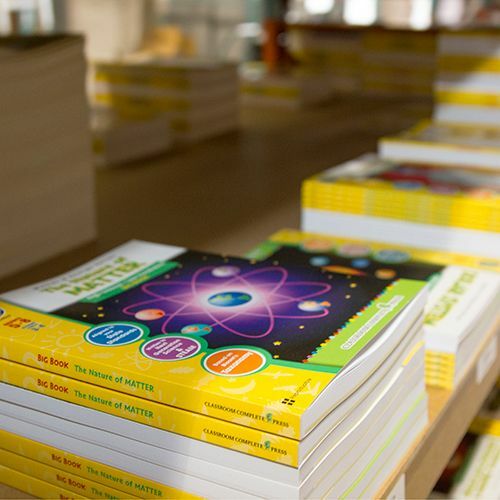 Utilize these materials in your classroom event. Have students look at the posters, then design their own. Set up a station for the animations, then have your students storyboard their own. 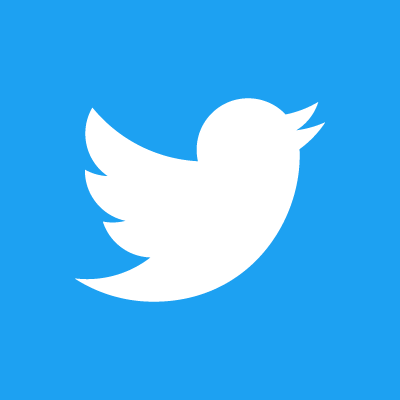 As a class, develop a social media campaign with the help of the Social Media Kit. 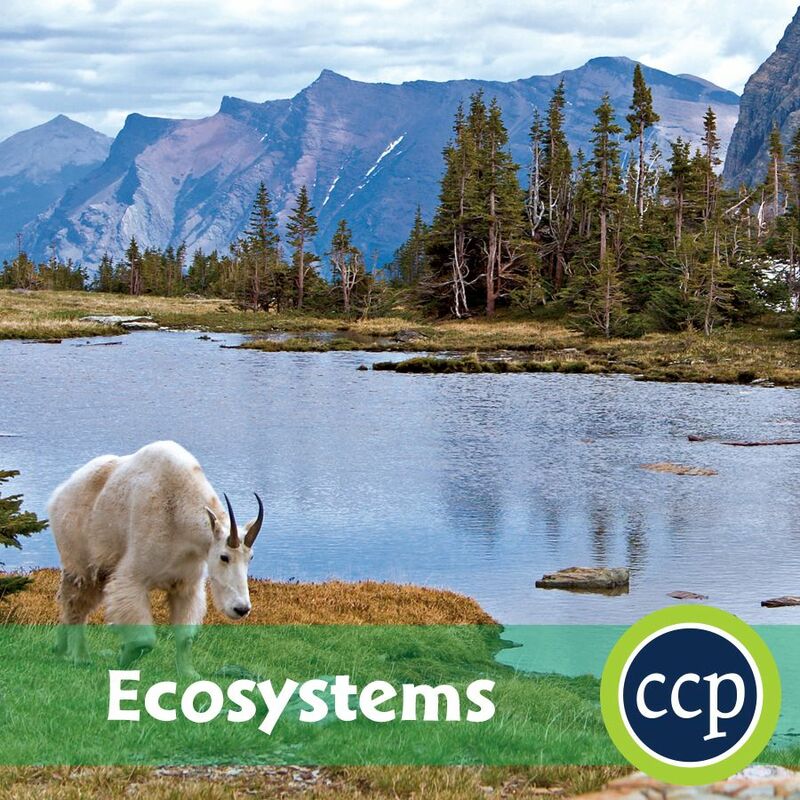 Finally, take part in the "World's Largest Lesson" by introducing your students to the Sustainability Development Goals with provided educational resources. Visit the World Water Day website to learn more about this event and how you can participate. March is Women's History Month. It's a time to honor and celebrate the strength that women share. There have been countless women throughout history who have shown great strength in the face of adversity. Many of these women have been immortalized in novels that have withstood the test of time. 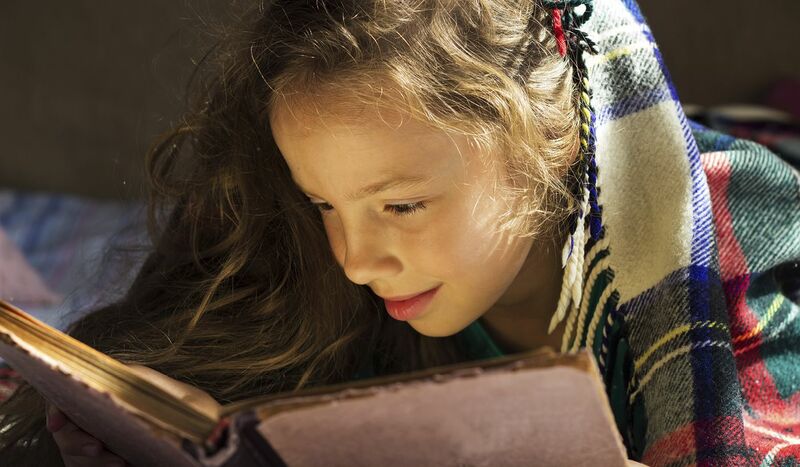 These novels have become literary classics that are read in classrooms all over the country. 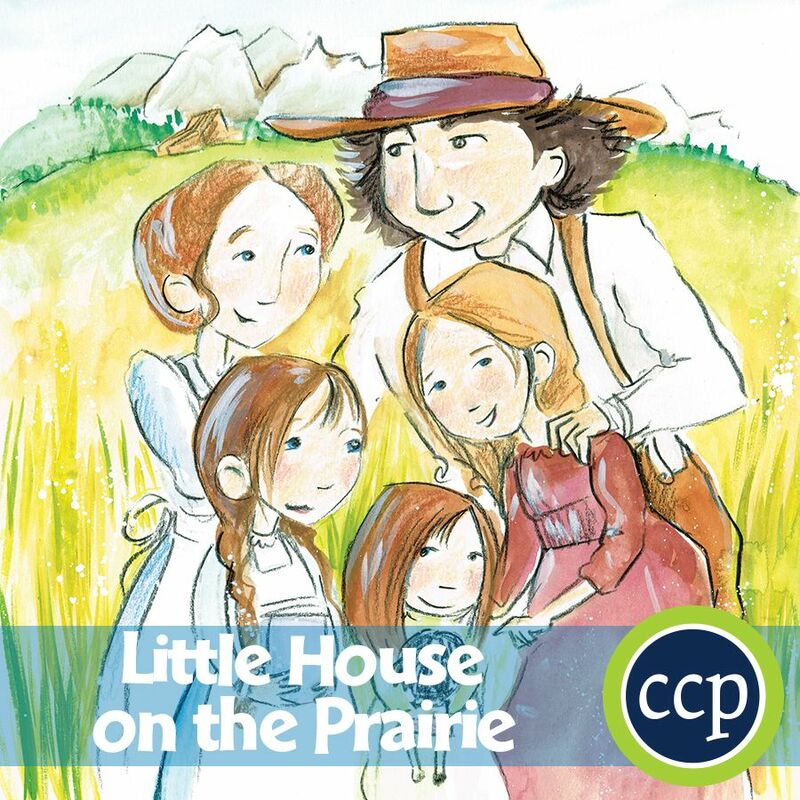 Little House on the Prairie is one book in a series that can be considered the memoirs of one Laura Ingalls Wilder. Written as a narrative, the real-life woman tells her tale of growing up in a settler and pioneer family. 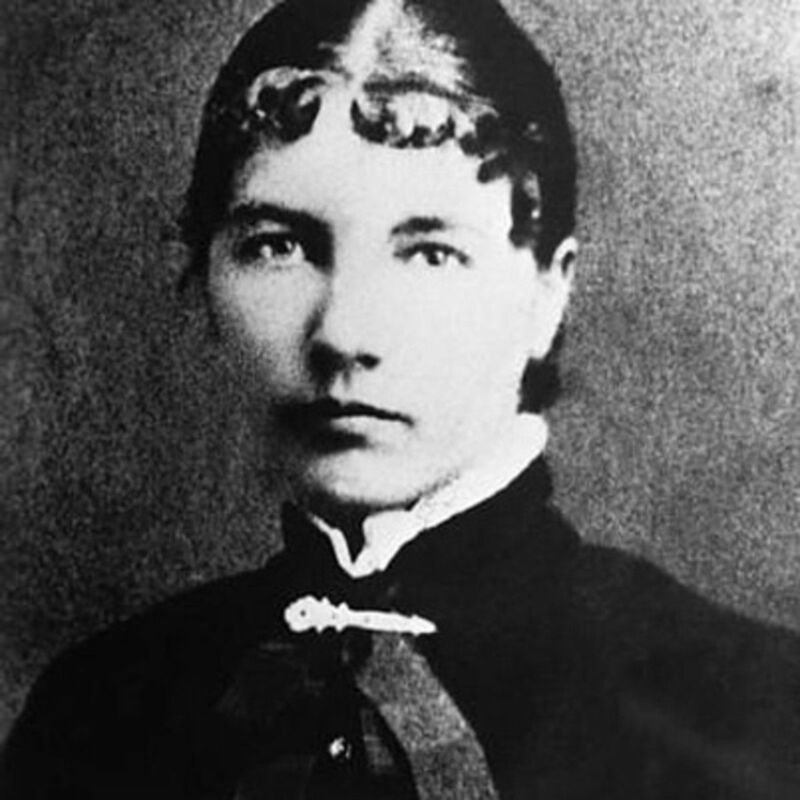 Learn more about this extraordinary woman with 10 Things You Probably Didn't Know About Laura Ingalls Wilder from Publishers Weekly. 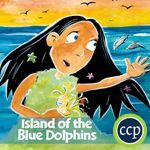 Island of the Blue Dolphins tells the story of Karana, a young girl who is stranded on her home island after the rest of her people leave following a devastating encounter with the Aleuts. 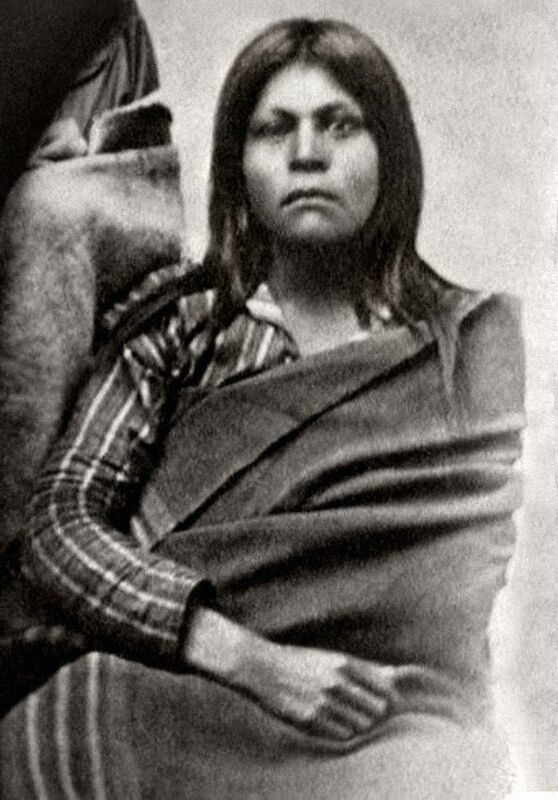 She survives alone for eighteen years before being discovered by men sailing to the island. 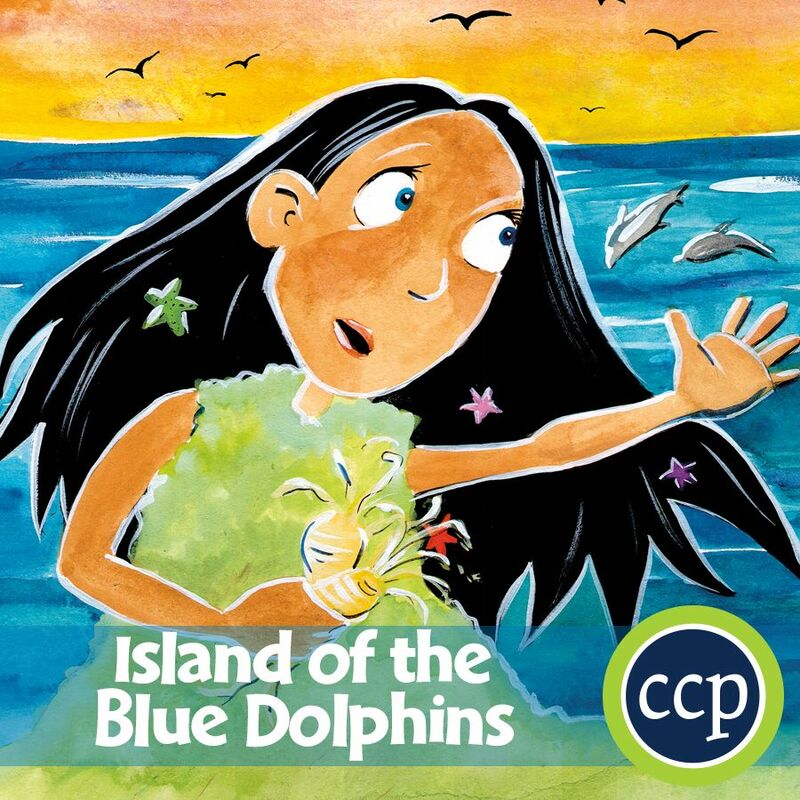 This Newbery Medal-winning story is based on the real life of Juana Maria, who was marooned for eighteen years on San Nicolas Island. Learn more about The Lone Woman of San Nicolas and the island she inhabited from the National Park Service. 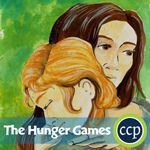 Esperanza Rising follows the childhood hardships experienced by Esperanza Ortega as she flees from her once-luxurious life in Mexico to a Mexican farm worker camp in California during the Great Depression. The novel is written by Pam Muñoz Ryan, the granddaughter of the real Esperanza Ortega, of which this novel is based on. As a young girl, Esperanza would tell her granddaughter stories about her life when she first came to the United States. Later, Pam would marvel at the stories of her grandmother's life in Mexico. 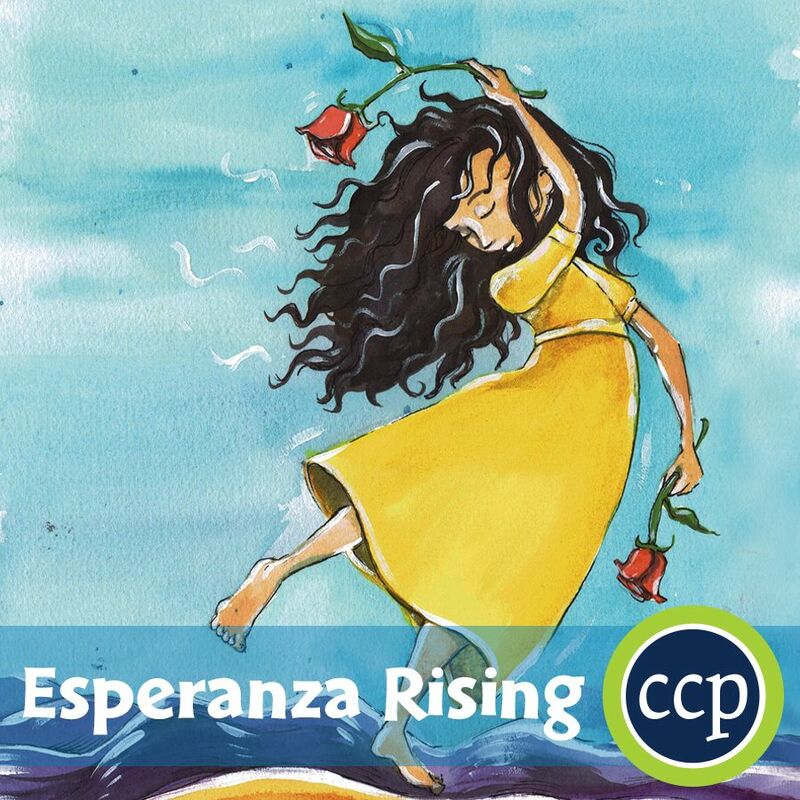 Learn why Esperanza Ortega is a celebrated woman this month with the Author's Notes from Scholastic. 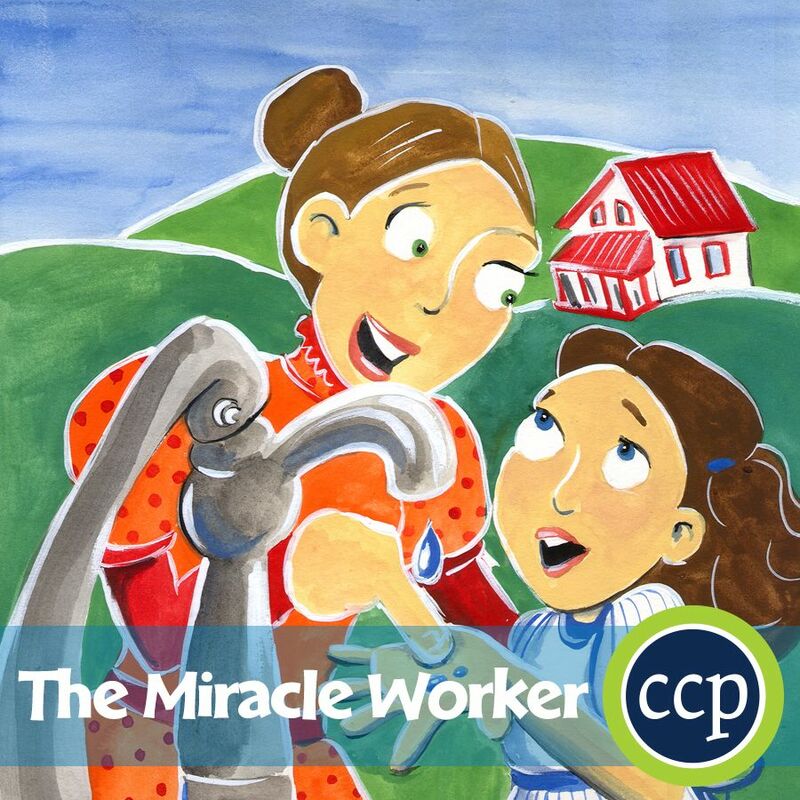 The Miracle Worker is an emotional portrayal of the relationship between a child and her teacher. 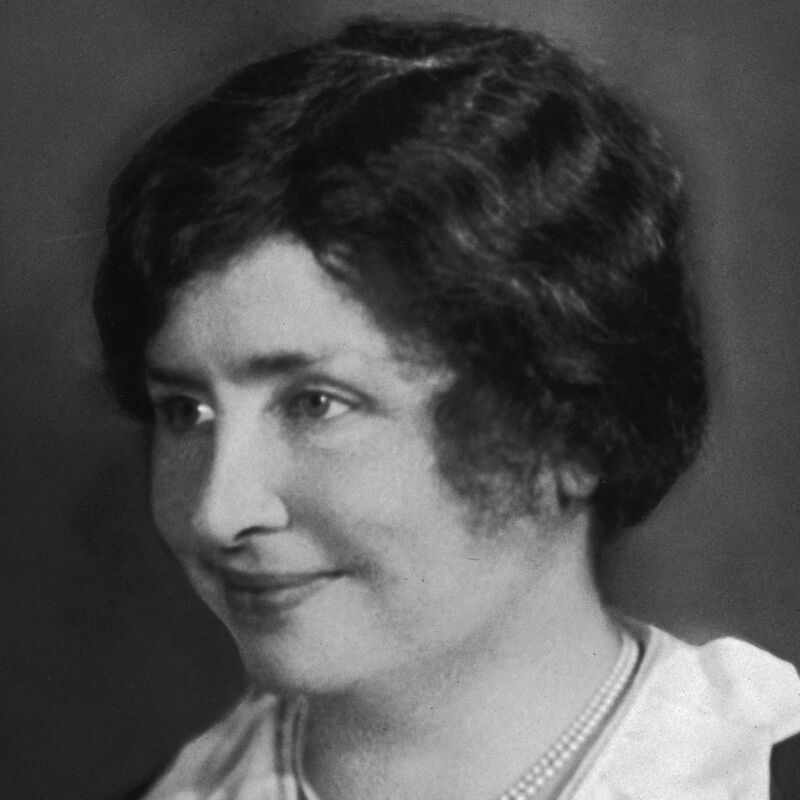 In it, we follow Helen Keller, who is rendered deaf and blind at an early age. Her parents send for teacher Anne Sullivan to help the girl learn to communicate. The miracle happens when Anne spells the word "water" on Helen's hands while at the water pump, and Helen finally understands. Both of these real women show tremendous strength. 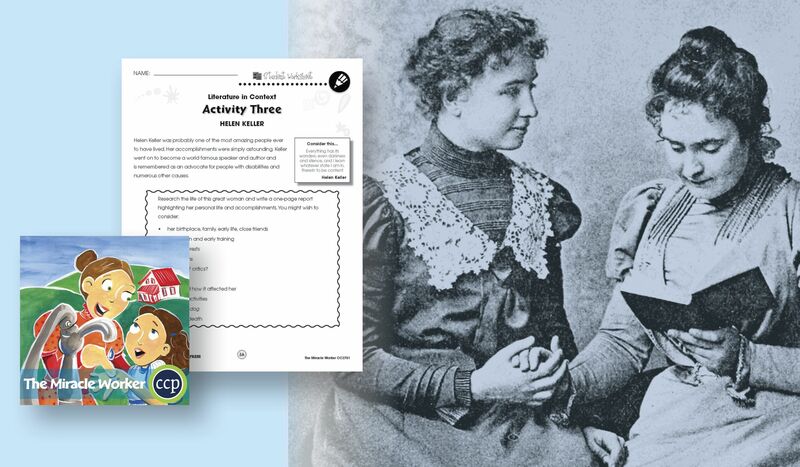 With the help of Anne Sullivan, Helen Keller was able to grow up to graduate from college, help establish the American Civil Liberties Union (ACLU), and receive many honors in recognition of her accomplishments. 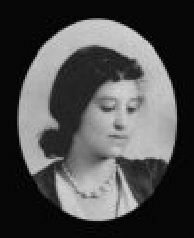 Complete this Research Assignment from our Free Content page to learn more about this amazing woman. 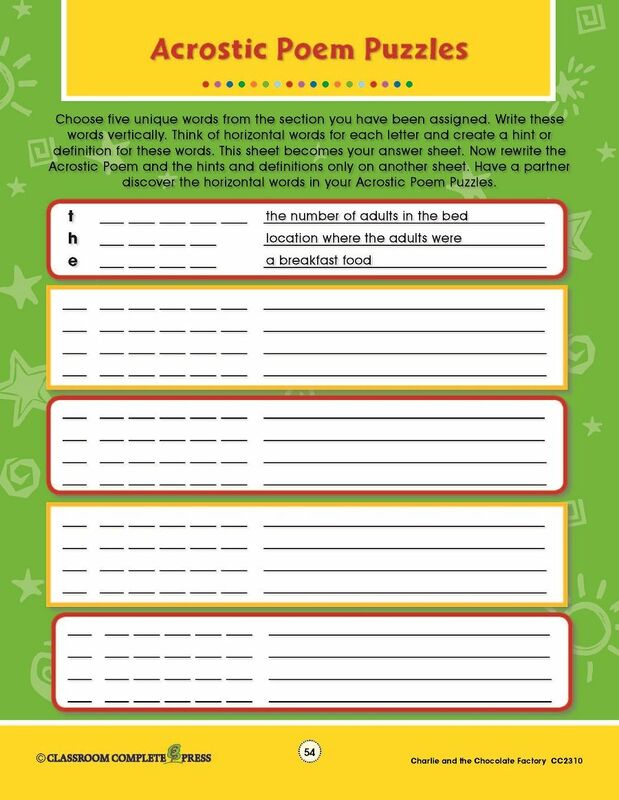 Visit our FREE CONTENT page for more great worksheets to supplement any theme. This month we celebrate one of American Literature's most iconic authors. February 27 marks the birth of John Steinbeck. His fiction works captured what it was really like to live and work during The Great Depression of 1930s America. Through his storytelling, we are able to get firsthand experience through the eyes of his characters. Migration is a major theme in many of his novels, most notably The Grapes of Wrath. During The Great Depression, families were forced to uproot their lives and travel across the country in order to find work. This mass migration is the focal point of his novel. 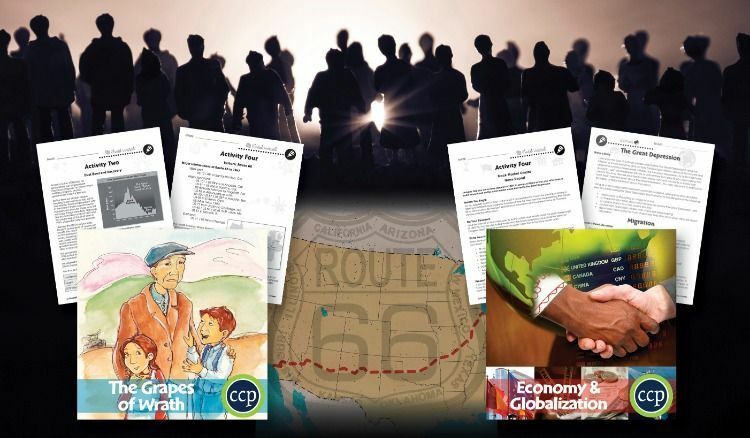 We offer two FREE WORKSHEETS from our The Grapes of Wrath Novel Study Guide that capture the period of The Great Depression, otherwise known as the Dust Bowl; as well as a look at the historic Route 66, which saw many Americans travel along this highway to California. 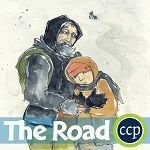 The Great Depression—and mass migration that resulted—although a major theme in Steinbeck's The Grapes of Wrath, was a real event that had a major negative effect on the citizens of the United States during the 1930s. It's worth learning more about this trying time as it remains a major part of our history. 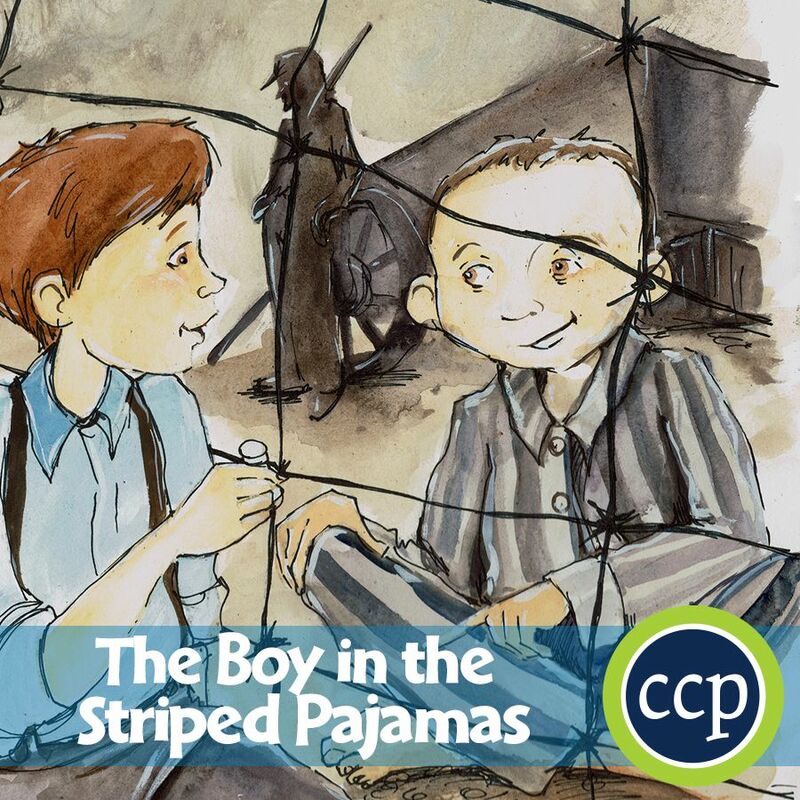 We encourage teachers to connect the fictionalized work of John Steinbeck with the non-fiction event that inspired it. 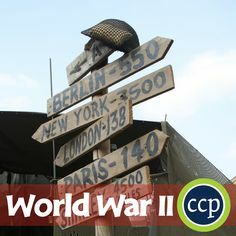 We offer two FREE WORKSHEETS from our Economy & Globalization resource, starting with an activity surrounding the Stock Market Crash of 1929, which led to The Great Depression. 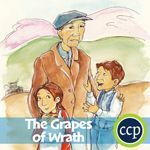 From there, we provide a writing task assignment on The Great Depression, asking students to write a story in the same style as Steinbeck's The Grapes of Wrath. Additionally, students will hold a panel discussion where they represent members of different countries to discuss international immigration policy. February is Black History Month, and for this year the theme is Black Migrations. We'd like to celebrate this rich history with a selection of freebie resource. Start your journey with a stop at the Association for the Study of African American Life and History (ASALH). Read about this year's theme and its significance to the study of Black History. Once you're familiar with the intricacies behind this year's theme, your next stop will be at the National Education Association (NEA). Here, peruse the available resources to help integrate African-American history and culture into your classroom. First, select the grade level you want. Then, choose from a variety of lesson plans and activities, like the In Motion: The African American Migration Experience, which asks students in grades 6-8 to participate in thirteen defining migrations. 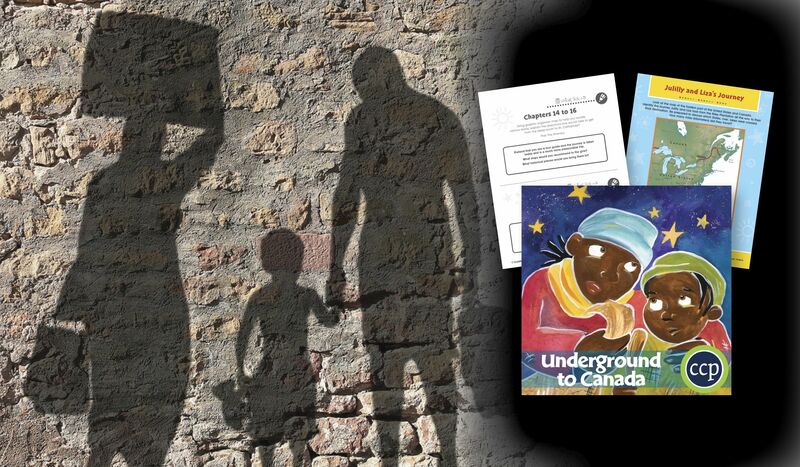 Finally, visit our FREE CONTENT page for two migration-based writing tasks based on the novel, Underground to Canada. Use the provided graphic organizer map to illustrate the character's movement from a plantation in the south to their freedom in Canada. Handwriting is a critical skill every student learns. In recent years, we've seen a decline in this activity, making this form of writing a lost art. In this digital age, it may seem as though handwriting is no longer a necessary component of daily life. We disagree with this mindset. The truth is, even though typing has replaced how we write for the most part, there are still some times when writing by hand is necessary. It's important that when this happens, our handwriting is legible. Maybe you're compiling a shopping list, or writing down a note for someone. What if that someone can't read your writing? Practicing common handwriting techniques at a young age can instill this timeless skill deep in students' framework so that they can retain that skill throughout their lives. In celebration of National Handwriting Day on January 23rd, we've compiled a selection of task cards to practice key handwriting techniques. 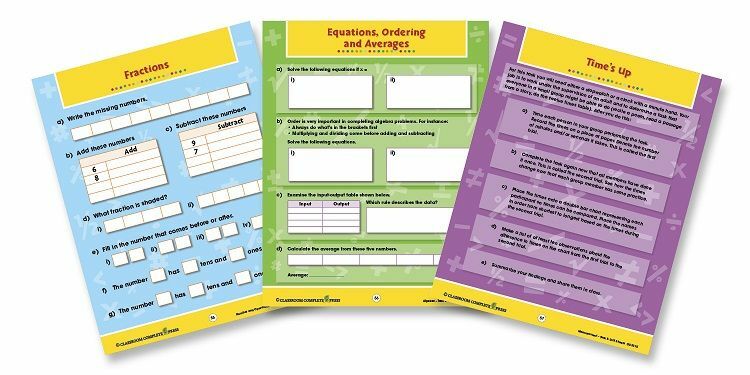 Download a PDF version of these task card worksheets from our FREE CONTENT page. It's a new year, and a new chance for students to become new versions of themselves. As teachers, we inspire students to think in a new way. 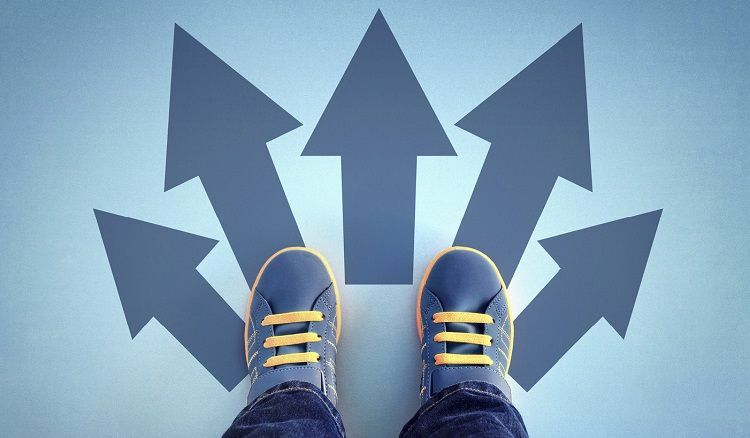 Here are our 5 steps to get students iterating and innovating this new year. Think of a new method, idea or product. What is yours? Stick with your Dream idea, even if others don’t like it. What were others saying about your idea? How did you feel? Tell your friends and family about your Dream idea. Get their points of view. What new ideas did you get? This is the hardest part. Keep trying new things to make your Dream Idea better. What is the biggest roadblock you had to overcome? Compare your first Dream Idea to your final idea. What part improved the most? Download a PDF version of this list in a worksheet format to print and hand out to your students. Check out our September 24, 2018 blog post for some techniques for inspiring innovation and iteration in the classroom. During the holiday season, it's hard for students to associate the winter break with study. Help students stay ready for the New Year and the topics they'll be welcomed back to. Here are some of our strategies to create a curious mindset in your students so they don't stop learning during their time off. Camouflage key questions that will be answered in the New Year so students are thinking about them during their time away. This could be an overarching question on a specific topic that will be the focus on their return. Hide this overlaying question by associating it with a holiday theme. For instance, if you're in a location where students may be making snowmen on their time off, you could leave them with the question of, "how does snow get made?" 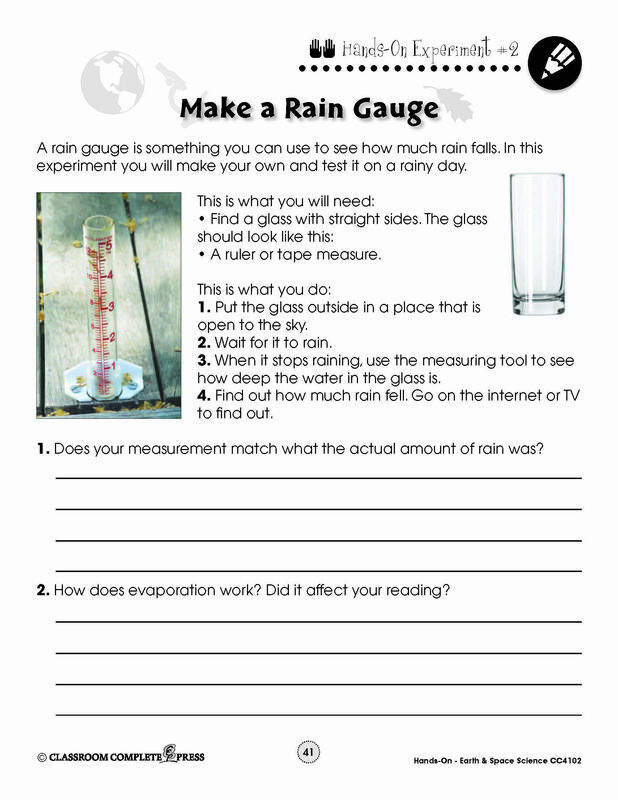 In the New Year, discuss this question with your students as you lead into a unit on weather and the water cycle. It's customary for students to receive gifts during their winter break, so it's no wonder that this would be first on their minds. Send your students off with your own version of a holiday gift that is also educational. Look for small puzzles that will encourage their creativity or critical thinking skills. A holiday-themed crossword or word search puzzle along with a customized pen with their name on it would be a great idea. There are also small science experiment kits they could use. Send them off with an educational scavenger hunt to complete while they're away. Offer prizes to winners when they return. Chemistry and math are two subjects that are used in baking. Baking also just happens to be something that many families do during their winter break. Send students home with a holiday cookie recipe that is interspersed with math and chemistry questions. Have students convert some measurements in the recipe. Or, have the students double the entire recipe so they'll have lots to share. Include explanations of what's happening to the ingredients as they cook in the oven. 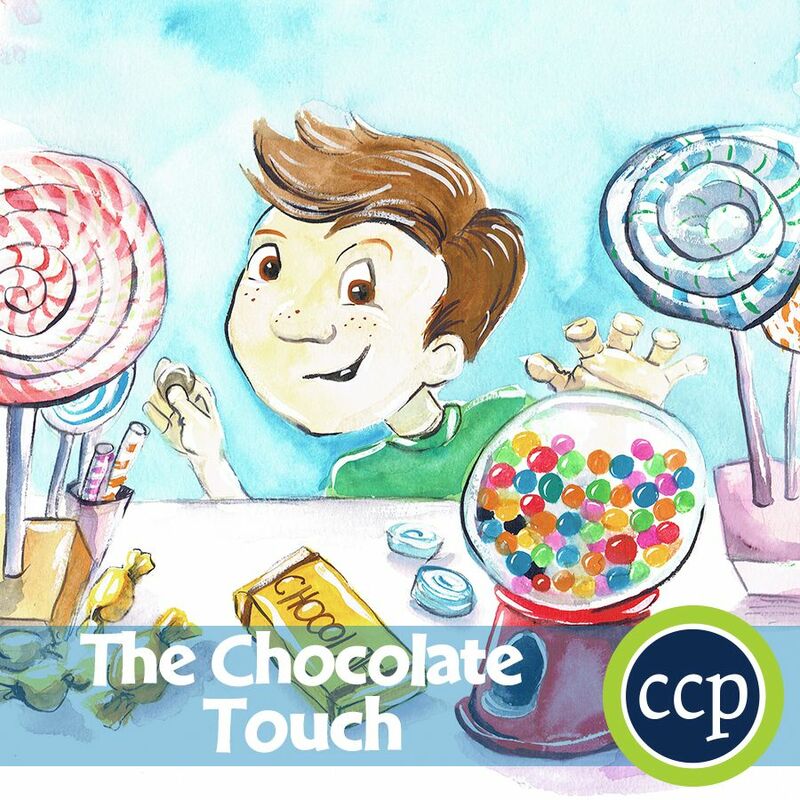 Include an extension activity where students imagine what is happening in the oven, and tells the story from the point of view of the ingredients. Pretend to Be a Time Traveler Day is December 8. 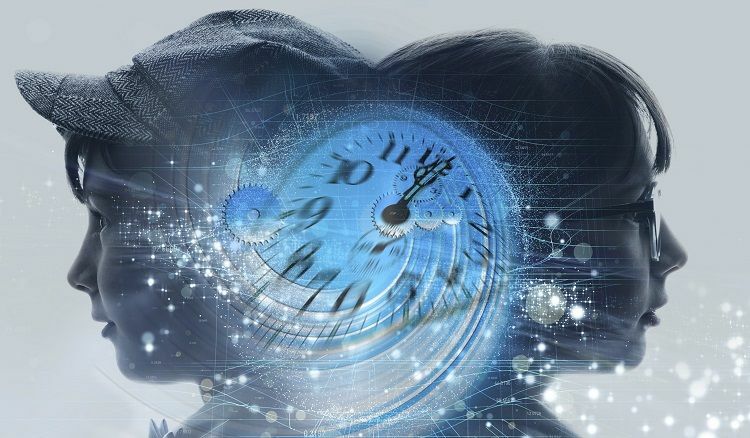 Put history and imagination to the test with these time-travel-themed writing tasks. Download a PDF version of these task cards to print and hand out to your students. Check out more related FREEBIES at our Free Content page. National Handwashing Awareness Week is December 2-8. Proper hygiene techniques is a vital component of daily life skills for all young learners to master. This all starts with proper handwashing techniques. Proper handwashing technique starts with wet hands. Apply enough soap and scrub hands together to form a lather. Rinse, then dry hands with a clean towel. Scrub palms over the back of each hand. Interlace fingers as you do so. Return to scrubbing palms while interlacing fingers. Scrub the backs of each finger against the palm. Scrub the fingertips against the palm, making sure to get soap underneath the fingernails. Grab each thumb and rotate palm around it. Watch this video to see proper handwashing techniques in action. Once these handwashing techniques are mastered, learners can implement these strategies to all areas of their lives. Follow this infographic to learn proper daily hygiene habits. November 8 is National STEM/STEAM Day. It's a time to encourage students to get involved in the world of Science, Technology, Engineering, Art, and Math. We're doing our part by sharing these engaging science experiments. 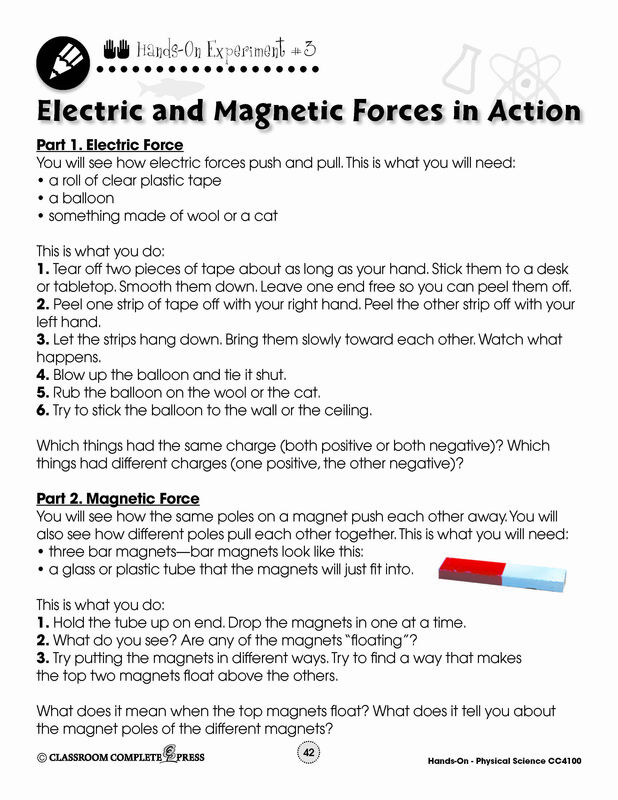 Students will conduct an experiment to see Electric and Magnetic Forces in Action. Why do we have thumbs? Students get to answer this question with an adaptation experiment. Students make their own Rain Gauge to see how much rain falls. Get your students thinking critically with these practice task cards. These puzzles will help students improve their logic and reason skills. Download a PDF version of these puzzles to print and hand out to your students. Answers included. It's parent-teacher conference time. This is a time for parents to get caught up on everything their child has been up to in school so far. It can be a very rewarding time for both parents and teachers as they become familiar with one another. Here are our strategies for teachers to become better prepared for a successful meet and greet with their students' parents. It's good to expect parents to show up with a positive attitude. However, keep in mind that you may encounter frustrated parents of a challenging student. It's important to approach these situations calmly and patiently. Let the parent release their frustrations. Don't go on the defensive. Allow the parent to speak their mind. They will want to hear your response afterward. Clearly explain the situation to the parent. Explain why his or her child is having trouble in your class. Explain to them which steps have been taken to rectify this situation, and which steps will be implemented in the future. You will want to leave parents with a sense of understanding and a clear plan moving forward. The point of a parent-teacher conference is to communicate your classroom goals as well as update parents on their children's progress. Be open to new ideas. Parents may approach you with suggestions specific to their own child's learning style. These suggestions may be good to implement to the class as a whole. Be organized. Have your materials ready ahead of time. These can be project grades, test marks, or just observation notes you've compiled. Make sure each student has their own folder containing these materials. You'll want to have everything you need in a place that you can easily and quickly access. Being organized not only puts the parents at ease, but it will make you more confident while discussing each students' progress. End each meeting on a positive note. You'll want parents to leave the meeting feeling confident in their child's progress. 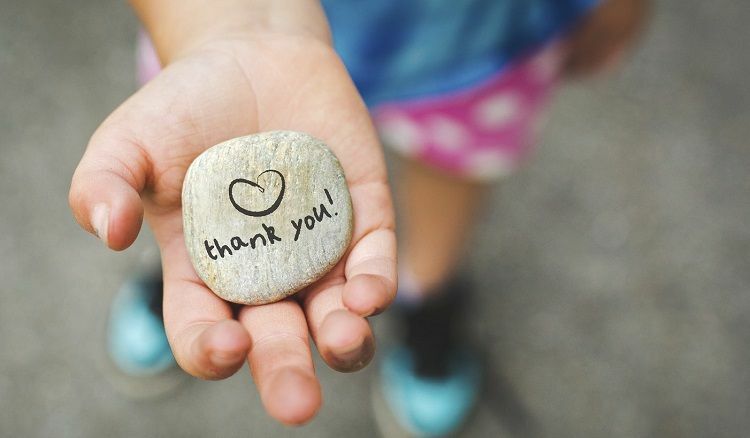 Make sure to follow-up each meeting with a thank you. If a parent did not attend the meeting, make sure you contact them directly with notes on their child. Ensure your contact information is up-to-date. Regular communication with parents moving forward can only benefit everyone involved. Take any notes you gathered during the meeting and implement them into your lesson planning and classroom management. Use these printable handouts for your parent-teacher conference. 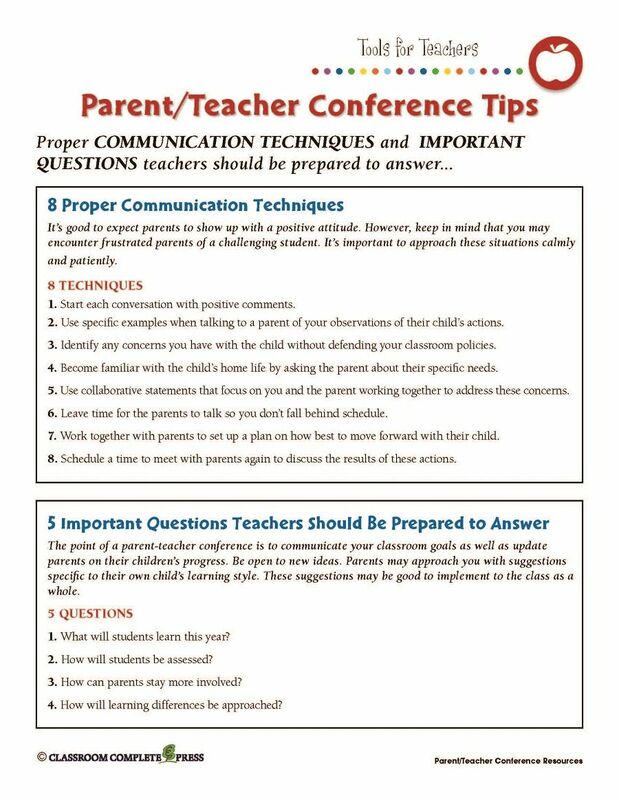 Get tips on how to properly communicate with parents, as well as important questions to be prepared for. 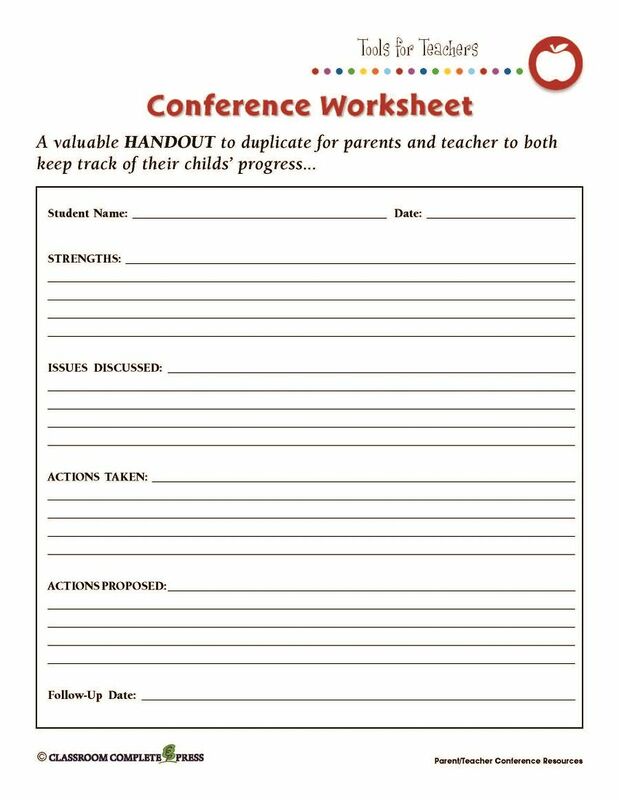 Complete a conference worksheet to give to parents at the end of the meeting as a take-home information sheet of things discussed. 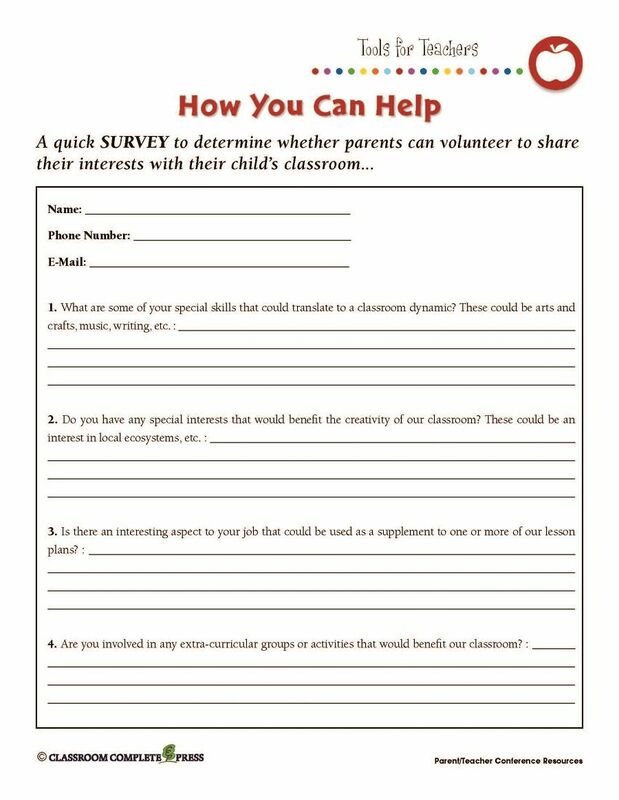 Give parents a survey to encourage involvement in their child's classroom. Innovation is creating something completely new from scratch. Iteration is creating a different version of something that already exists, like making it better. Inventors are innovators. They can also make existing inventions better. 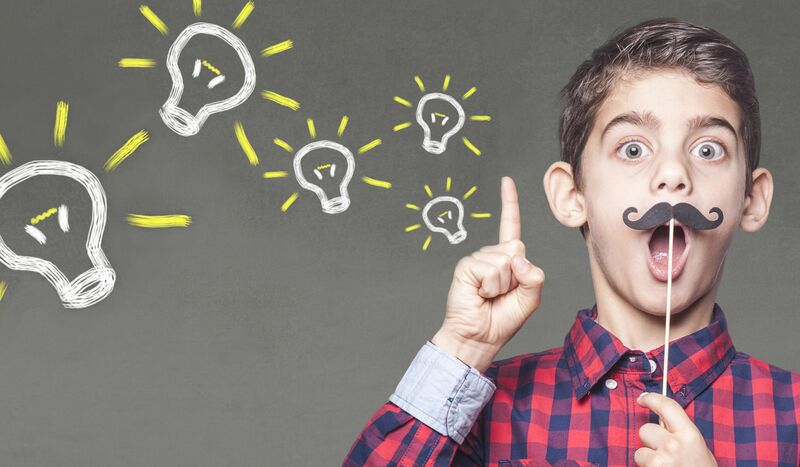 Help students become inventors in their own right with these teaching techniques. What is the greatest risk? Once you've prepped your students' minds, have them explain what action they will take to challenge the status quo. Zero-Based Thinking is a way of thinking about things. Students can be much more innovative and creative using this method. It is about thinking with no limits. Encourage students to start thinking in this manner when faced with a problem. Have your students break into teams. Ask them to imagine that they are designing a new fridge. Make sure they don't discuss what they DON'T like about their current fridge. Make sure they discuss what their ideal fridge should be like. What's different between the two versions? What do you like best about the new version? Name one thing you would change about the new version. What would your next iteration look like? This is where students will make something new or different. Set up a station that will let students think of new ideas. Have examples of new things throughout history. Students will think up their own ideas. There's no limit to their imagination. They don't need to be realistic. They do need to reach a demand in today's culture. Have students describe their new ideas in an oral presentation. Examples of Iteration and Innovation matching activity. 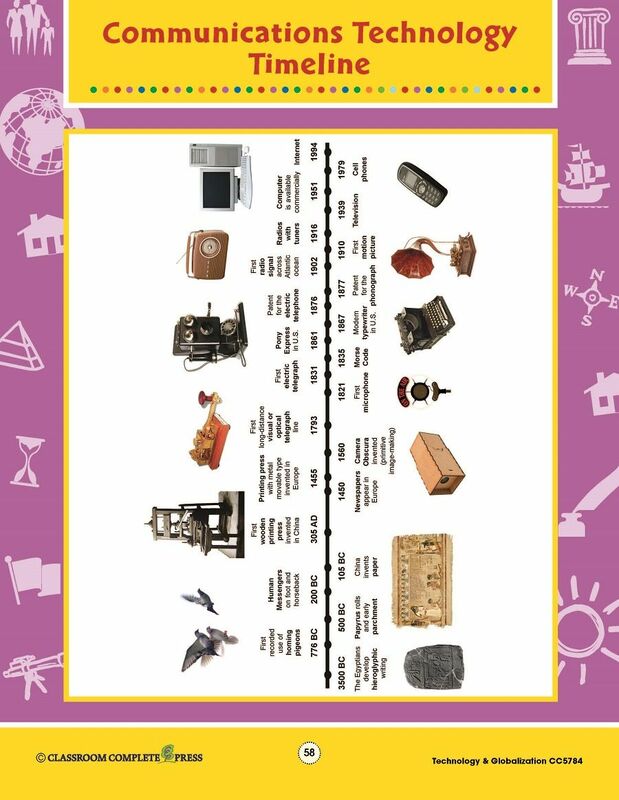 Great Innovations Throughout History timeline poster. Innovation in an American Icon research activity. Whether you're learning English or a secondary language, a bilingual classroom can be challenging to navigate. Some students may speak one language, while the rest are speaking another. It can be hard to communicate to both groups of students together. We have compiled a list of strategies to help teachers turn their diverse classroom of students into bilingual learners. 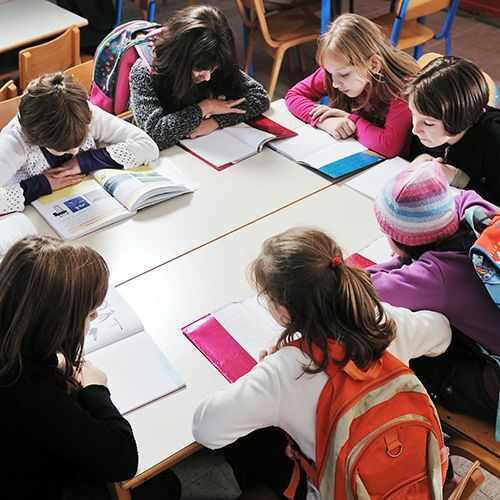 Pair students with different language backgrounds together. This creates a challenge for students to break language barriers. It also helps them learn from each other. Create lessons that utilize multiple learning styles. For example, incorporate a visual aspect as well as a verbal aspect to a lesson. Have students complete an activity using only visual means, like a diagram or poster. Then, have students complete a similar activity using only verbal means, like an oral presentation. Take the time to communicate with each student one-on-one, providing a positive experience for each student. A short 5-minute small talk session can be a valuable tool in a bilingual classroom. 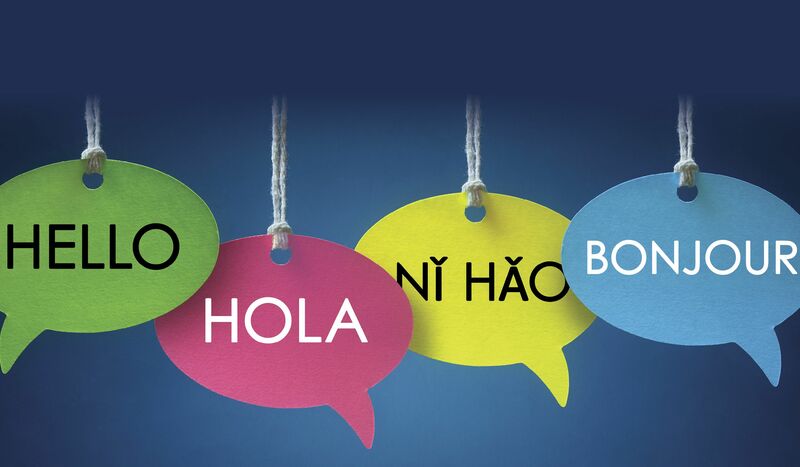 Start a conversation in one language, then switch partway through. Mix it up with the student using one language and you another. Set specific expectations when a certain language is to be used. Conduct one full lesson in a singular language. Then, conduct another full lesson in a secondary language. Set limits for your students to use only one language at a certain time. This will encourage students who speak a certain language to mingle with students who speak the other. Encourage students to speak using both languages together. Say one sentence in English, followed by another sentence in another language. Swap words from multiple languages within a single sentence. Have students translate sentences from one language to another. You can once again pair students with different language backgrounds to help each other during this process. Start your bilingual classroom off strong with these ready-made SPANISH-language Novel Study Guides. It's that time of year again. A new school year is starting. New and returning students are filling the classrooms. Are you ready to start off strong? It can be hard to be prepared for a fresh class. Get off on the right foot with these techniques and tips to help stay organized those first few weeks. It may sound silly, but you should take a good look at your classroom. Take note of the location of boards, windows and shelves. Count the number of desks. Are there enough? How's the layout? Try grouping desks together to form little islands in your classroom. This allows for students to take advantage of group learning, as well as give them the opportunity to work individually if needed. Make sure you have enough supplies. This goes without saying, but is an important step nonetheless. Are there enough textbooks for each student? Will some need to share? Are there enough pens, paper, notebooks, or craft supplies? What about calculators, rulers or microscopes? Keep a list on hand of how many supplies you have and need. During the first few weeks, mark off what's been used so you'll know what you'll need to replenish before you run out. Labels are always great for organization. They're functional and look good too. Put away the tried-and-true label maker and let your creative juices flow. Label paint stir sticks using your calligraphy skills and use them to organize books on your shelf by genre. Chalkboard paint or dry erase tape can be used for quick and easy re-writes. We've all been there. We've had the intention of not letting things pile up, but before you know it, you've got a huge pile of papers on your desk. Sometimes this gets away from you when you just don't have the time right that second to file it away. Get yourself a bin to put those last-minute papers you just don't have time for. Pick a time each week to go through this bin and put everything in its rightful place. Commit to the same time each week and you'll find that big ol' pile of papers on your desk was a thing of the past. Passing papers between you and your students can quickly get out of control. Build a cubby system to make this process stay functional. Use a shoe organizer or cube bookcase. If space allows, add short baskets to each cubby so papers don't get lost or blown away. 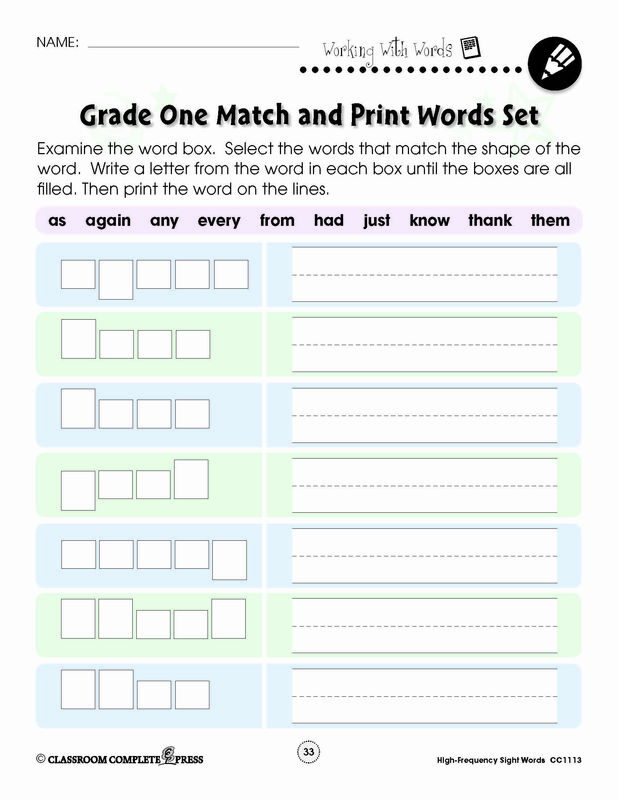 Add each student's name with your tried-and-true label system. 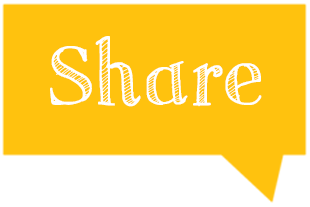 Use this system to share homework, assignments, projects, and permission slips with your students. Your classroom is ready and you're set for the first few weeks to go smoothly. Instead of just jumping right into the lesson you have prepared, what if you started things off with a game. The idea is to break the ice between you and your students. It's also a great way to get even the shy students in your class to feel comfortable. Instead of taking attendance, play the name game. Instead of calling each students' name, have them tell you and the rest of the class. Have them share a short funny story from their summer to go along with their introduction. It's Exercise with Your Child Week! School might be out, but that doesn't mean learning stops. As a teacher, you know the importance of stretching the mind, but don't forget about the muscles. Get active and promote a healthy lifestyle while spending some quality time with your child. Start by making a fitness routine to follow for the week. First, decide what type of fitness routine you want. Take a look at the Cause and Effect chart below. Decide on the effect you want from your workout. Then, find out what action will cause that effect. From there, review the list of exercises tailored to each option. Make your custom fitness routine and use our Daily Fitness Chart to keep track of your progress. 1. Yoga — If you want a more relaxing experience, Yoga is great for stretching, getting flexible, and practicing proper breathing techniques. 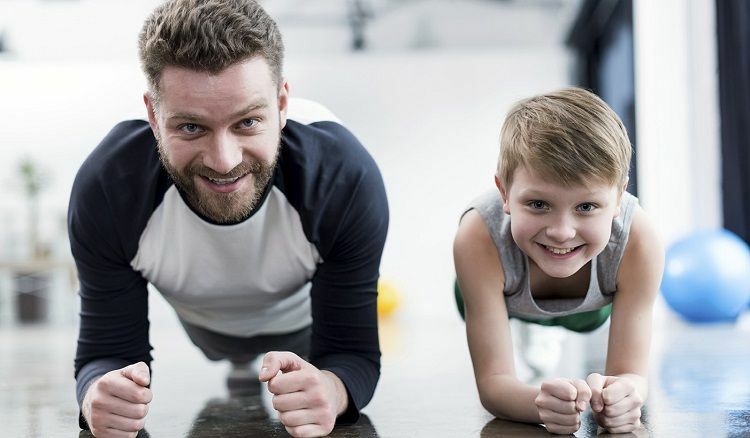 You and your child will feel relaxed and refreshed after this workout. 2. Pilates — If you want something a little more upbeat, try Pilates. The moves are similar to Yoga, but focus more on being active. Target your core, lower or upper body, and see some strength and flexibility return to your muscles. 3. Walking — This is a great low-impact workout to do together. Pick a nice scenic route to follow. Catch up with things that have been happening in each other's lives. Set an end goal, like reaching a place that sells all-natural smoothies as a reward. Need something more intense? Try jogging or running instead. 4. Dance — This one is great and requires no instructions to follow. Just turn on some upbeat tunes and let the music take you. Pick your favorite song and create a dance routine. Try to learn a new dance form. If you have access to a video game console, play along with a dance-style game. 5. Frisbee — Grab your Frisbee and head outdoors. Play a game of catch, or take things up a notch with Ultimate Frisbee. Make up your own rules of the game. Get others to join in. Use this concept with any type of sport. Want even more of a challenge? Try our Cardio Workout to calculate your key to losing weight. Find your specific heart rate zone and use a heart rate monitor to make sure you stay on track. Try to stay within this zone while you move through different cardio workouts, like aerobics, walking, biking, and even dancing. We challenge you to keep this fitness routine going after this week. Follow your plan for a couple weeks. See if your goals are slowly being met. Make small changes to better your plan. After about 2 months, look over your plan. Was it a good plan? Did you achieve or are well on your way to achieving your goal? Write a blog of your experiences. Would you recommend this fitness plan for others? Ask others to participate. Make a month-long challenge that follows your plan. July 20 is Moon Day. This day commemorates Apollo 11's landing on the surface of the moon. This event saw humankind's first step on the surface of another celestial body. Go back to this pivotal day in history by counting down the events that led us there. 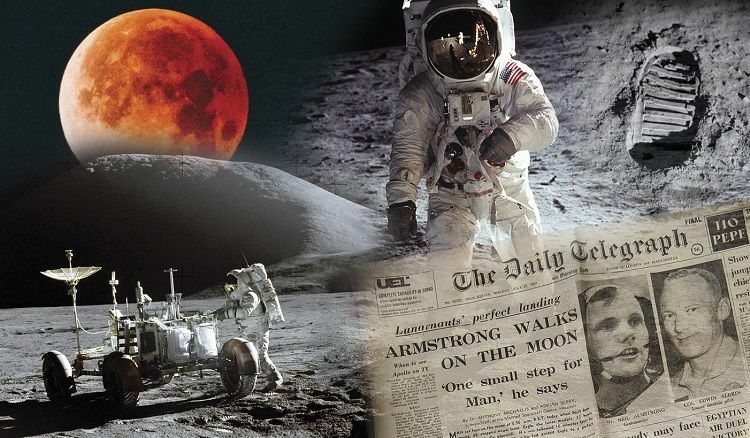 Use our interactive timeline to track Apollo 11's history-making journey. Complete with images and videos of the event. From our Ready-Made Space Travel & Technology Digital Lesson Plan. Get the timeline for PC. Get the timeline for MAC. July 16 - Launch: At 8:32 a.m. EST, Saturn V rocket carrying Apollo 11 blasts off from Launch Pad 39A at Cape Kennedy, Florida. The three-man crew — Neil A. Armstrong, Michael Collins, and Edwin E. (Buzz) Aldrin, Jr. — begin their trip to the Moon. July 17 - Color Telecast: At 6:31 p.m. EST, the Apollo 11 crew start their first scheduled color telecast showing the view of Earth from their spacecraft. At a distance of about 128,000 nautical miles (237,056 kilometers), the 36-minute transmission also shows the inside of the Command Module. July 19 - Lunar Orbit Insertion: At 12:21:50 p.m. EST, Apollo 11 flies behind the Moon and gets captured by the Moon's gravity. A 35-minute telecast of the Moon's surface focuses on the landing site. At this point, the spacecraft orbits the Moon every 2 hours. July 20 - Lunar Landing: At 3:17:40 p.m. EST, the Lunar Module separates from the Command Module and makes its way to the surface of the Moon. It lands and a message is immediately sent to Mission Control in which Armstrong announces, "The Eagle has landed". 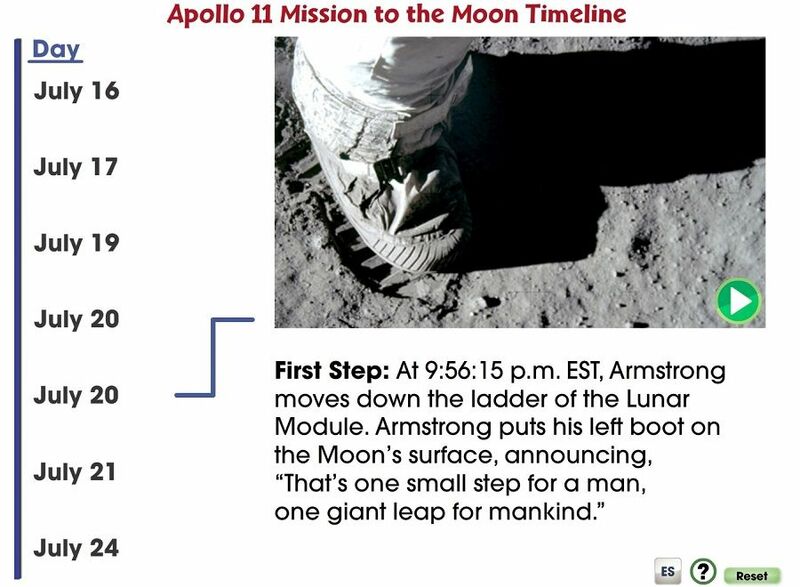 July 20 - First Step: At 9:56:15 p.m. EST, Armstrong moves down the ladder of the Lunar Module. Armstrong puts his left boot on the Moon's surface, announcing, "That's one small step for a man, one giant leap for mankind". July 21 - Lunar Lift-Off: At 12:54:01 p.m. EST, the Lunar Module lifts-off from the surface of the Moon and re-connects with the Command Module before starting the return trip to Earth. The crew leaves behind instruments, the American flag, and the descent stage of the Lunar Lander. July 24 - Splashdown: At 11:50:35 a.m. EST, the Command Module re-enters Earth's atmosphere and splashes down in the Pacific Ocean, 825 nautical miles (1,528 kilometers) southwest of Honolulu. July Fourth is Independence Day, when we celebrate the thirteen American colonies declaring independence from the British Empire on July 4, 1776. This marked the beginning of a new nation, built on freedom. 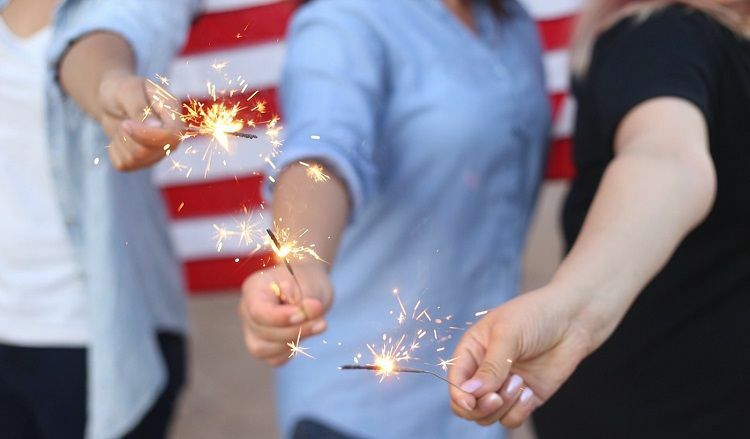 It's become one of the biggest holiday celebrations in the U.S., comprised of parades, barbecues, carnivals, fairs, picnics, and concerts, culminating in a fireworks show. Get back to its roots with an in-depth look at the events that started it all. Review the Declaration of Independence with this color version. Read about some of the major figures who played an important role during the war. Hang this color poster of some key figures as a supplement to the reading passage. Pick one of these famous figures and write a comprehensive biography. Using various resources, children will research the figure that they personally find interesting. Become a delegate for one of the thirteen colonies represented at the Continental Congress in Philadelphia. Role-play some of the issues that led to the Declaration of Independence. It's the end of another school year and summer break is fast approaching. 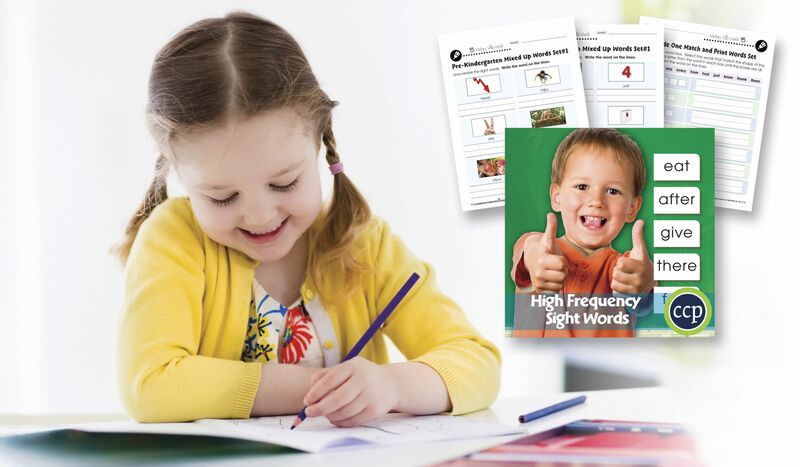 Did you know we offer hundreds of free resources in all subjects? And more are added every day. 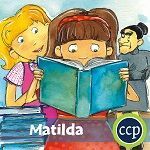 Bookmark the popular CCP Interactive links below for access to your library of a variety of ready-made lesson plans, worksheets and resources. Enjoy the summer knowing you'll be ready for back-to-school with access to free content. Ready-made lesson plans are a successful tool for parents who home-school their children. 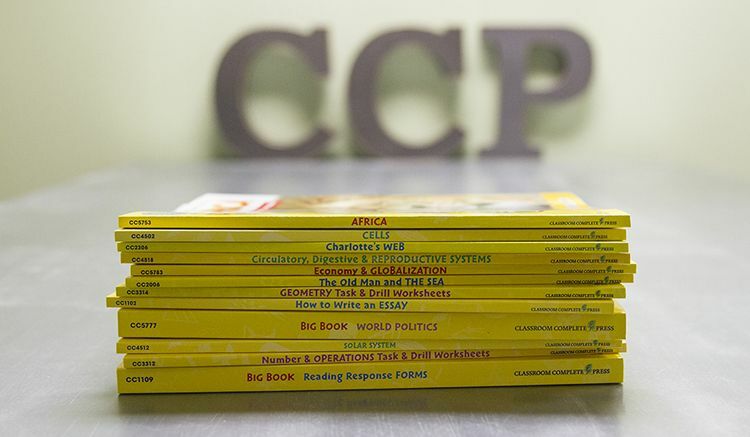 Aligned to the most up-to-date curriculum, our supplemental resources provide the information parents need to successfully teach their children. 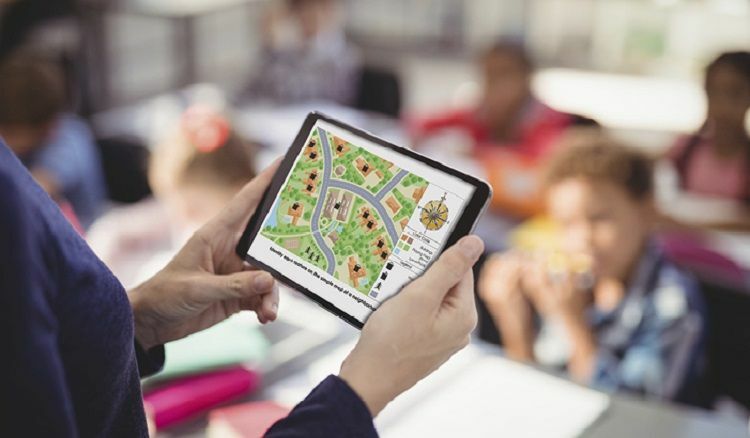 Bring the classroom into the 21st century with interactive content. 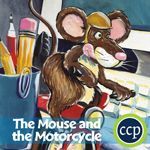 Get started with several free chapter samples that include curriculum-based lessons, games and puzzles. Our consistent teaching pedagogy allows teachers to become familiar and confident in our content. 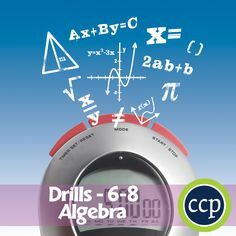 Maximize your custom curriculum with a variety of samples and free lesson plans. 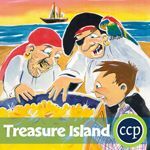 Our ready-made lesson plans are popular among teachers due to their consistent format and teacher guide inclusion. View sample teacher guide pages and see what's included, such as built-in tools for student assessment. Our resources follow a tried-and-true teaching pedagogy that maximizes ease-of-use, and ensures each resource will fit within every teacher's pedagogy. Get to know what's inside each Chapter Slice with these free sample handout pages. On May 24, 1844, Samuel Morse sent the first telegraphic message from Washington DC to Baltimore. It said, "What hath God wrought?" This marked the beginning of electronic communication. Nowadays, it's hard to imagine a time before digital communications. Most of us communicate through some sort of device, whether it's a computer, tablet or phone. Read about the development of the telegraph and how it led to modern electronic communication. 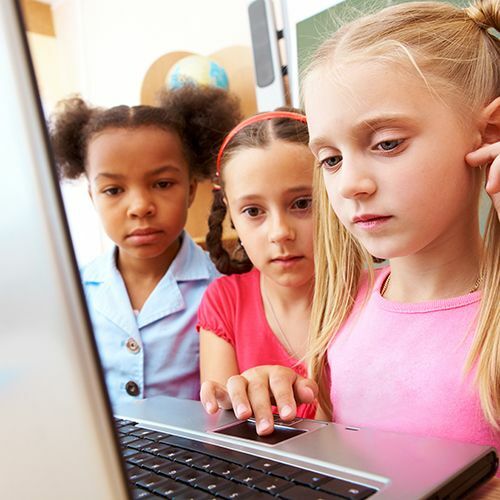 Then, complete this hands-on activity to learn about different modern communications technologies that help people around the world stay connected and exchange information. Expand on this with a look at different communications used around the world. Do some research, then create a bulletin board to present this information in a visual manner. 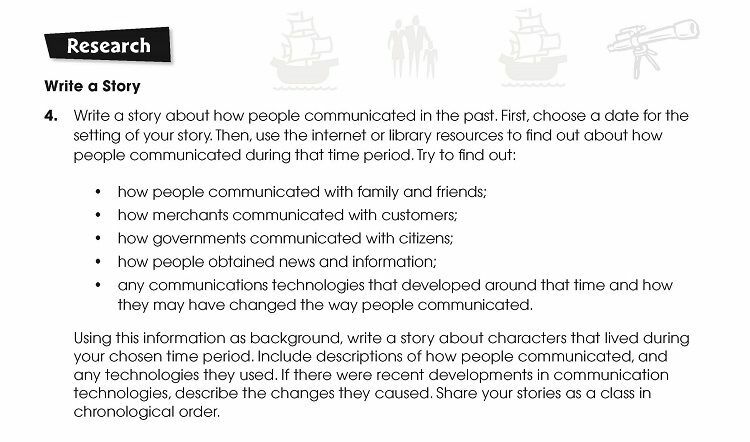 Finally, Complete the research task below to understand how people communicated in the past. The history of communication technology is a vast one. Its evolution is a fascinating topic to explore. This mini color poster outlines some of the key breakthroughs in communications technology. Follow this timeline to see the growth of communication, and perhaps predict where we're headed next. It's Teacher Appreciation Week. We here at CCP Interactive want to thank our community of teachers for the wonderful job they perform all year long. Shaping young minds and getting students ready for a successful future is no easy task. That's why we want to give our teachers some FREE graphic organizers and posters to use in the classroom. Just our way to say thank you. Experiment with short vowel words with our Onset and Rime Circles spinner. Spin both wheels to form short vowel words. 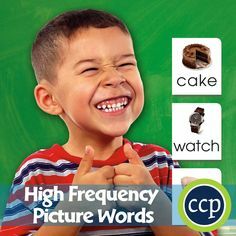 Great for phonics and primary learners. 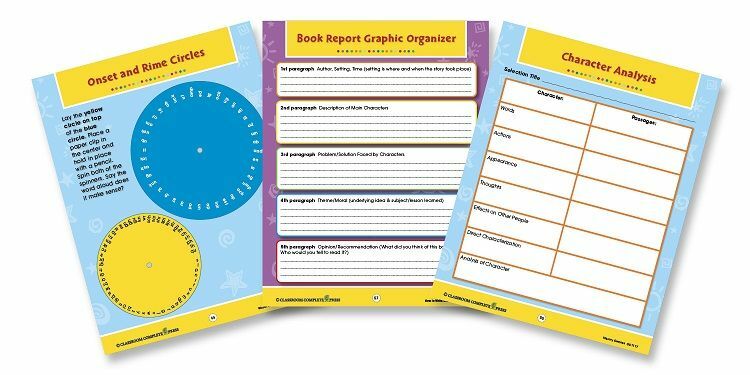 Use the Book Report Graphic Organizer as a guide to complete the perfect book report. 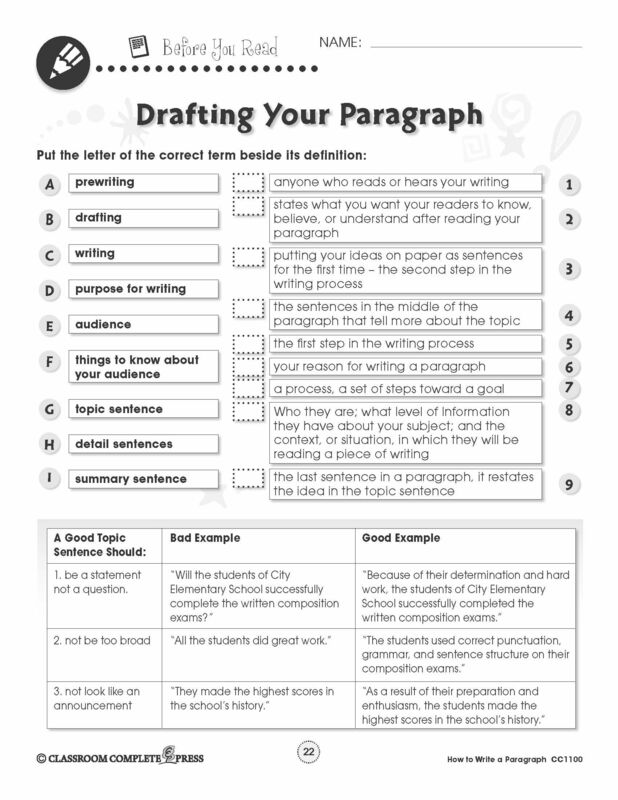 Students fill in each paragraph section before writing their essay. 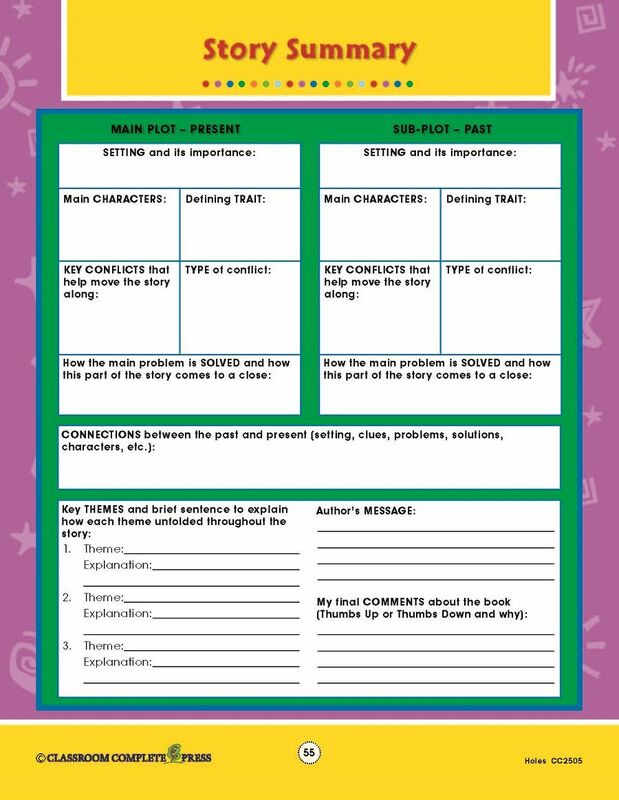 Complete the open-ended Character Analysis graphic organizer for any novel in order to better understand the characters. 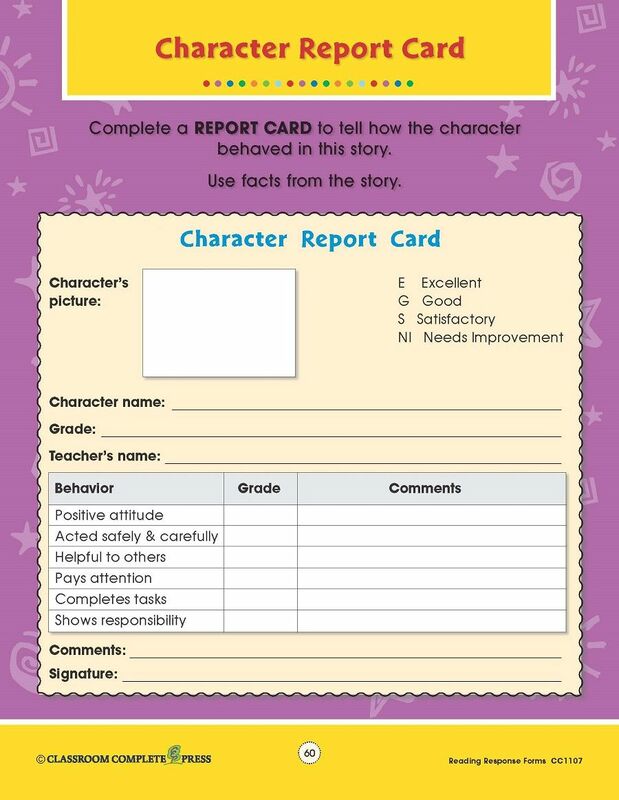 Great for any book and any grade. 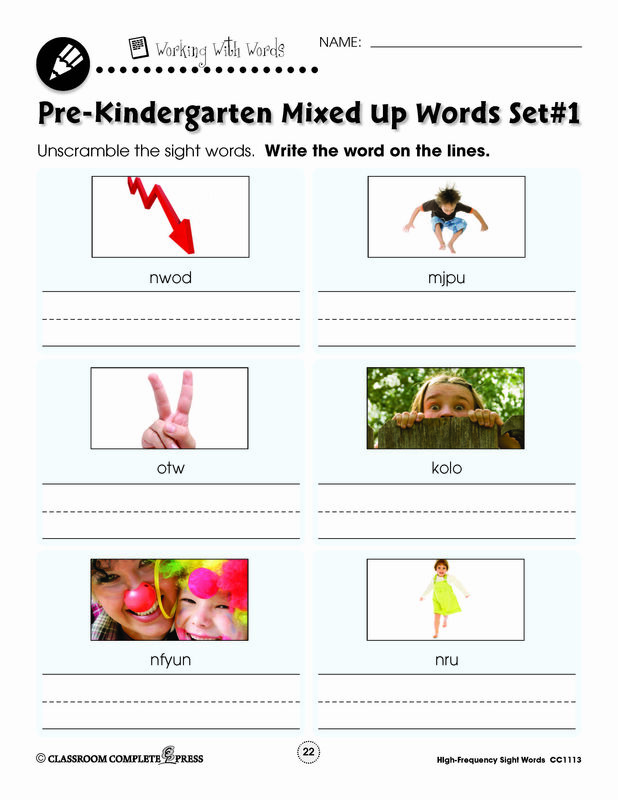 Get your FREE worksheets here. 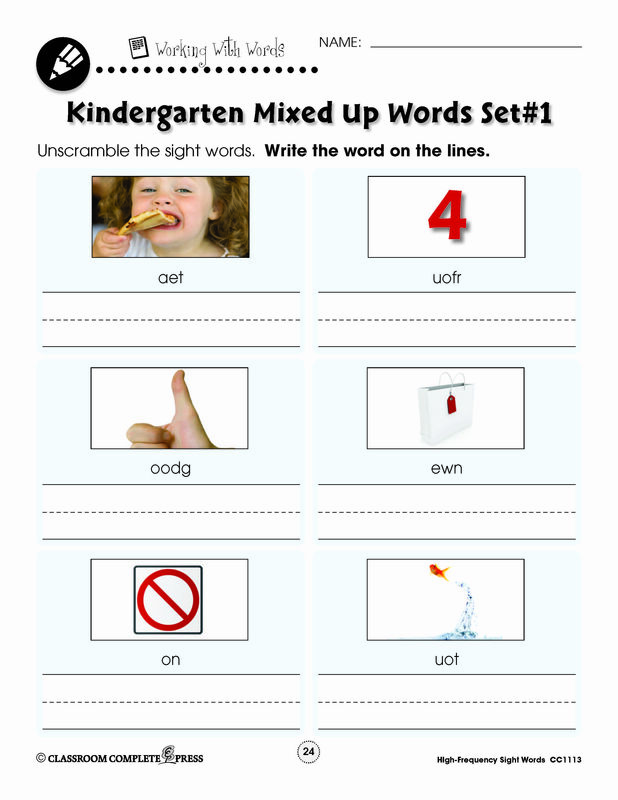 These open-ended worksheets are great to use over and over again. Start off with Number & Operations. Find the missing numbers in a number chart. Identify the fraction that is shaded. Fill in the number that comes before or after. In Algebra, solve equations given the value for x. Solve equations using order of operations. Find the average from 5 numbers. 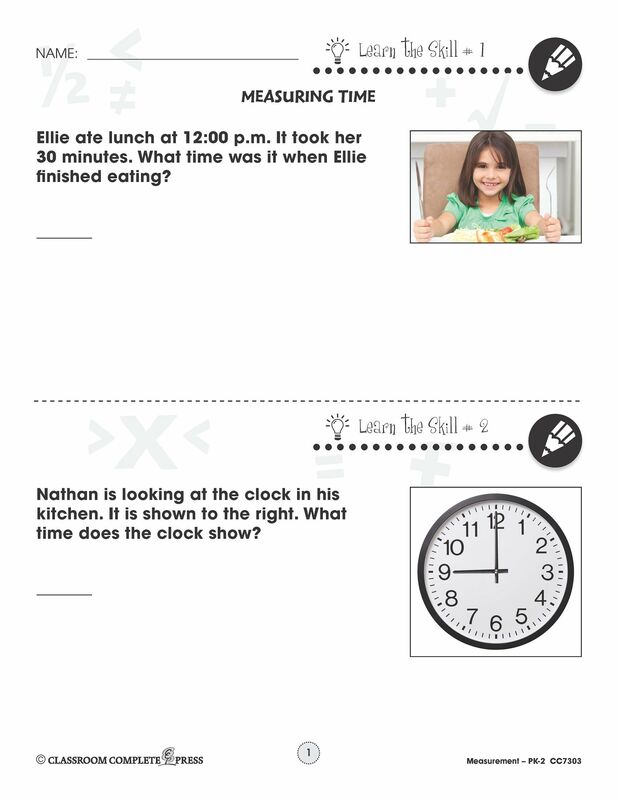 Examine the concept of time with a Measurement task. In groups, time each person completing a task. Change up the groups and the task for unlimited use. These posters are great to post around the classroom for students to use as reference. Get a handle on geology with a poster detailing the Types of Rocks and Minerals found on Earth. 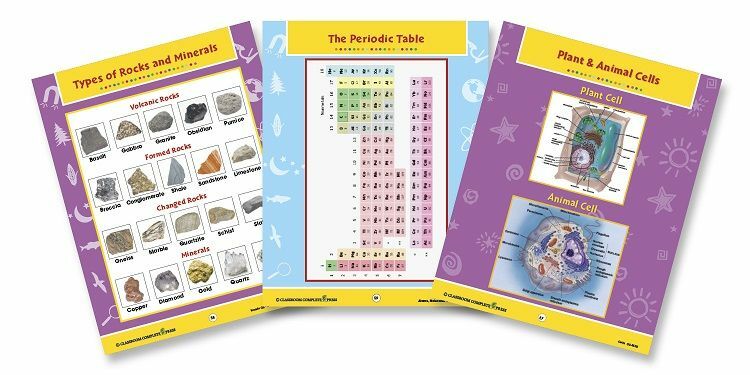 Use The Periodic Table to find the elements studied in chemistry. Get to know Plant & Animal Cells with a colorful and informative diagram. Teachers not only shape students for a successful academic career, but also for successful lives. Use the Laundry Labels poster to give students the confidence to do their own laundry. 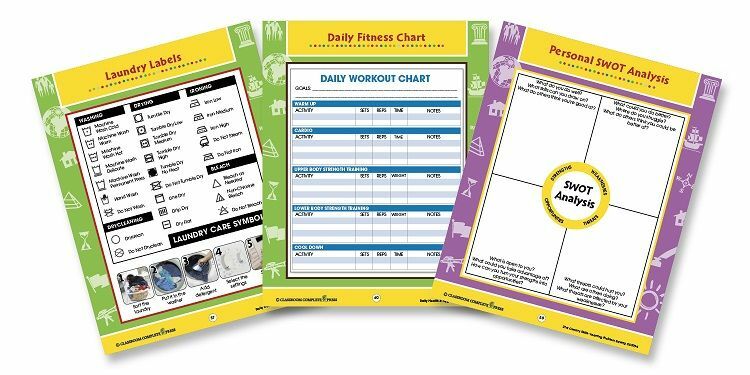 Hand out the Daily Fitness Chart to encourage students to become more active and to adopt a healthier lifestyle. Get students ready for jobs of the future with the Personal SWOT Analysis. This graphic organizer lets students get to know their strengths and weaknesses. Find more FREE content offered at our website. One very important life skill to have is the ability to solve problems. Problems occur in many ways. They can be simple, like a burnt out light bulb. Or, they can be more complicated, like not having enough money to buy groceries one week. Being able to solve these problems is a valuable skill to have when living on your own. It all starts with the approach. Here are 5 strategies to help solve a problem. 1. Write down the problem. Write down what the problem is. Mention what you would like to change about this problem. 2. List possible solutions. Make a list of all the solutions you can think of. This may take some time. You can choose to brainstorm ideas with others. 3. Evaluate solutions. Look at all your solutions. Cross-off ones that you know won’t work. 4. Pick a solution. Pick one of the solutions that makes the most sense. 5. Result and change. How did your solution work? Is your problem fixed? If not, then pick a new solution from your list and try again. Use this Problem Solving Graphic Organizer from our Daily Social & Workplace Skills resource to help complete the 5 strategies above. Keep it as a reference to help solve any problem that may come up in the future. A leader is someone that takes charge of something. This may sound fun, but it isn't an easy job. Everyone will be looking to the leader for answers. It's hard to be a leader, but it's also important. 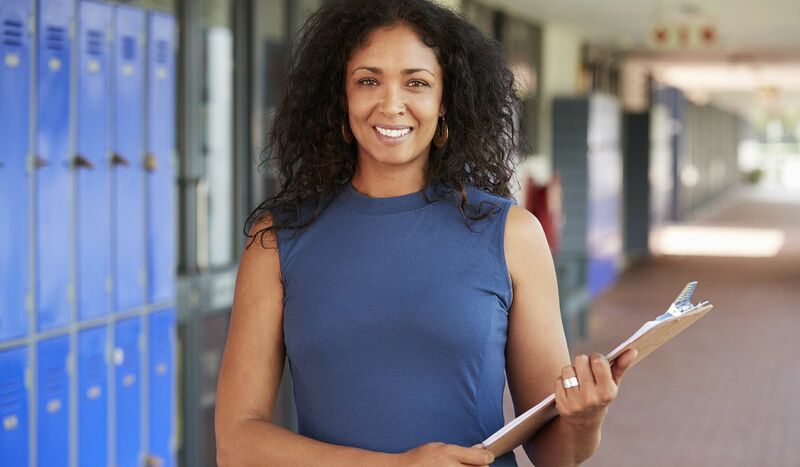 Learning to be a good leader will make your students a better choice for future jobs. It will give them the skills they need to be a success. Motivation: The reason to do something. Confidence: To believe in yourself. 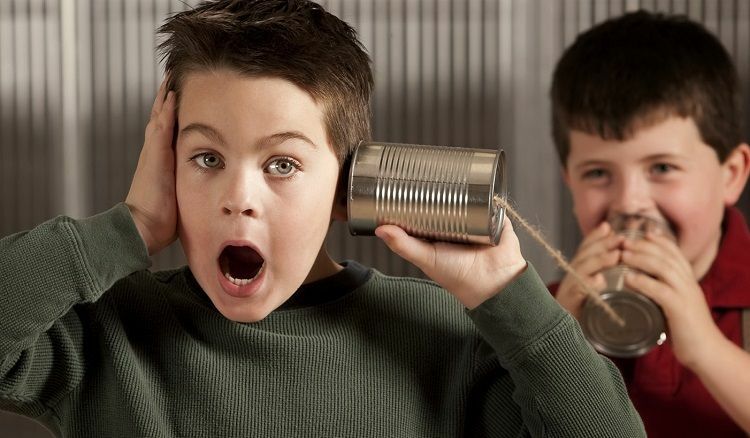 Communication: To get someone to know what you are trying to say. Integrity: To be honest and fair. Creativity: To have great ideas and can think on your feet. Commitment: To work just as hard as everyone else. Get into small groups of 3 to 5 people. One person is chosen as the leader. The group must build a house of cards using a single deck of 52 playing cards. Here's the catch: only one person can build at a time. The leader is in charge of telling the group who can go, how many cards they can use, and where to place these cards. The leader will have to work with their group to make these decisions. 1. How high did you get your house of cards? 2. How many times did it fall and you had to restart? 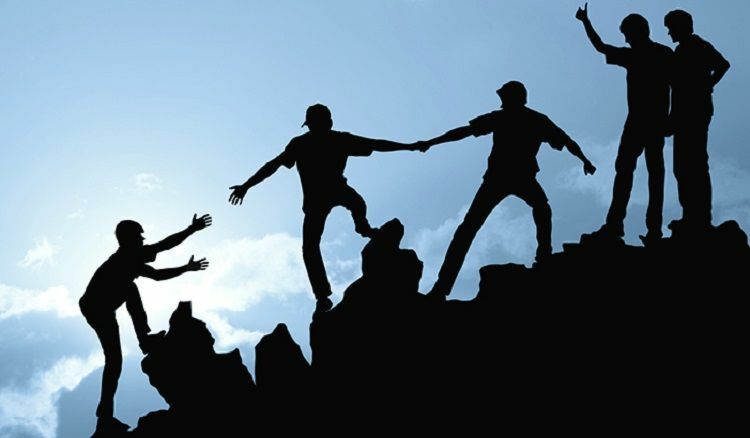 Try these other 2 leadership exercises from our Learning Communication & Teamwork resource, part of our 21st Century Skills series. Inspire your students to have a leader mentality with this Leadership Quotes poster. April 5th is National Read a Road Map Day. Its purpose is to encourage people to go out with friends and only a map. Before the days of GPS, reading a road map was a valuable skill. 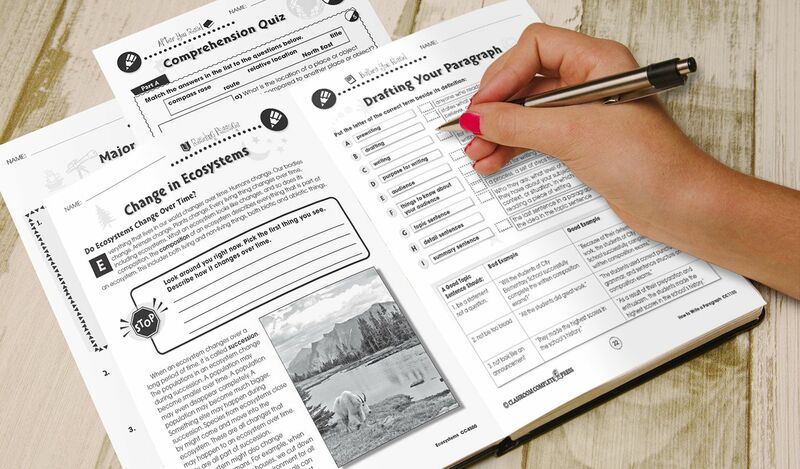 Grab the FREE road map graphic organizers below and start an adventure. 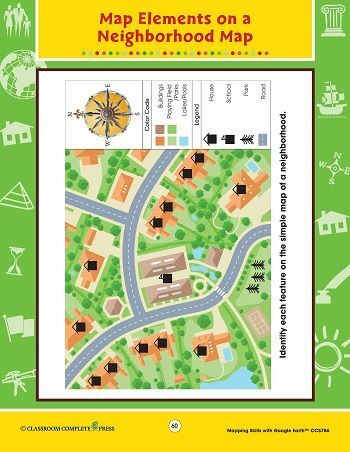 Start by learning the basics of map reading by identifying features on a map with the Map Elements on a Neighborhood Map graphic organizer. 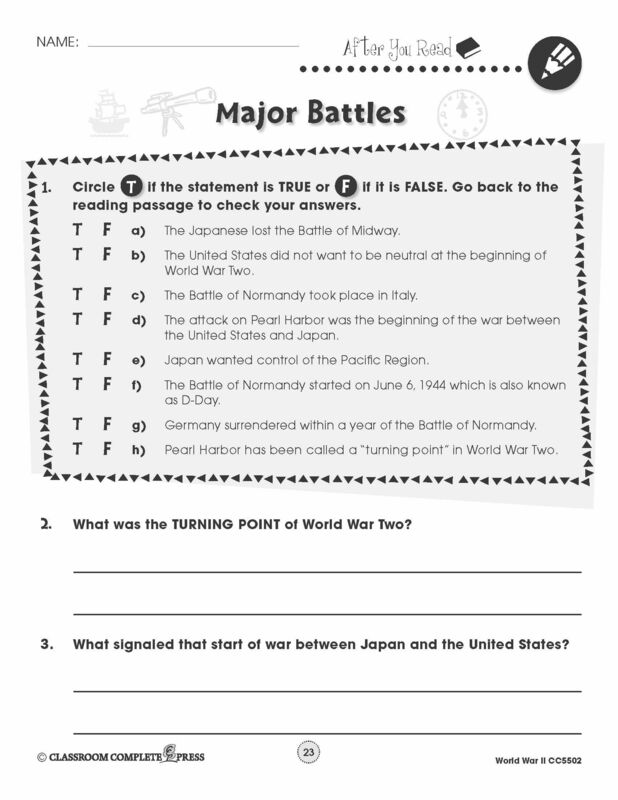 Get your FREE graphic organizer here. 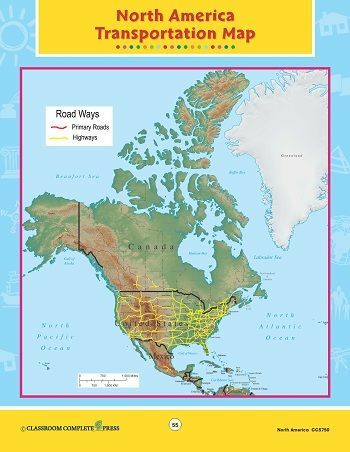 Next, use the North America Transportation Map to plan a trip anywhere on the continent. 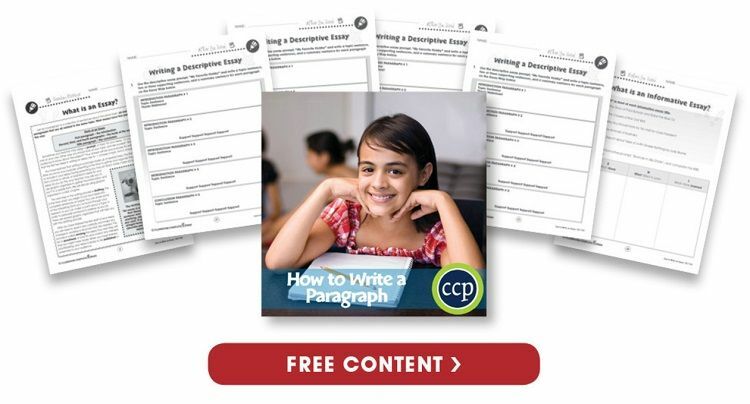 Get your FREE graphic organizer here. Get ready for National Autism Awareness Month in April by promoting acceptance, inclusion and independence in the classroom. Here are several worksheets from our 21st Century Skills and Daily Life Skills series to get students in the spirit. Promote cooperation between peers with a group tower building project. In small groups, have your students work together to build a tower made only of toothpicks and marshmallows. Test the structure by placing an object on top. If it collapses, have your students re-build their tower until they have a sturdy creation. Get the free worksheet here. 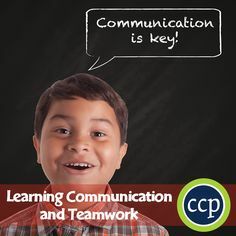 Get more ideas from our Learning Communication & Teamwork lesson plan. 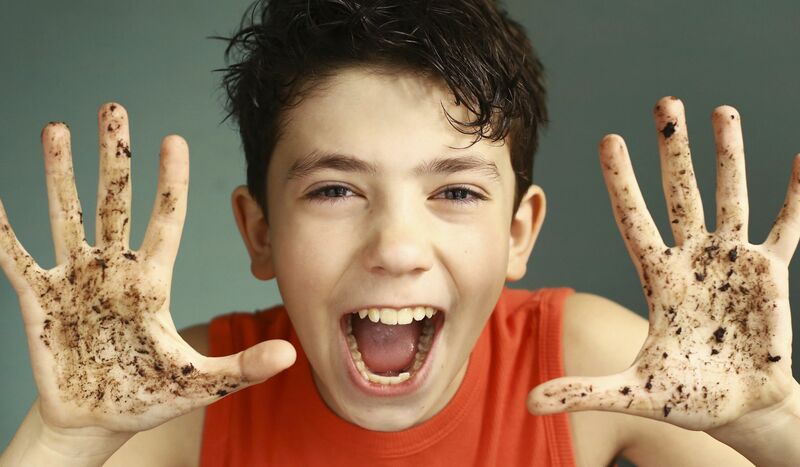 Encourage independence by providing the steps involved with personal hygiene. Give your students the confidence to take care of themselves with information on how to properly wash their hands and clean a cut. 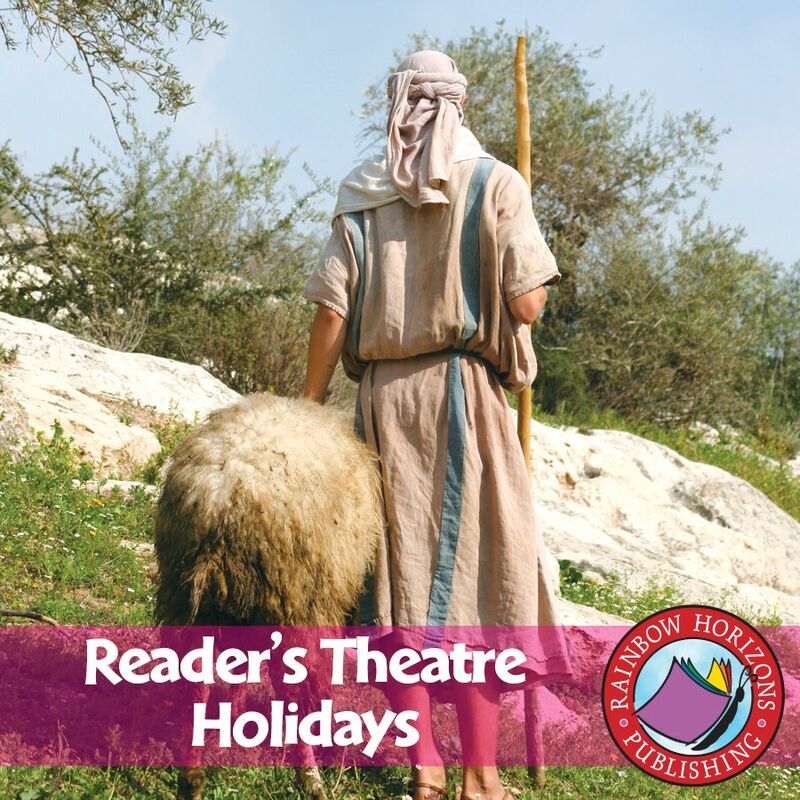 Get the free reading activities here. Get more ideas on self-care skills from our Daily Health & Hygiene Skills lesson plan. Teach your students the necessary skills to be safe in the real world. Get helpful tips like knowing your route when traveling, or understanding that it's okay to say no when someone makes you uncomfortable. Get more helpful tips to staying safe in the real world with this free poster. Daylight Savings is coming March 11. 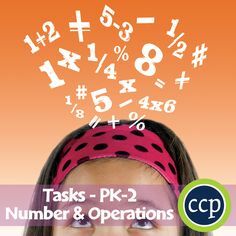 Get ready with these time-related practice task cards. Ellie ate lunch at 12:00 p.m. It took her 30 minutes. What time was it when Ellie finished eating? Nathan is looking at the clock in his kitchen. What time does the clock show? Taylor gets home from school at five minutes after three. At three fifty, Taylor goes to the park for soccer practice. How many minutes go by from the time she gets home from school to the time she leaves for the park? Rafael woke up at quarter after seven in the morning to get ready for school. He was waiting for the school bus an hour later. What time did Rafael wait for the bus? It can be a hard task to encourage students to read. Whether it's a new book, a reading assignment, or a research report. Yet it's an important skill that will become a key part of their daily lives. Some students pick up this skill with ease, yet there are others who struggle. It's important as educators to instill confidence in every reader. 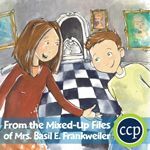 In her article, Janelle stresses the benefits of using graphic organizers as a reading strategy. "Graphic organizers enable students to visually see the connections they are reading." This is a powerful tool that allows students of all learning styles to gain comprehension skills based on what they are reading. 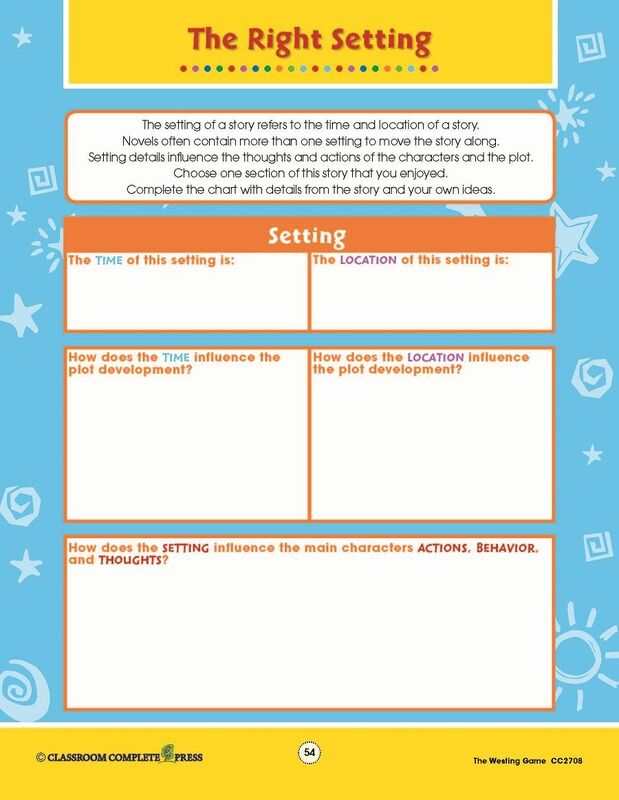 Try out some of these FREE graphic organizers to help engage readers. Janelle notes there are many different pieces of technology that can help students with reading. 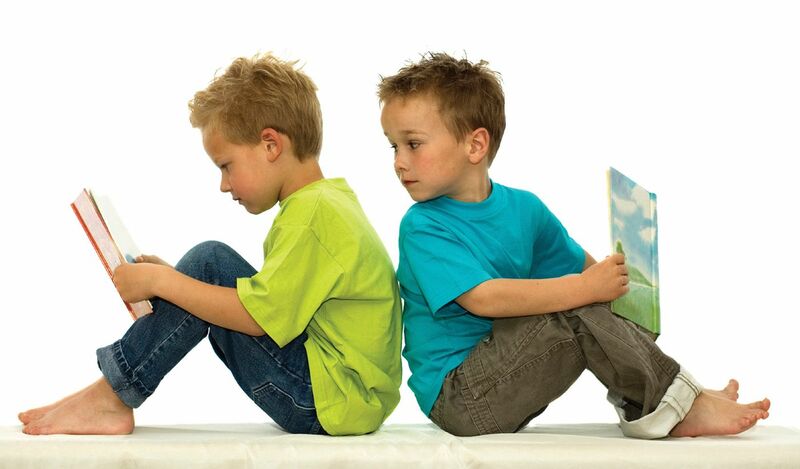 Options like websites and tablets that incorporate games to enhance reading skills. 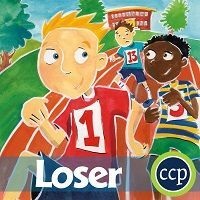 Games are a great way to encourage students who don't like reading activities. 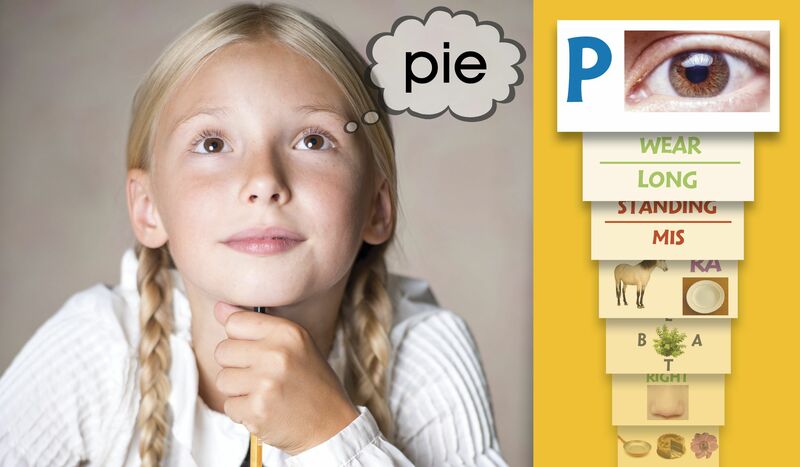 Try out this decision-making game for MAC and PC to practice students' reading skills. The key to comprehension is connecting what you learn to what you already know. Janelle suggests asking students a few questions to help activate their prior knowledge. Some questions include: What do you know about the topic? How can you relate this to your own life? Get a list of some more questions at Janelle's article. A Word Wall is "an effective strategy that can help promote literacy for primary learners". Janelle points out that this timeless classroom display helps students by providing reference and support as they read. Try this "Take a Guess" game to promote sight word comprehension. The most effective reading strategy is to give your students a choice. Get them wanting to read by allowing them to pick what they read. They will become invested in their choice and eager to see it through. Janelle specifies that students become more engaged and motivated when reading something they have an interest in. With these 5 strategies, students will develop the necessary reading skills required to become successful readers. There are 2 types of students. One goes on to achieve success. This is a growth mindset. The other achieves less and less over time. This is a fixed mindset. Below is a chart to explain these mindsets. It's much better to have a growth mindset. 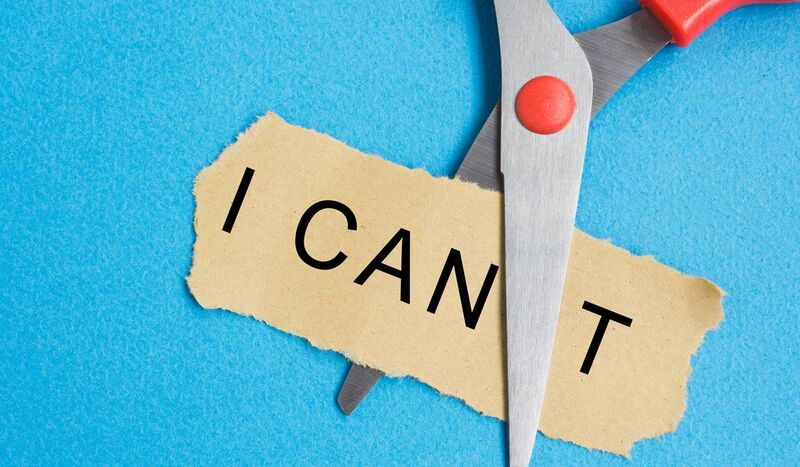 This mindset allows students to grow and adapt. A fixed mindset keeps them in one place. But it's possible to change from a fixed to a growth mindset. Below are some questions to ask your students. These will help them develop a Growth Mindset. 1. Do you work as hard as you can? 2. Do you ask questions if you need help? 3. Do you check your homework for errors? 4. Do you spend enough time on your work? 5. What can you do to improve your work? So how do you know what kind of mindset your students have? Have them take this QUIZ to find out. Get more tips on the benefits of a Growth Mindset, like this Training Your Brain poster with our Learning Problem Solving ready-made resource, part of our 21st Century Skills series. 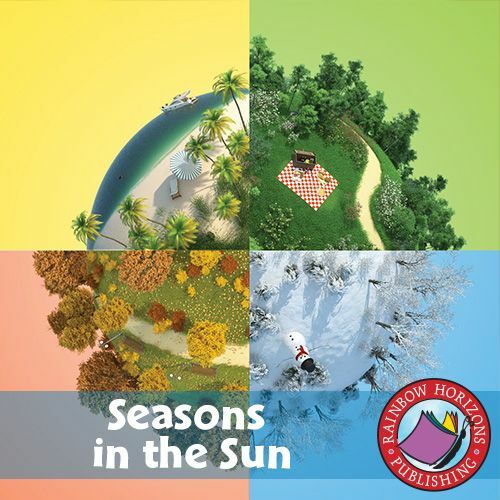 December is Read a New Book Month. 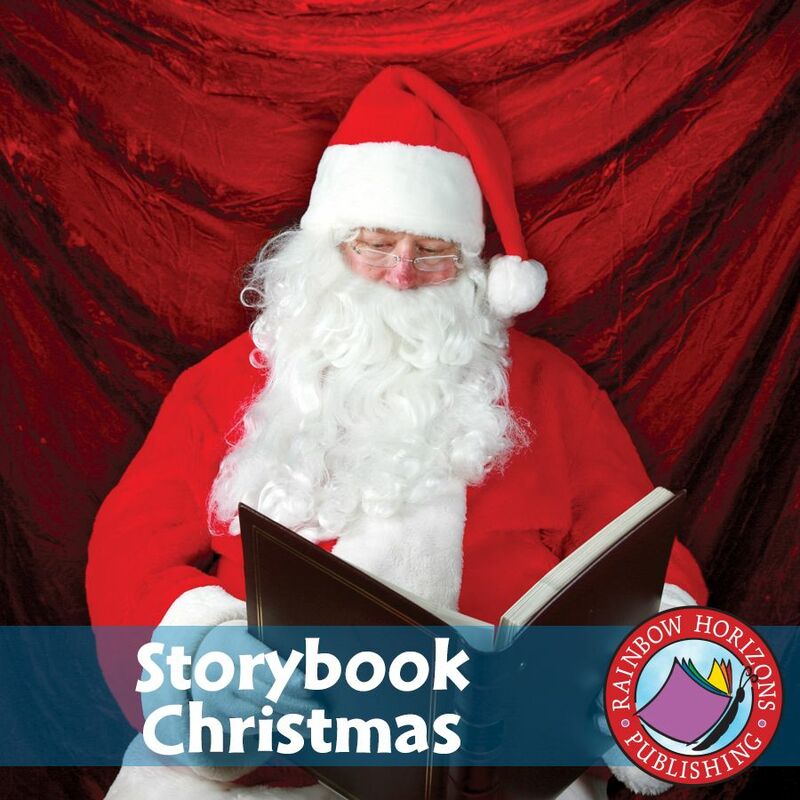 It's designed to encourage readers to keep on reading during this busy month. 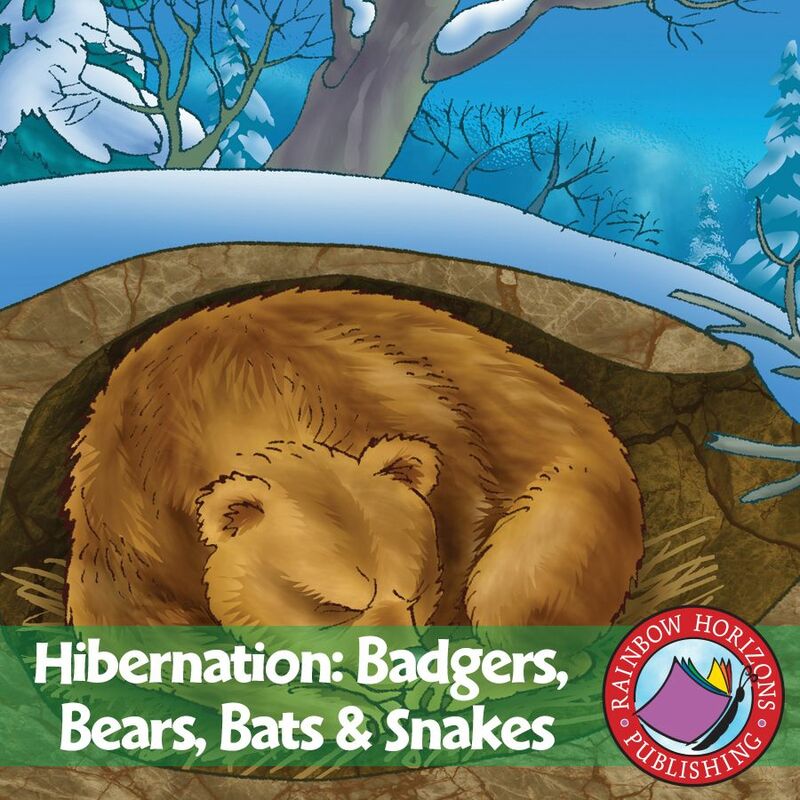 We challenge both teachers and students to take part in this month-long reading adventure. 1. 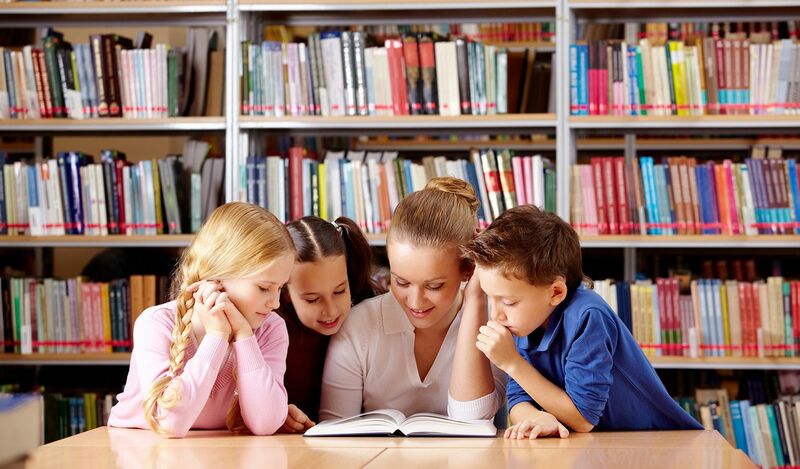 Set up a book club so students can discuss the book they are reading with others. 2. 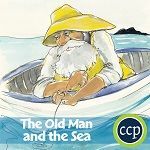 Pair the reading with an audio book to stimulate their senses. 3. 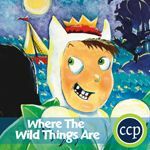 Get creative and have students act out their favorite scene from the book. 4. 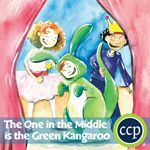 Read aloud to a group, each taking turns reading different parts. 5. Create a reading corner filled with pillows and comfy chairs and block out some time dedicated to reading. Have a look at our selection of Novel Study Guides to accompany your reading this month. Geography Awareness Week—celebrated this year on November 12-18—was created by National Geographic to encourage young Americans to become more involved in the world around them. For over 25 years, GeoWeek encourages everyone to think about their world and how they affect and are affected by it. Classroom Complete Press encourages all classrooms to get together and take part in GeoWeek. This can be with a group discussion, a school-wide event, or a hands-on lesson for the classroom. 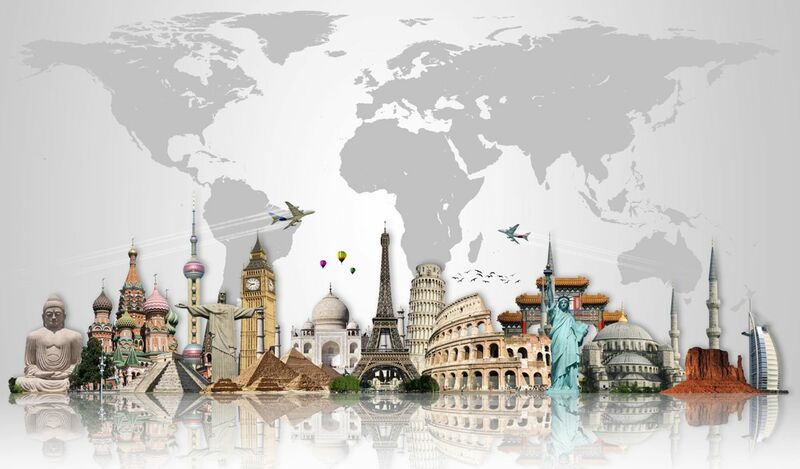 Try out the FREE activities below from our selection of geography-minded lesson plans. 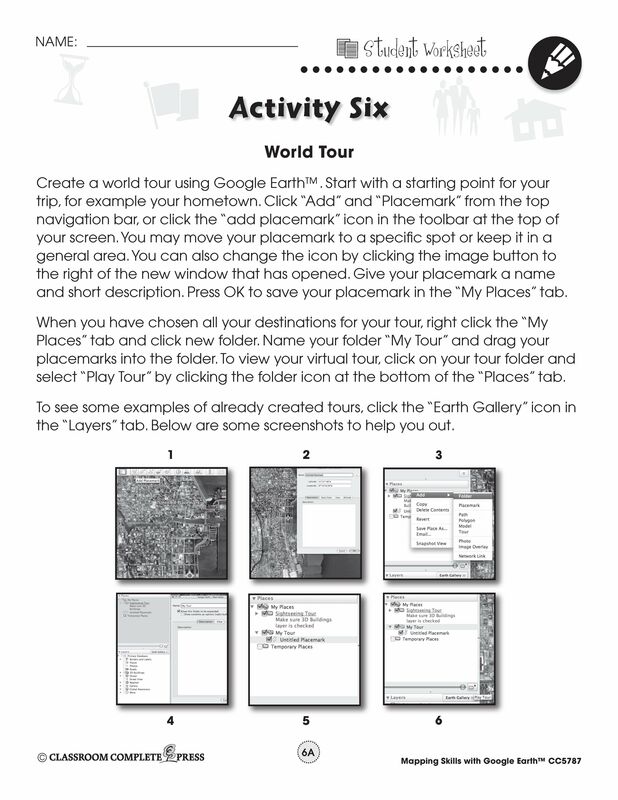 Click an image to download a free activity. October is National Bullying Prevention Month. Founded in 2006 by PACER's National Bullying Prevention Center, this campaign aims to raise awareness of an ever-present issue. 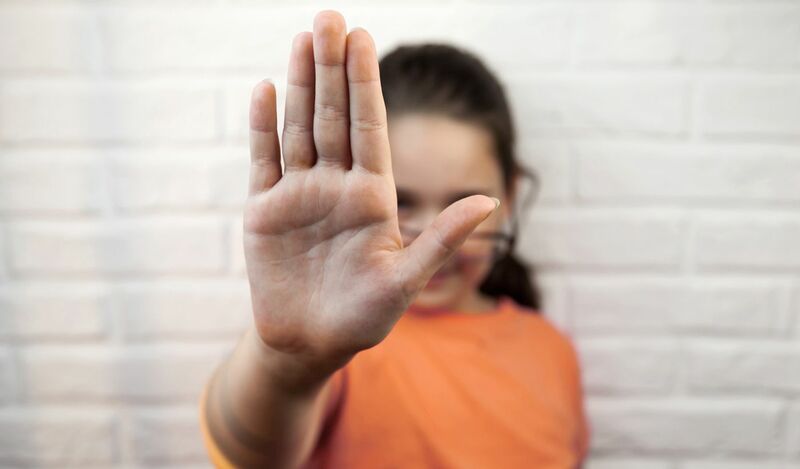 Bullying is a problem that afflicts every community across the country. Since the emergence of social media, it has grown exponentially in the cyber world. As such, it is important to bring awareness to this issue and learn how to identify cyber bullying and how to fight against it. 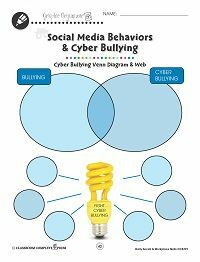 Use this FREE Graphic Organizer from our Social Media Behaviors & Cyber Bullying chapter of our Daily Social & Workplace Skills Ready-Made Lesson Plan to compare traditional bullying with cyber bullying. And if you need a little more help, check out some of the great lesson plan ideas offered by PACER at their National Bullying Prevention Center website. There's a new way to teach rising up in classrooms today. Out with the standard teacher-student dynamic where one tells the other how they are doing. Out with the typical learn and forget it method. Today's classroom leaves students more aware of their strengths and weaknesses. It gives them the capability of learning what they need to know, and how to use that knowledge to excel in the real world. In this post by Kyle Spencer of The New York Times, a classroom in Brooklyn is just one of many that are revitalizing how teaching and learning is done in the classroom. The key is for students to recognize on their own what they need additional practice on, how to motivate themselves to get that practice, and how to utilize the resources available to them, like the help they receive from teachers. The emergence of online learning in recent years have made great strides in this area. Students get an interactive approach to learning, while getting real-time results on real-world questions. 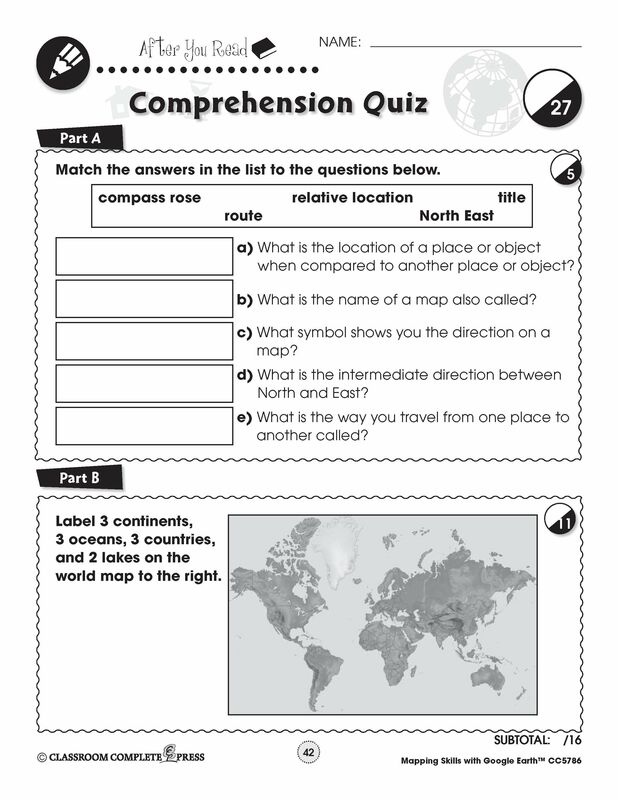 Students are encouraged to think deeper about a topic, while also being challenged with comprehension-style questions. In Kyle Spencer's report of just one Brooklyn classroom, there is no such thing as failing. Students no longer receive letter grades. Instead, they are meant to complete a series of grade-level skills before moving on to a higher level. This allows students to learn at their own pace while not feeling left behind. It allows students to be confident with their abilities while not having the threat of failure hanging over their heads. The point here is to learn, and to learn well. Our subscription-based platform allows students to do just that. 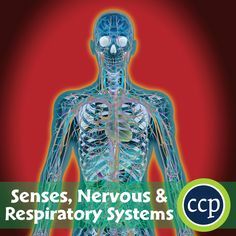 Read about the five senses and how the body works. Answer questions about the reading. Use helpful math tools to solve a problem. Get helpful tips from the Reading Watch Dog. Complete a graphic organizer or interactive game for added practice. Try it all for FREE for 15 days. No commitment necessary. 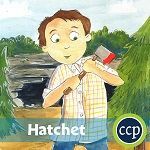 Did you know that every CCP resource book follows a UNIQUE and CONSISTENT format? We do this to maximize the ease-of-use of the lesson plan, and to ensure each resource will fit within every teacher's pedagogy. 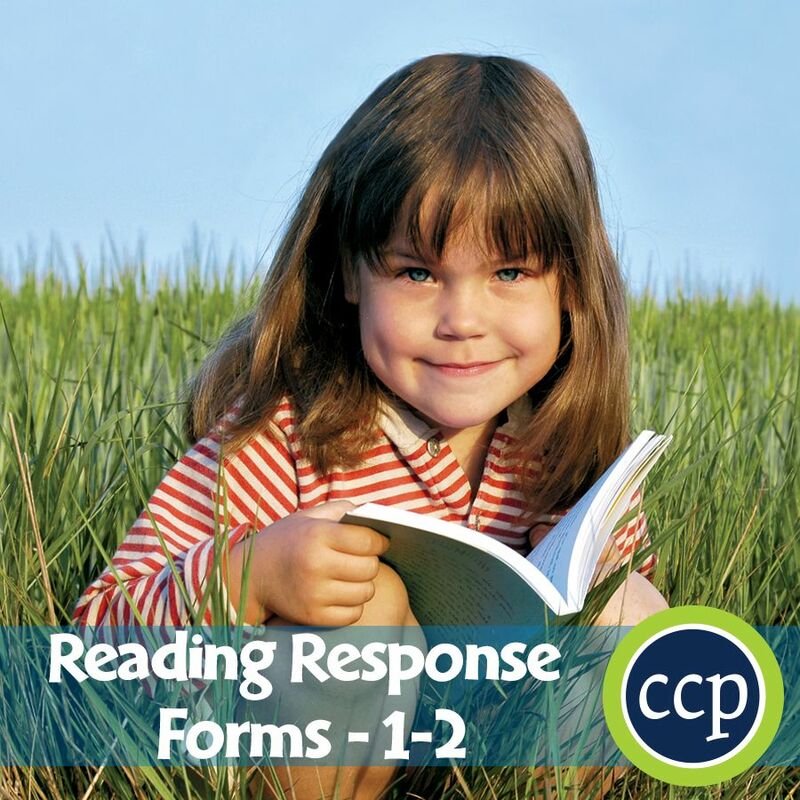 The Reading Passage pages present important grade-appropriate information and concepts related to the topic. 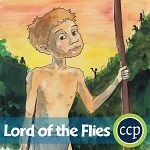 Embedded in each passage are one or more questions to ensure students understand what they have read. 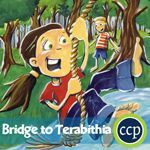 In addition to the chapter content, each resource is accompanied by writing tasks, hands-on activities and/or experiments, crossword, word search, final quiz, and color posters or graphic organizers. 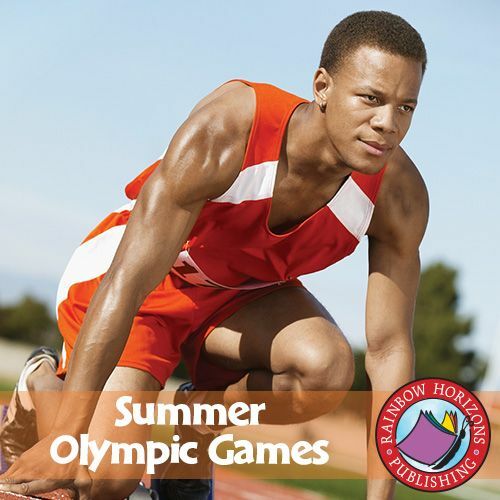 Keep up with your reading this summer with our suggested summer reading list. 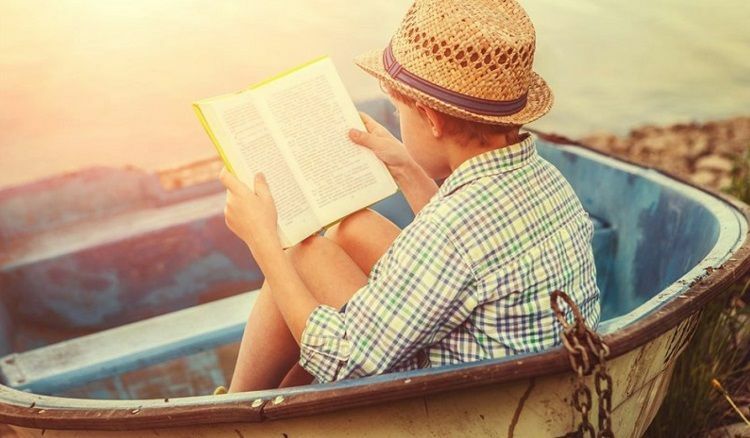 These are classic and award-winning novels that are great for reading during the summer break. Use our novel study guides to further engage your reading comprehension skills. Start reading today! Click an image to see more from these ready-made resources. 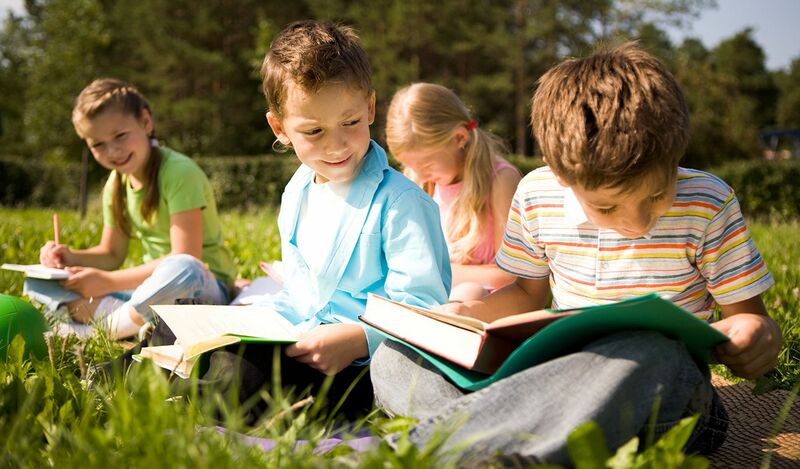 With summer vacation just around the corner, finish up the school year by escaping the stuffy classroom and bringing learning outdoors. Get a hands-on start to fun in the sun by changing up your surroundings and getting in touch with nature. 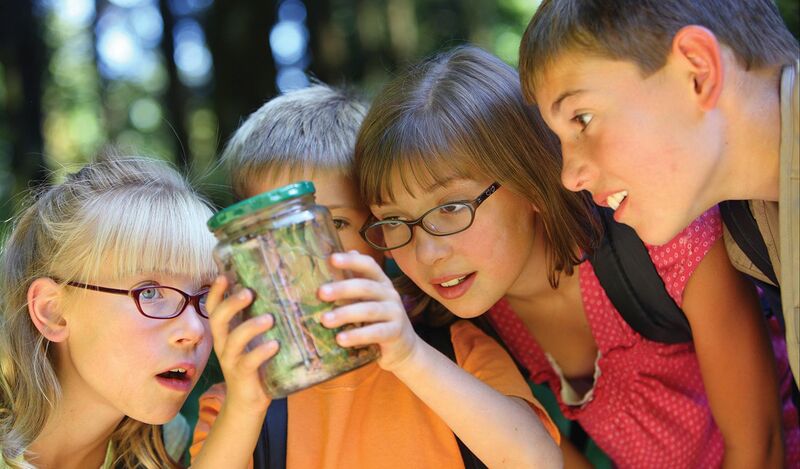 Be inspired to create an outdoor classroom with these free activities and adventurous ideas. 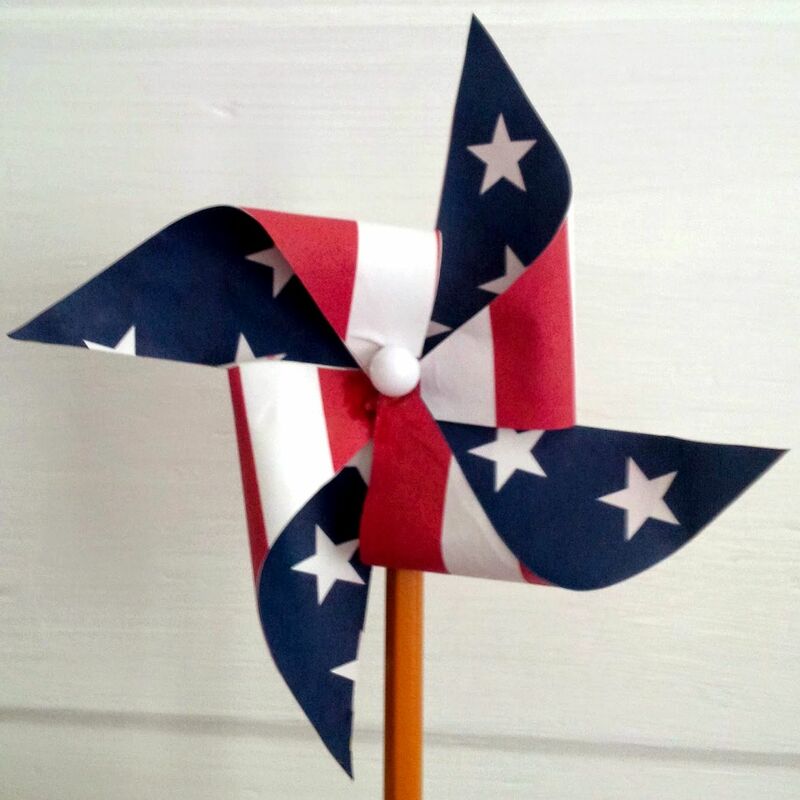 Learn about the power of wind with a home-made weather vane. Build your own weather vane using materials found in everyday classrooms. Take your creation outside and test it in the elements. 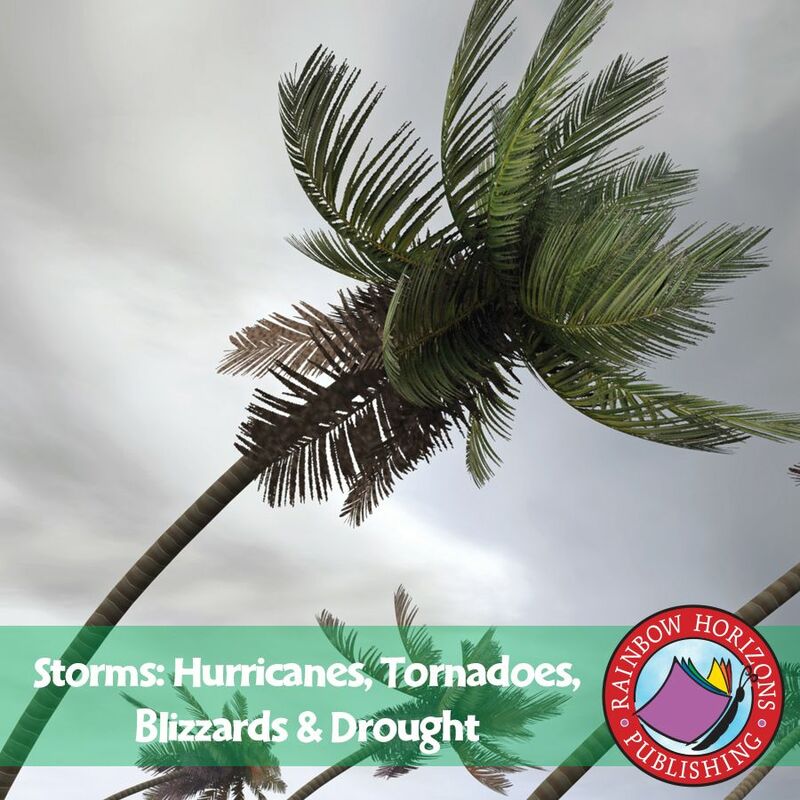 Find out the direction the wind is blowing and how often it changes. Study the different kinds of rocks and see how many you can find. Go outside and look for as many different rocks as possible. Compare them to the ones in the list below. Explain where each rock was found and what type it is. 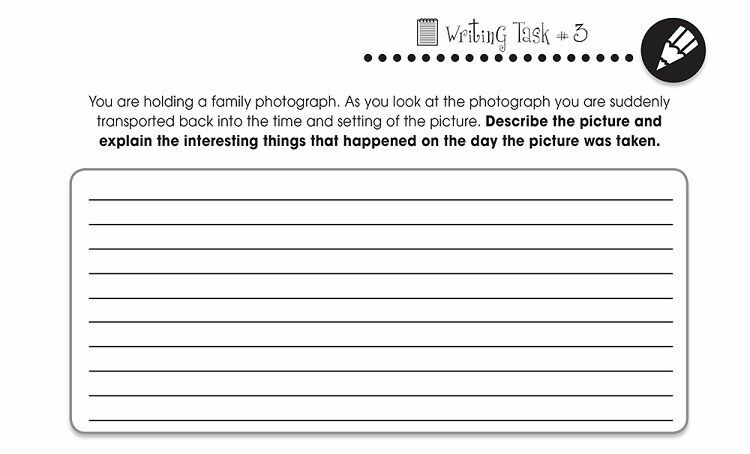 Click an image to see a free worksheet, or click the cover image to see more from this ready-made resource. 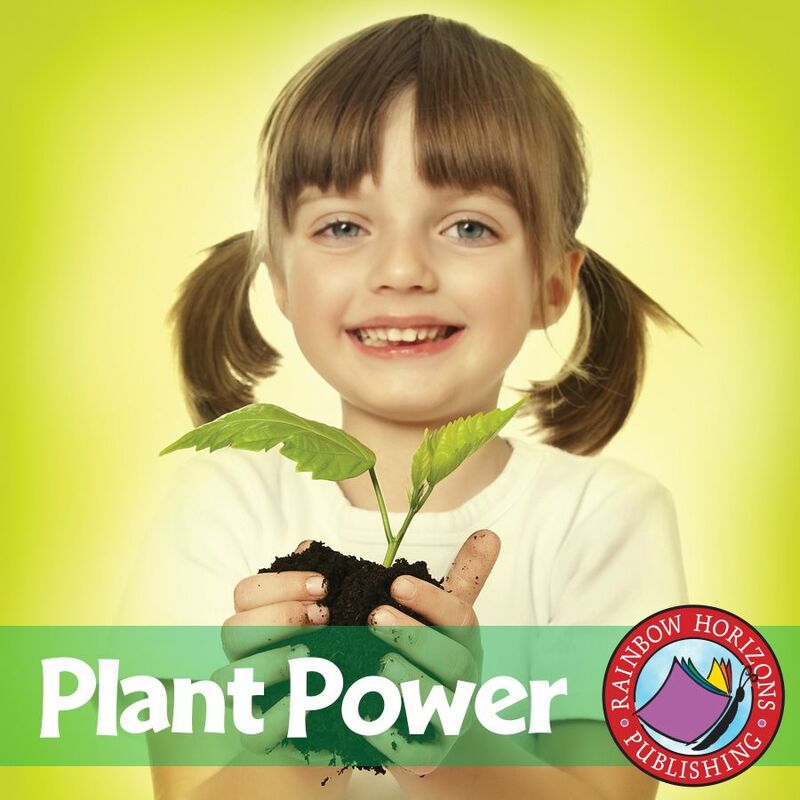 Examine the effect that light and air has on green plants. 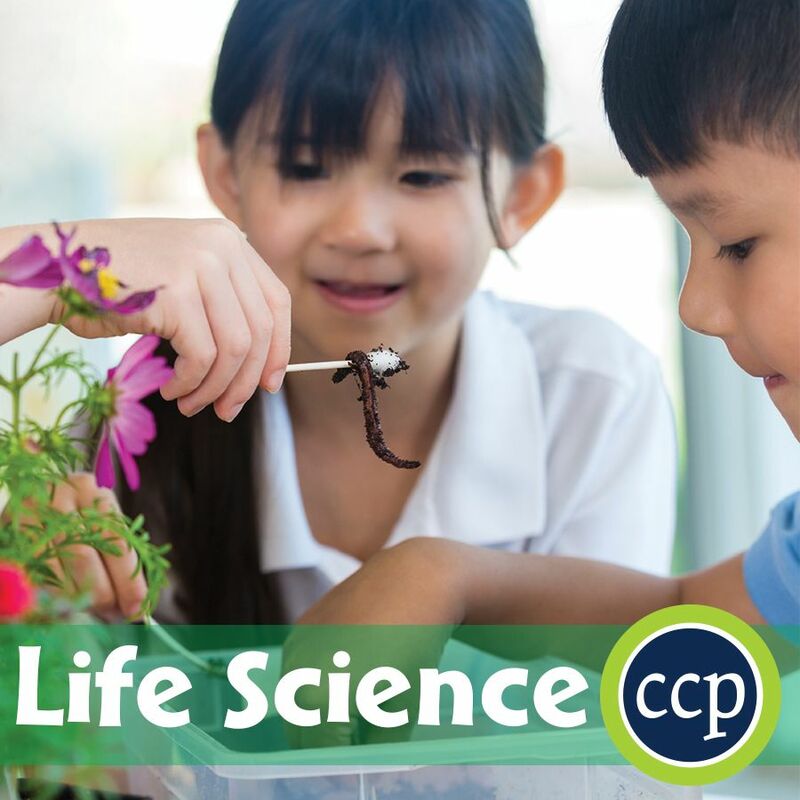 Conduct an experiment that shows the difference between plants exposed to sunlight with plants kept in the dark. Continue the experiment over several weeks, marking the changes between the two plants, finally leading up to transpiration. Head outdoors and make tree rubbings of bark. Take a walk around the neighborhood and note the different colors of trees. See how many different patterns and textures are found in nature. May is Get Caught Reading Month. Encourage students to open a book and experience how much fun it is to read. Since 1999, the Association of American Publishers (AAP) have worked to promote this nationwide campaign. 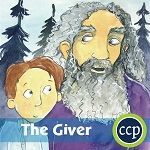 Whether it's a Newbery-winning story or a literary classic, there's something for everyone inside a book. 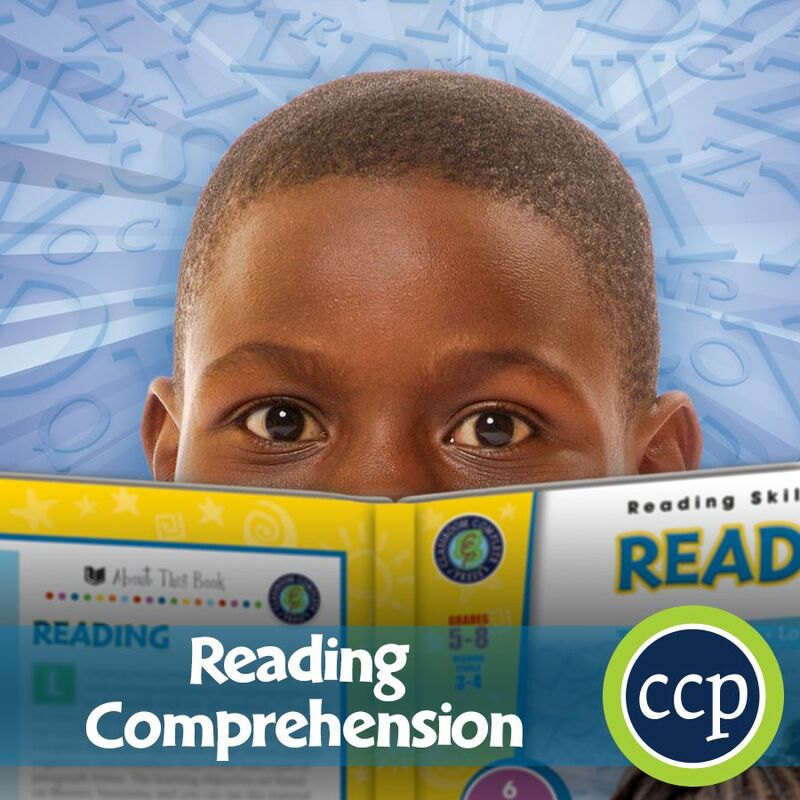 Take this initiative one step further by testing student comprehension as they read. Take a look at some of our suggestions below, and don't forget to grab your free downloads. 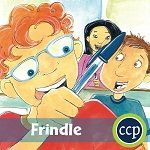 Get inspired to make up your very own word with Frindle. 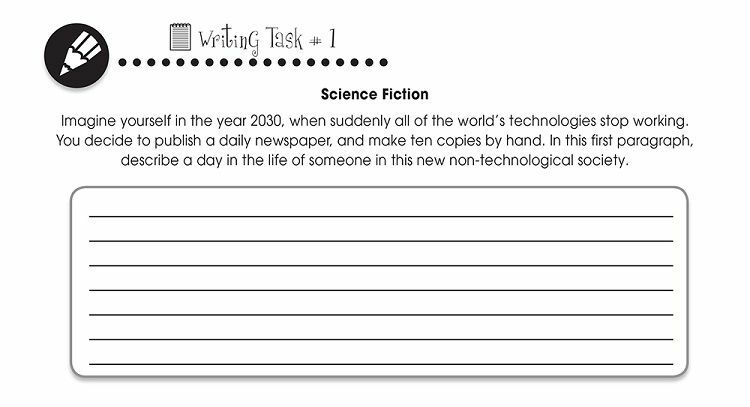 In a journal prompt, students use their critical thinking skills to predict what career Nick will have when he grows up. 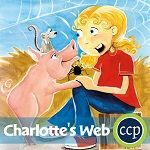 Help design a miracle to save the life of a pig in Charlotte's Web. Students describe how Wilbur tried to make himself look 'radiant', and predict what Charlotte's 'masterpiece' will be. 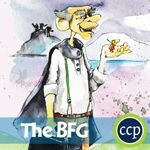 Travel to a land of giants with The BFG. 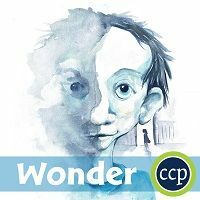 Students reflect on how the story ends and create their own giant to live in this world. Click an image to see a selected novel study guide from our ready-made resources. 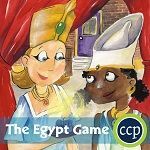 Find out what it was like to live in Ancient Egypt in The Egypt Game. Students write a message to a classmate using Egyptian hieroglyphics. 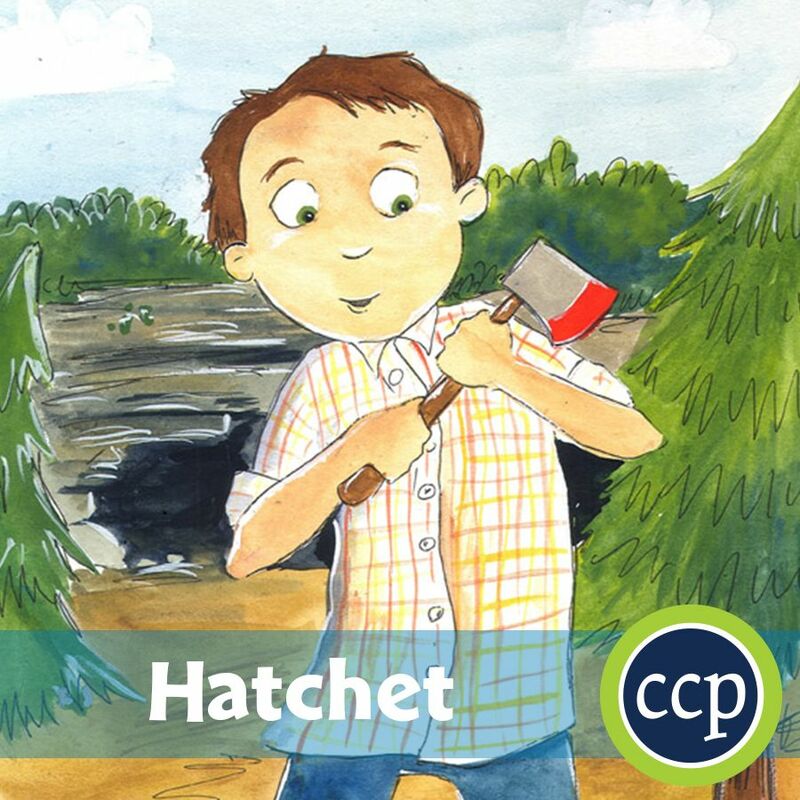 Become stranded in the wilderness and learn to survive in Hatchet. Students complete a chart detailing the events Brian survives, what his reactions were, and what he learned from them. 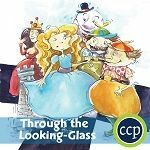 Travel Through the Looking-Glass to a fantastic world with interesting characters. Using details gathered throughout the novel, students draw a map of the looking-glass world. 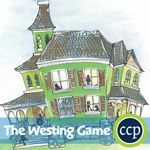 Solve a who-done-it mystery to claim a fortune in The Westing Game. Follow the clues in the story to solve the game before any of the characters. 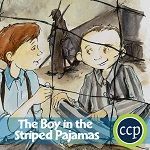 Experience the tragic tale of The Boy in the Striped Pajamas. Students explore Bruno's state of mind by detailing the lesson he learns from his conversation with Maria, and what experiences he thinks he shares with her. 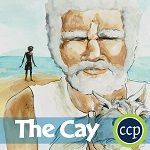 Become shipwrecked on The Cay, and find out what it takes to survive. Students use the description Timothy provides to Phillip to research the tea bird and draw a picture of it along with a fact sheet. 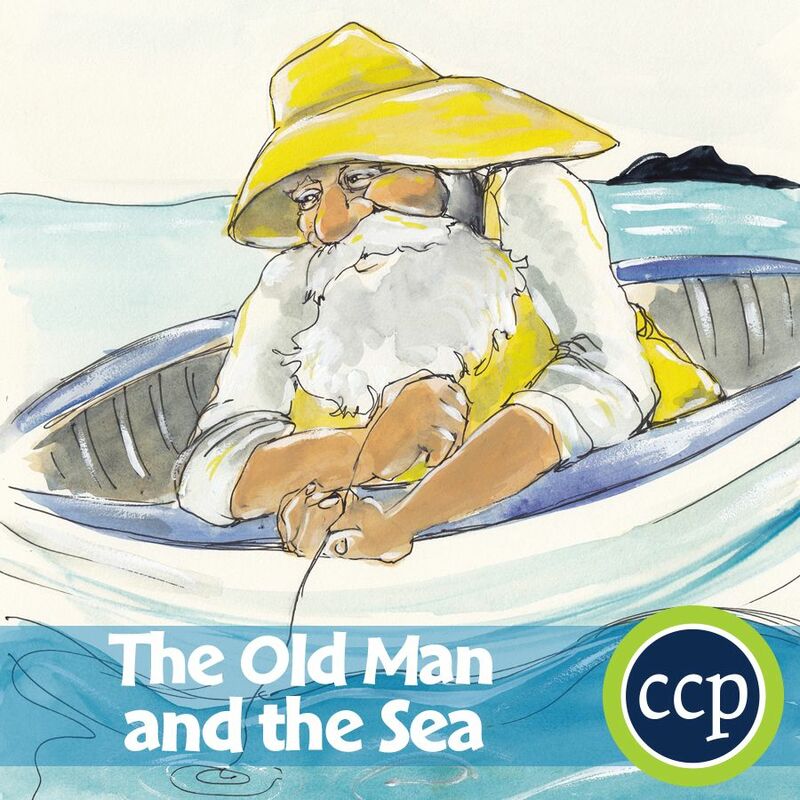 Spend a few nights with The Old Man and the Sea, battling with a fish and your own will-power. Students explore the character of Santiago by indicating what he said that suggested big fish were nearby, and what this says about his experience. Enter a post-apocalyptic and desolate wasteland that will challenge you to survive along The Road. Students make predictions of the disaster that destroyed the world based on clues left by the author. Explore the downfall of civilization while surviving with peers on an island in Lord of the Flies. Students map out Ralph's mindset by identifying some of the things that he reflects on. Meet Matilda and the power she has to move things with her mind. Research famous magic tricks throughout history, and find out how they are done. Imagine a society where The Giver holds all the memories of human kind. This is no easy job. Students choose a career they are interested in and research all that is involved with it. 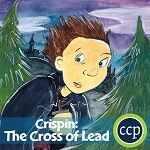 Travel back to medieval times with Crispin: The Cross of Lead. Learn about the real-life figure of John Ball and his role during this era. 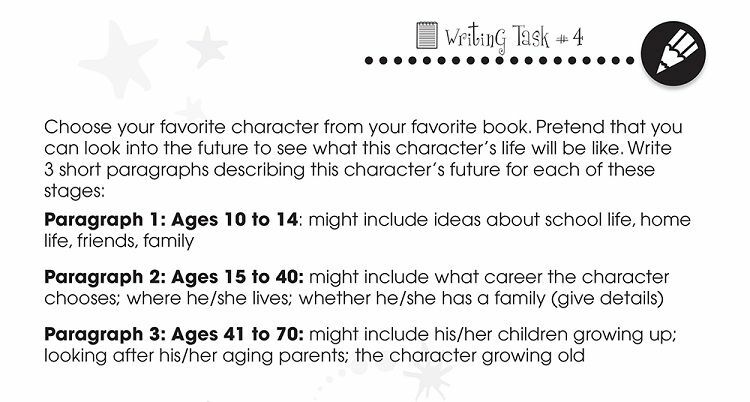 Click an image to see a free worksheet from our ready-made novel study guides. April is Earth Month. Take this month to celebrate all things Environment and Earth Sciences, all while leading up to Earth Day on April 22. 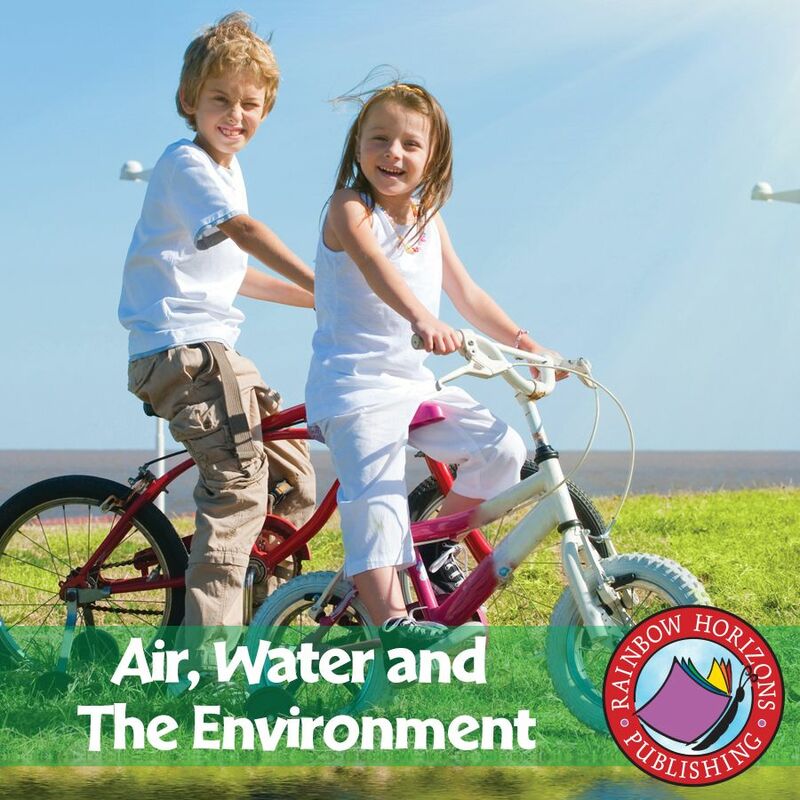 Here are some tips and ideas to promote the environment all month long. 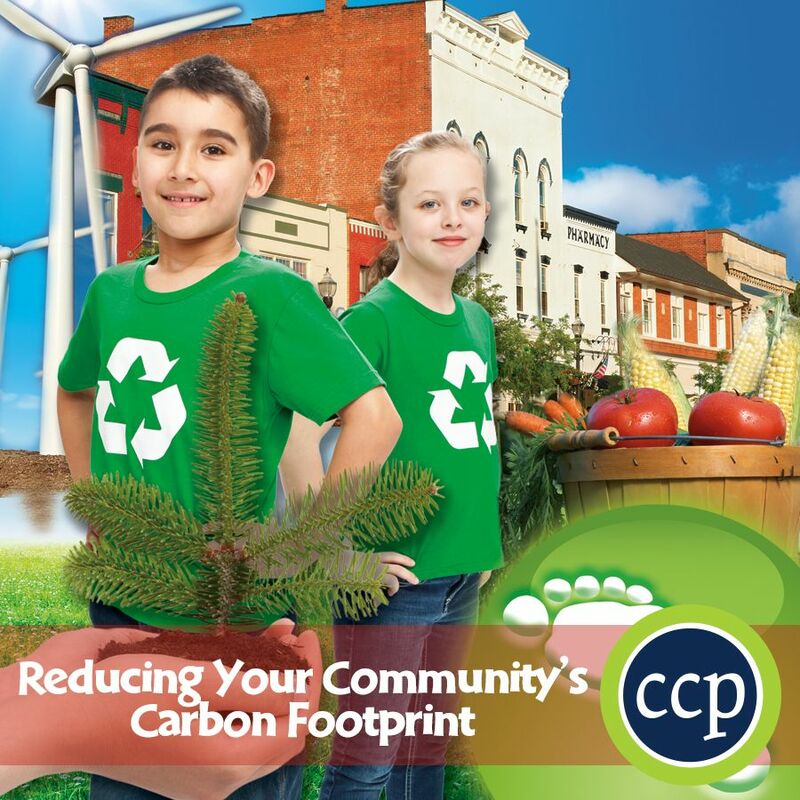 Learn all about your carbon footprint at home, at school and in the community. Calculate your own carbon footprint, then get tips on how to lower it. 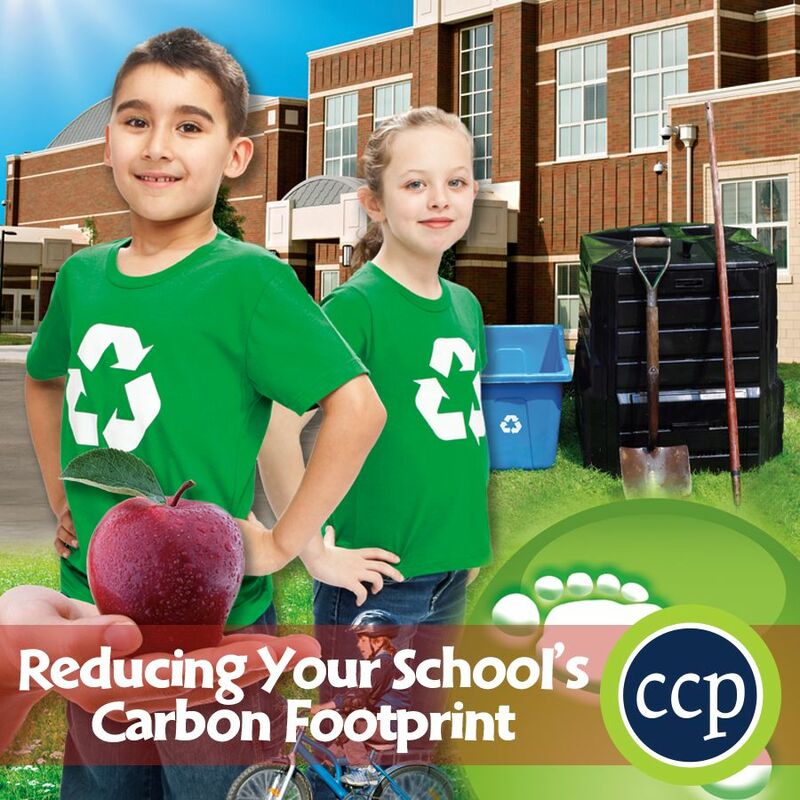 Start an initiative at your school to encourage a smaller carbon footprint. Then, reach a little higher by implementing this initiative within the community. 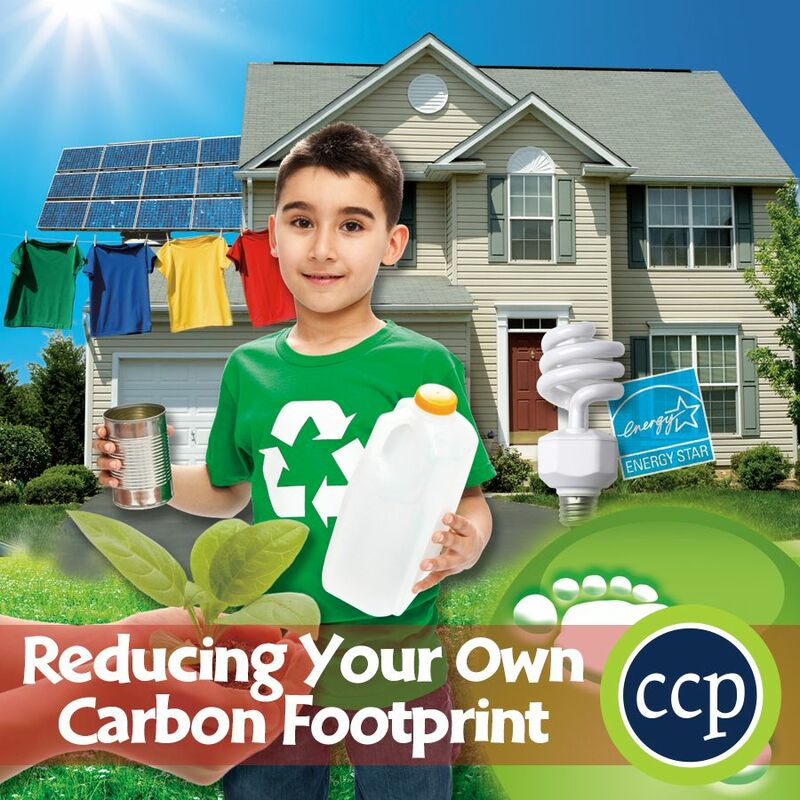 Get your FREE carbon footprint calculator here. 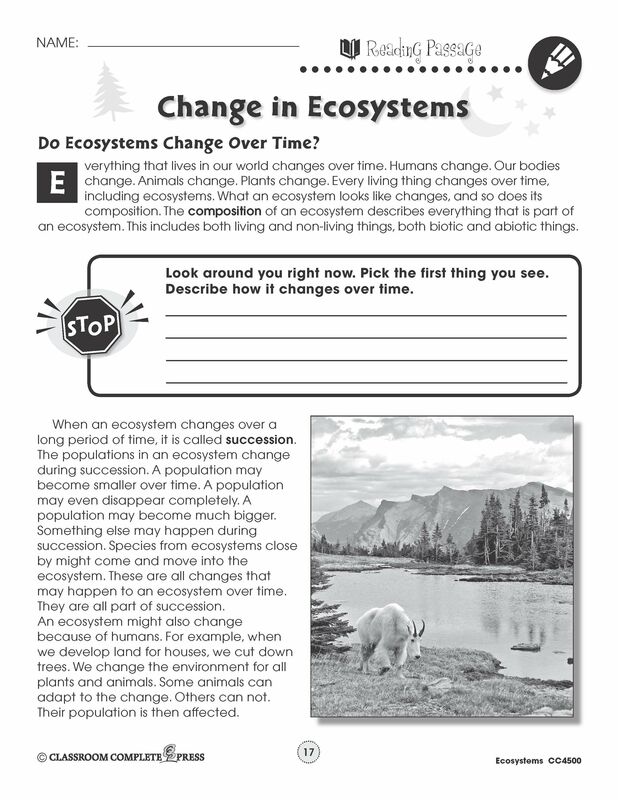 Click an image to see a selected lesson plan from our ready-made resources. Spend some time in the dirt and turn your thumb green. 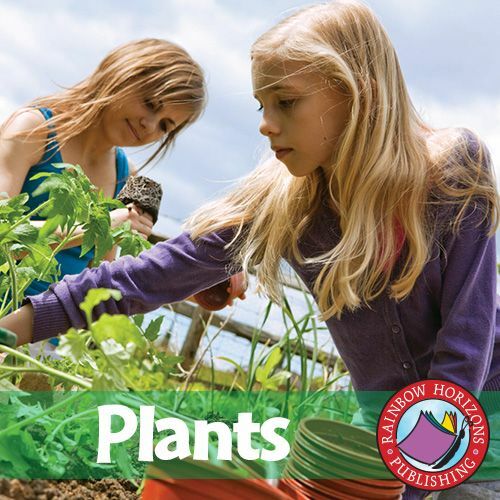 Start a community garden with your class. Grow some wildflowers to help the bee population. Grow some vegetables and cook up a stew. Promote clean air by planting a tree. Teach your students the importance of responsibility by taking care of a plant and watching it grow. No Earth Month is complete with a study on the planet Earth. 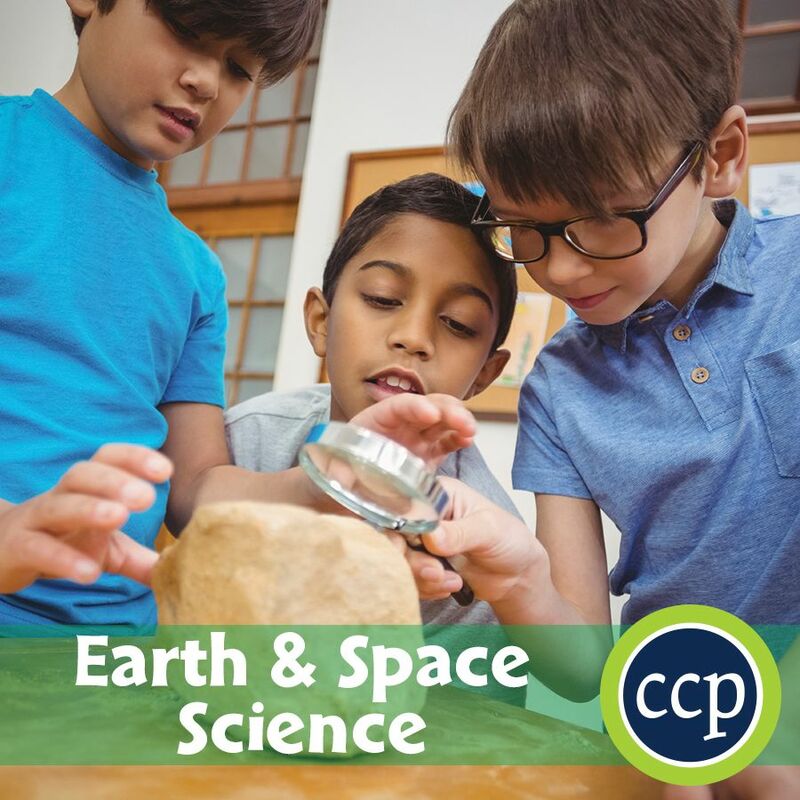 Go deep and get to know what makes up the planet with a look at plate tectonics, rocks and minerals. Go to the surface and discover the different ecosystems that inhabit the planet. Go to the sky and find out how the air, wind and atmosphere affect the planet. Go back to the basics and excel at recycling. Implement a recycling program in your classroom, and encourage students to extend this to their home. 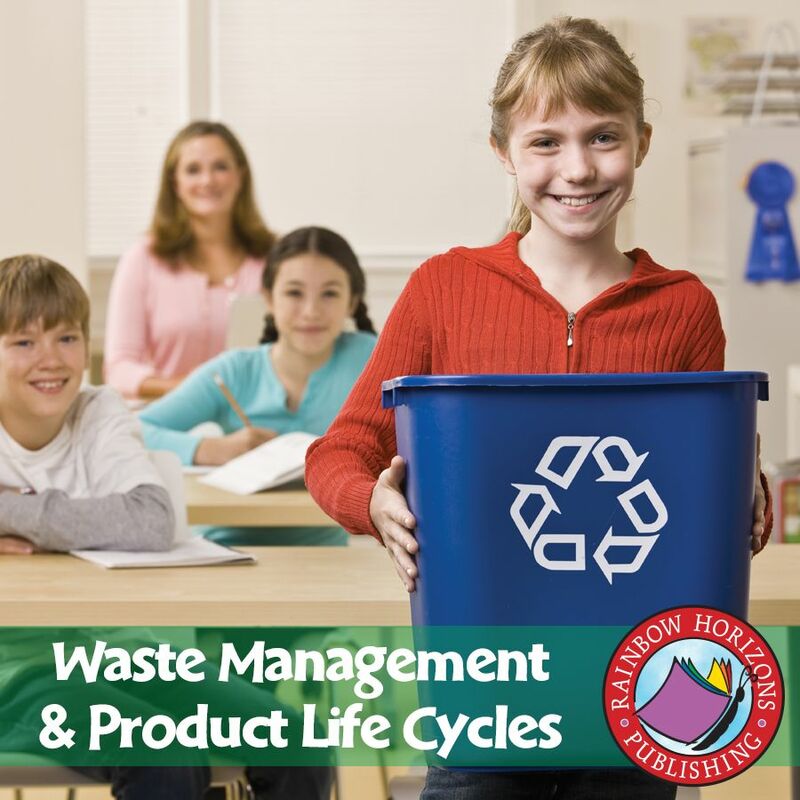 Learn about product life cycles and come up with alternative methods to decrease waste. 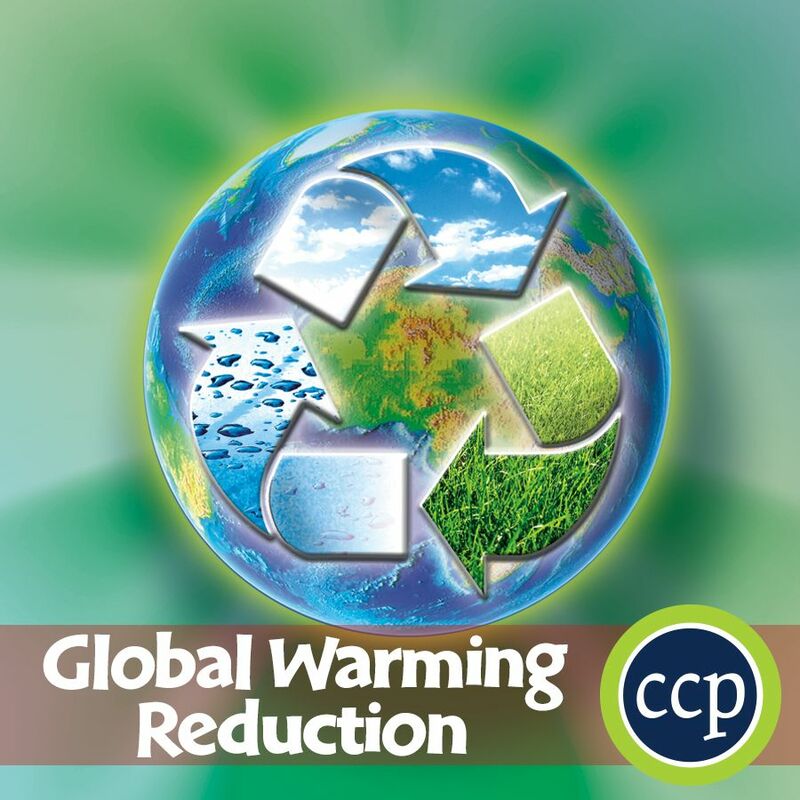 Study the effects of climate change and get tips on how to reduce it. Get to know all the ins and outs of life on planet Earth—from the smallest organism to the largest being. Start with a look at cells and what life needs to prosper on Earth. 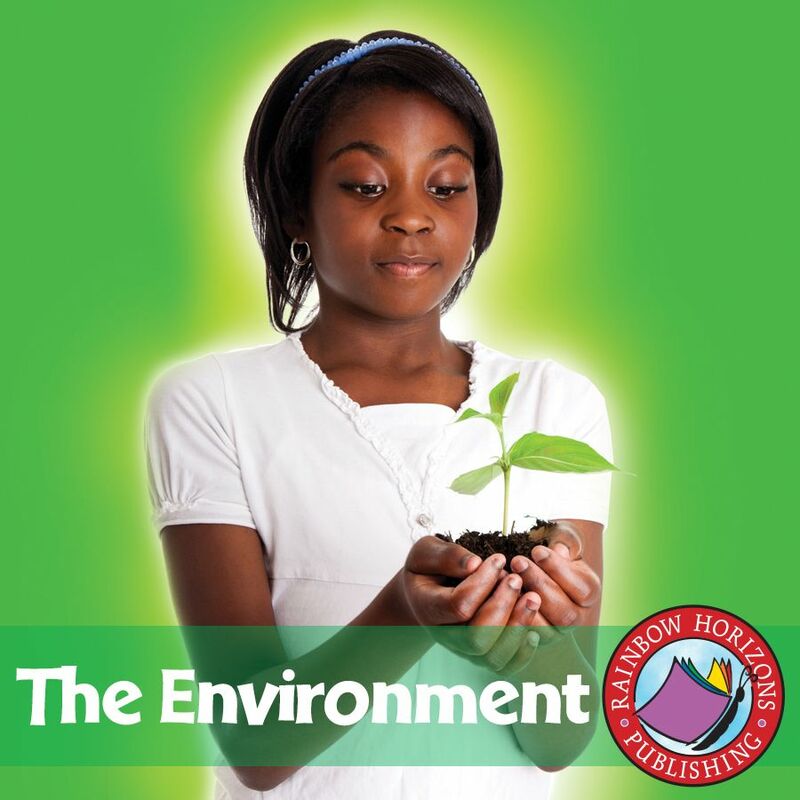 Start viewing the environment as a living being that needs to be nurtured. Then, extend outward by looking at the different habitats that exist on the planet. Saint Patrick's Day is an Irish holiday celebrated throughout the world. Held on March 17, Saint Patrick's Day marks the day Saint Patrick—the patron saint of Ireland—died, during the 5th century. This day commemorates the arrival of Christianity in Ireland, but also more generally the heritage and culture of the Irish. On this day, people typically wear green and visit a parade. Saint Patrick's Day is celebrated in more countries around the world than any other festival, making it one of the most popular holidays. 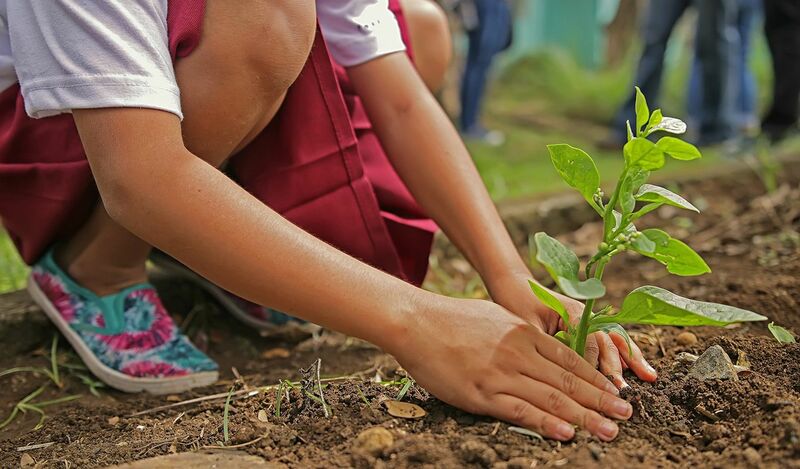 Turn your classroom into a green haven as you take part in this widely celebrated holiday. Saint Patrick's Day parades originated in North America during the 18th century. They didn't start celebrating with parades in Ireland until the 20th century. A typical Saint Patrick's Day parade will have marching bands, the military, firefighters, organizations, youth groups, fraternities, and law enforcement. In Ireland, the week of Saint Patrick's Day is Irish language week. Participants spend this week speaking in the Irish language. 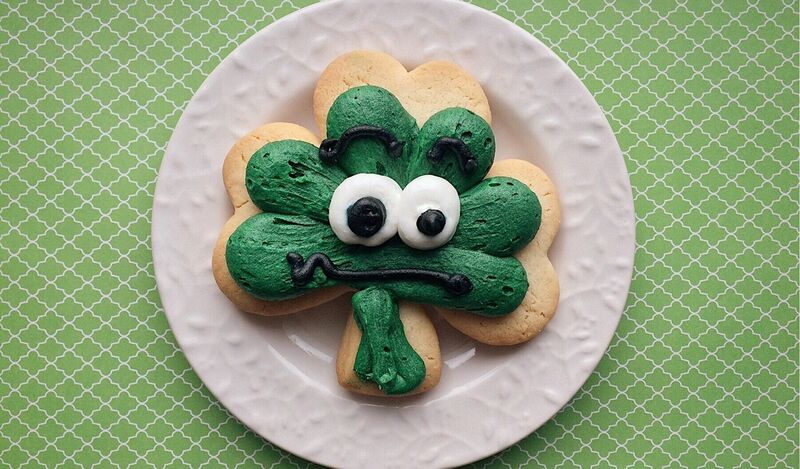 Set up your classroom for Saint Patrick's Day. Have a class parade, create a craft corner, and try your hand at speaking the Irish language—Gaelic. Different places celebrate different traditions on Saint Patrick's Day. Typically, those who celebrate wear green or shamrocks. The color green is associated with Ireland and has become the official color for Saint Patrick's Day. A shamrock is a three-leaved clover. Saint Patrick used the shamrock to explain the Trinity to the Irish. From there, it had become the national symbol of Ireland. As a class, research different celebrations and traditions of Saint Patrick's Day from around the world. In Ireland, you'll learn that Saint Patrick's Day is actually a public holiday. In the United States, the Chicago River is dyed green every year. On the International Space Station, Chris Hadfield took a photograph of Ireland from Earth's orbit to celebrate the day. What is Valentine's Day? We all know the traditions, but where did it come from? Here's your chance to merge art, history and language arts into one while celebrating a beloved holiday. There's lots of opportunities for art projects this holiday season. The most obvious being Valentine's cards. Have students design their own instead of sharing store-bought cards. Find classic imagery of cupids and hearts, or have your students design their own interpretation of love and friendship. Try introducing the term "respect" to this holiday. Love, friendship and respect are all intertwined, and Valentine's Day provides a great opportunity to share this positive viewpoint. Although the traditions and meaning of Valentine's Day is known by most, not many may know of its origins or why we celebrate it. This holiday season, try to implement a little bit of history into classroom celebrations. Explore the origins of Valentine's Day. Find out some other customs celebrated throughout the world. See what traditions are new, and which ones didn't stand the test of time. Have students invent their own tradition to celebrate Valentine's Day. To learn more about Valentine's Day, click on the image for the Special Days lesson plan. 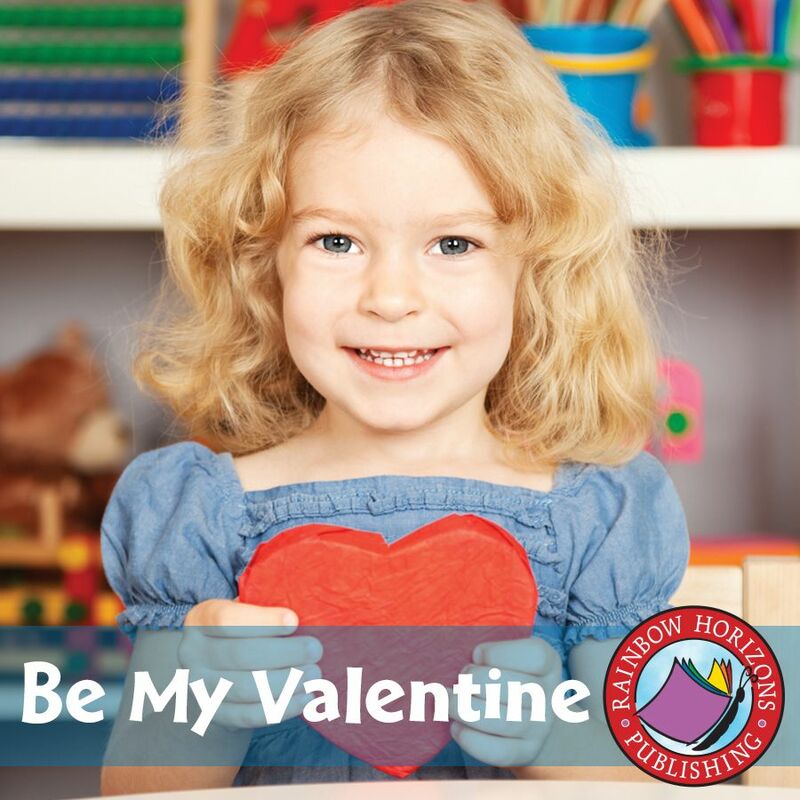 Valentine's Day is the perfect holiday to incorporate with language arts. Valentine's Day is all about sharing Valentine's Day cards. And with cards come heartfelt handwritten messages. A great opportunity to practice those writing skills. Have students show their creative side by writing a poem. 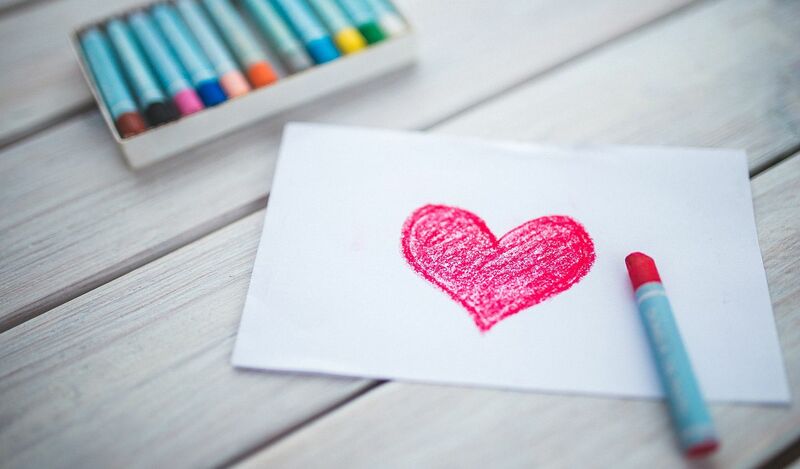 Encourage proper grammar and spelling while writing Valentine messages in short paragraphs. Have a class project where students come together to write a stage play. The opportunities are endless. With a new year comes new resolutions. A fresh start. A clean slate. A new beginning. January is a time for resolutions. 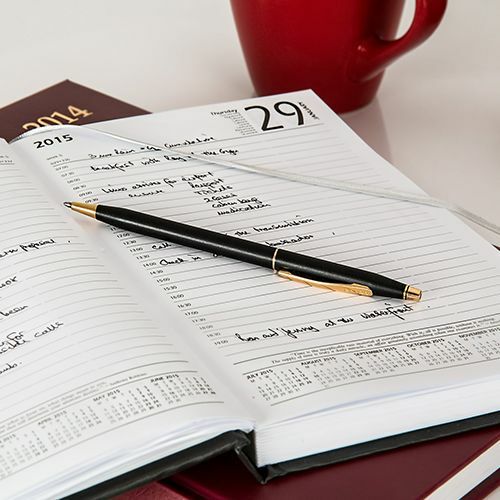 Maybe you want to be more organized this year. Maybe you want to be more prepared for lessons. Maybe you want your classroom to run smoother. Here are some tips for resolutions in the classroom. After a much-needed break, it can be hard to get back into the same old routine. Take this opportunity to try something new. Change things up a bit. Give your classroom a make-over. It can be something small, like new posters. Or something big, like completely rearranging the desks. Try to get your students to be more productive by swapping the seating chart. Try it for a few days to see if there's any improvement. Or, change things up regularly to bring new life to your classroom and stimulate young minds. Is there a new technology you've always wanted to try? Or a new method for teaching a difficult subject? Maybe you want to bring more creativity to your lessons. Or have more interaction with classroom discussions. Now's the time to try it. Don't worry if it doesn't work, there's plenty of time to test and correct any issues. Try incorporating an online-based portion to your lesson. 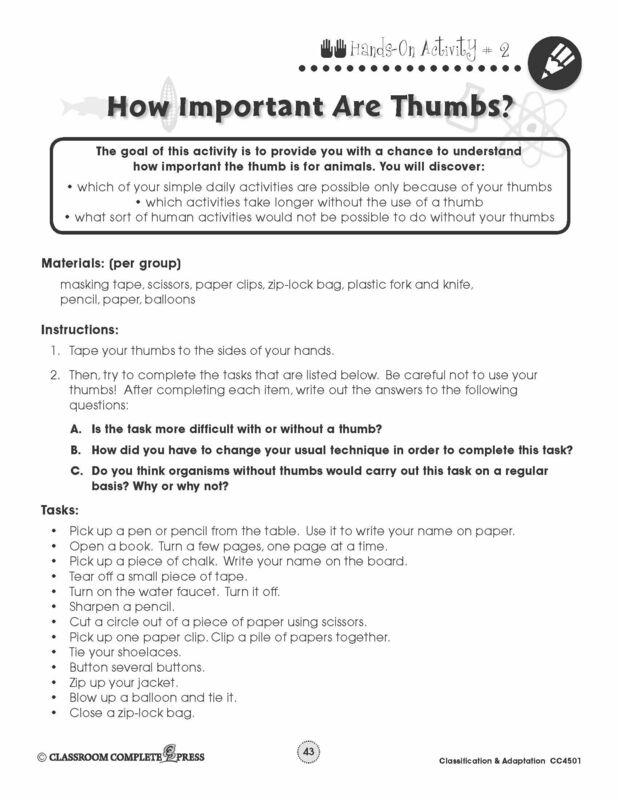 This can be done individually as homework, or as group activities in the computer lab. Include a comprehension assignment in the form of questions, a final test, or a collaborative presentation. Spend some time individually with each student. A great way to do this is to have independent study time. Try to spend 5 minutes with each student. You don't need to solve anything in those 5 minutes, you just need to get a sense of where each child is at. What are their strengths? What are they struggling with? Then, take some time to yourself and come up with some strategies for helping out each student. It could be changing up your teaching method, assigning specialized homework activities, or even creating tailor-made quizzes that cater to each student's strengths. It's not how they learn, but what they learn and retain that matters. It's the most wonderful time of the year! The winter season is upon us. Bring on the cold wind, fresh snow, and soothing hot chocolate. 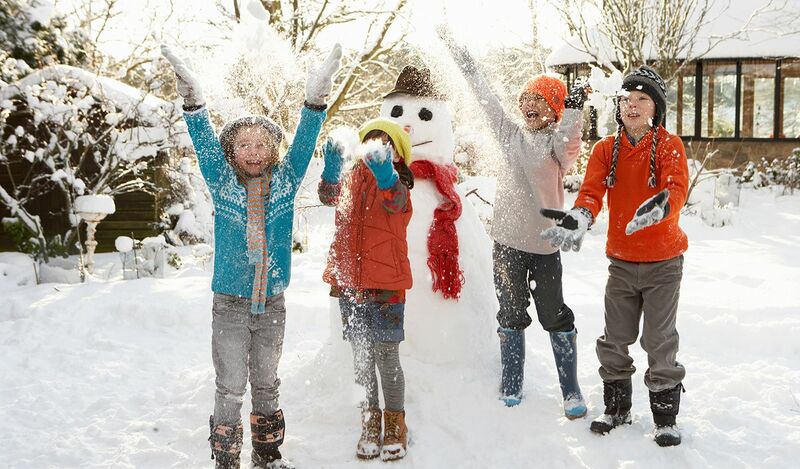 Grab your snowsuits and build a snowman during the day. 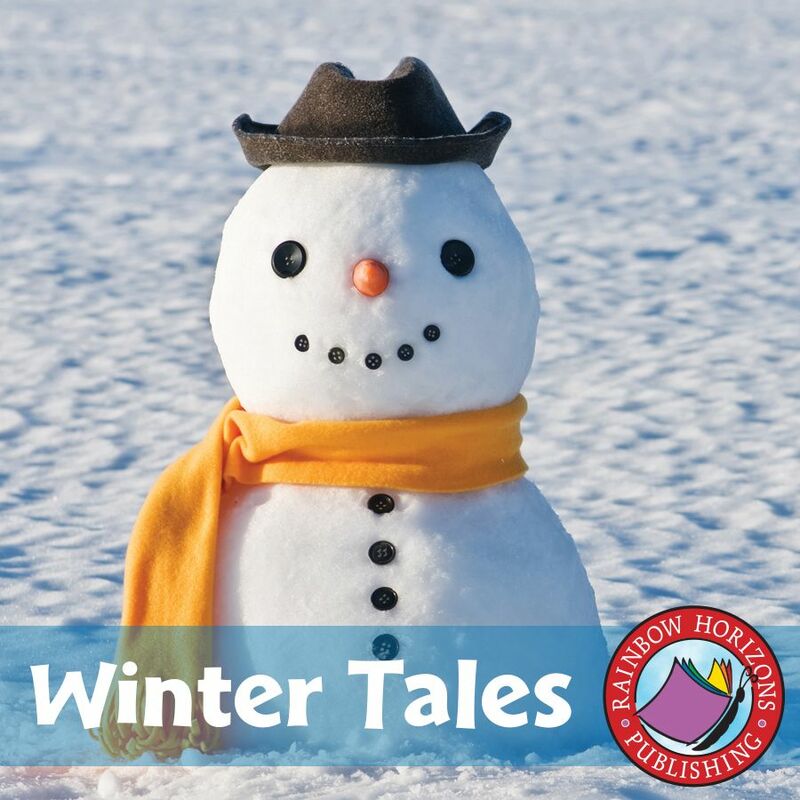 Curl up by the fire with a great book and enjoy those blustery evenings indoors. 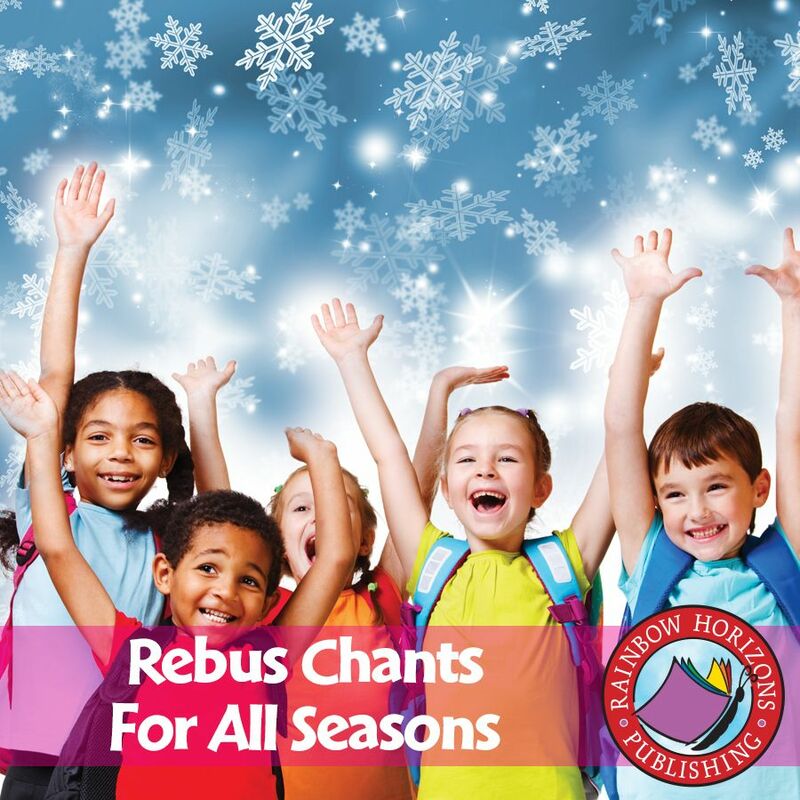 Get into the spirit of this magical season with these great winter-themed lesson ideas. Find out how people all around the world celebrate this cold season. What is the climate like? How are the holidays celebrated? What are some different traditions and pastimes? 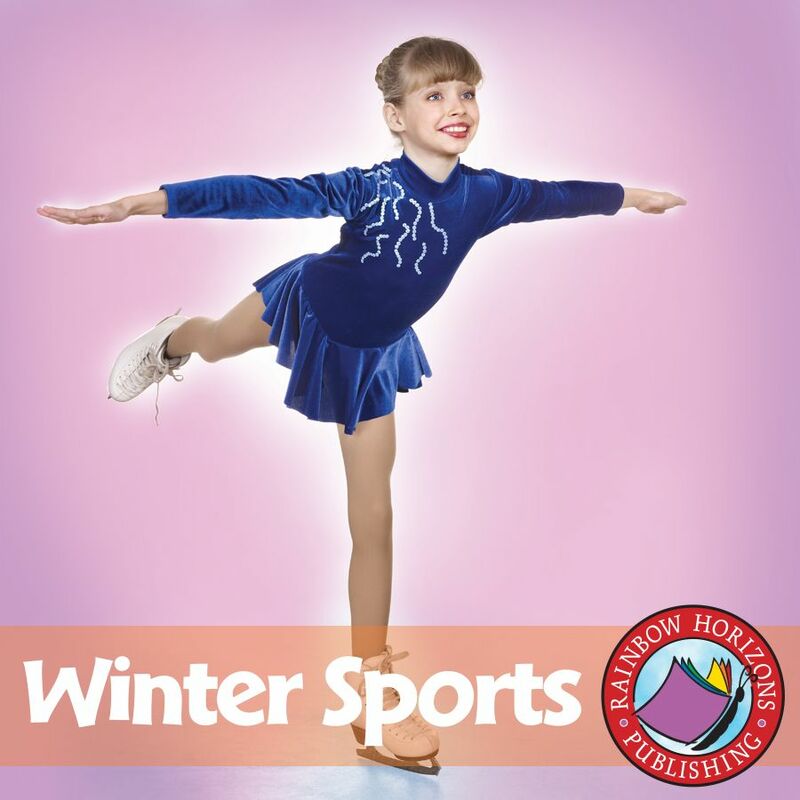 Explore different sports and activities that only happen this time of year. 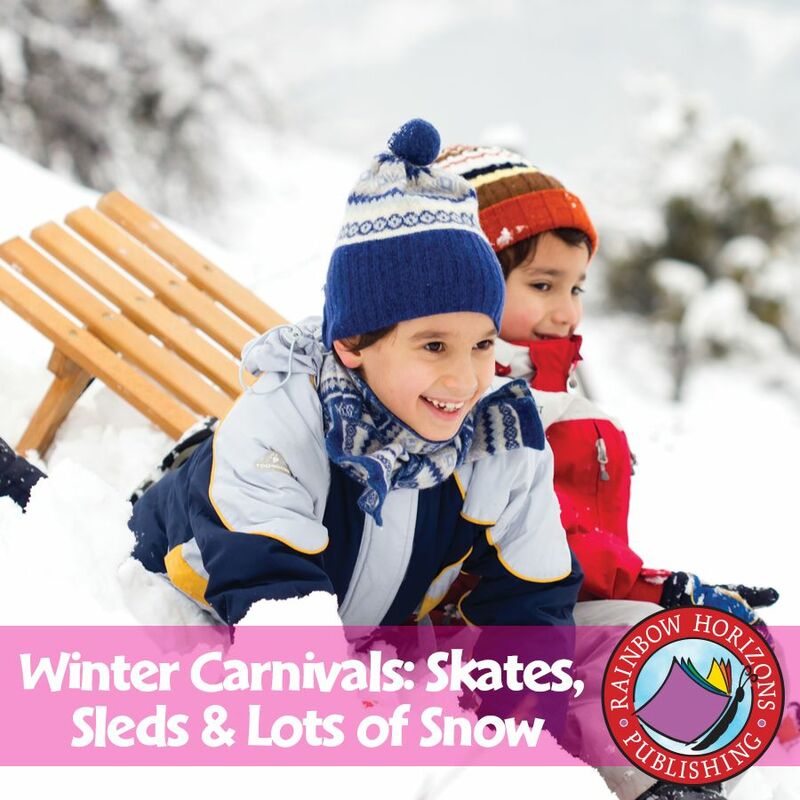 Stay warm and active with great winter-themed games, like sledding, snowshoeing and building snowmen. Bring outside STEAM-based experiments indoors with winter-themed activities. Winter is a time of change. We see the temperature drop and liquid turn to solid. Conduct an experiment to teach about changes in states of matter. Watch ice grow by placing an unopened bottle of water in the freezer to get it nice and cold, but still a liquid. Then, pour it over a container filled with ice. Create a frozen bubble by placing it in the freezer for 30 minutes, either on a plate or on the wand. This season, put on a holiday concert. This could include just the classroom or the entire school. Start by writing a winter or holiday-themed script. Make sure to include many different characters. Have at least three different scenes. Write out production notes, scene details, and the dialog for each character. Put on the play for parents or the entire school. 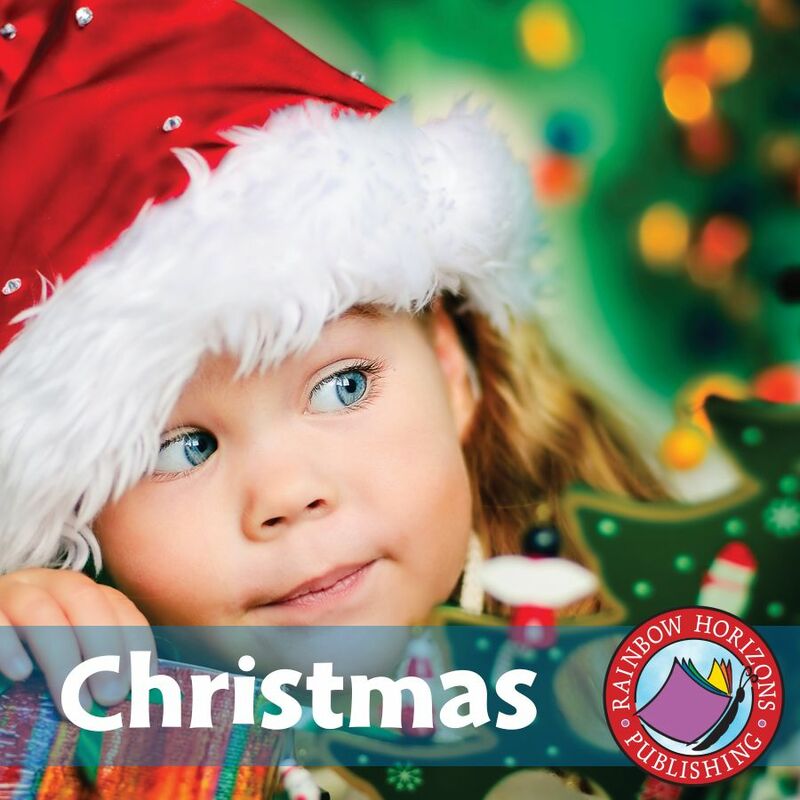 Show your creative side, or choose from our selection of ready-made Christmas-themed concerts. November is National Novel Writing Month. 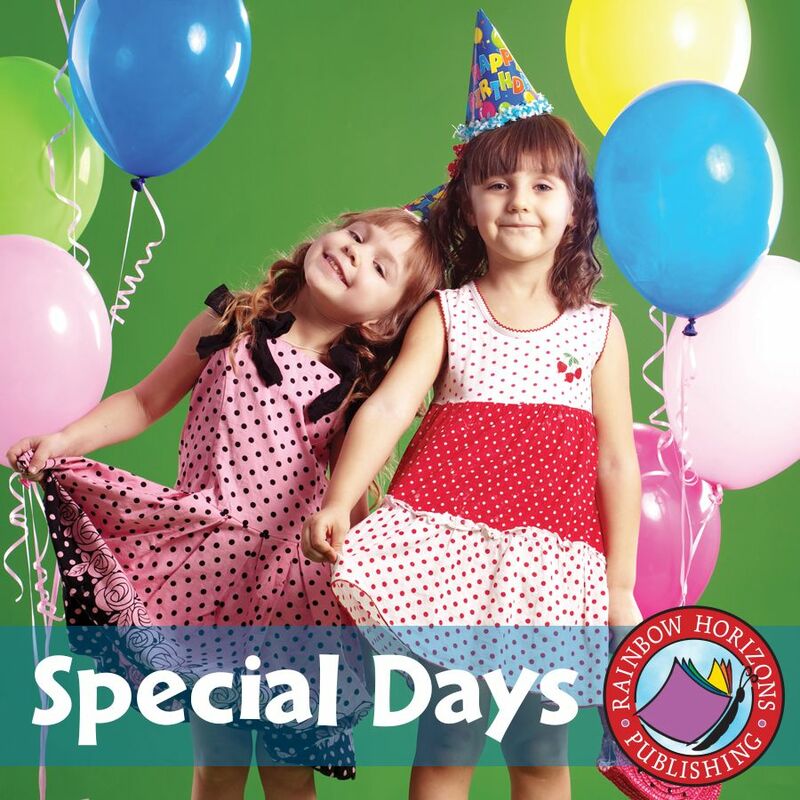 Bring out your inner author this month with themes that celebrate creative writing, literacy and authors of all kinds. Celebrate your favorite author this month. Look into their lives and the books they have written. Write a biography or create a presentation. Host an author's fair in your classroom. Have each student choose their favorite author. Each booth will focus on one particular author. Go around the room to learn about the different authors throughout history. What were their struggles? What were their accomplishments? What do you like most about their books? Become the author this month. Write your own short story and share it with the class. Or, write an alternate ending to one of your favorite books. You could also write your own sequel to an existing book. The options are endless. 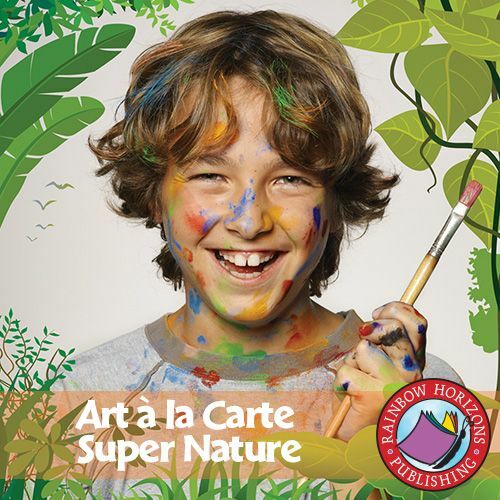 Show your creativity by drawing the pictures for a classmate's book. Create the cover art of your own. 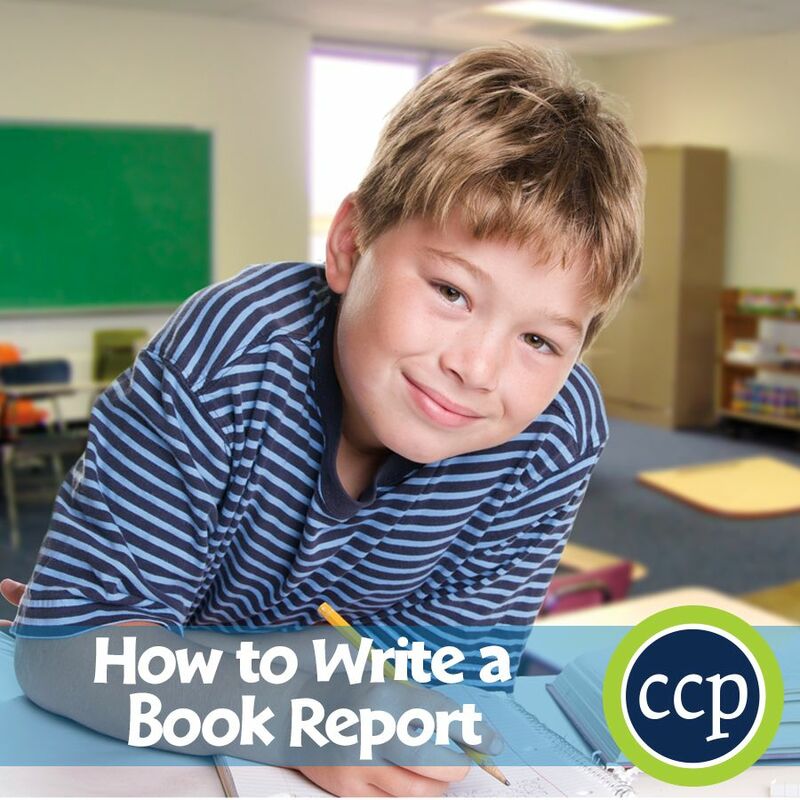 Write a book report or review of your favorite story. Share your opinions with the class in a healthy discussion. Read your favorite book this month. 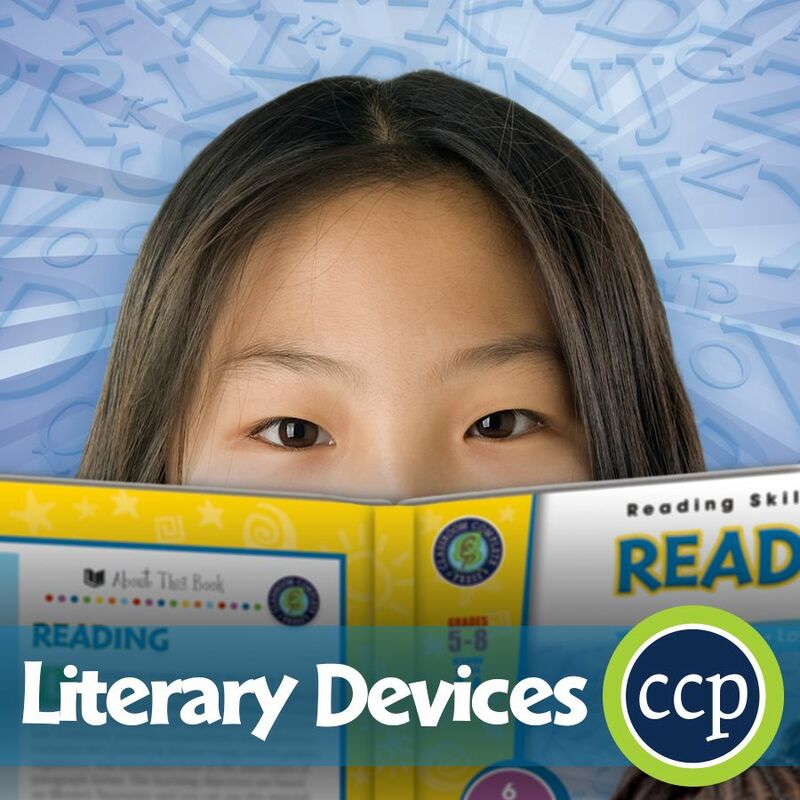 Promote literacy and reading comprehension with independent reading or reading circles. 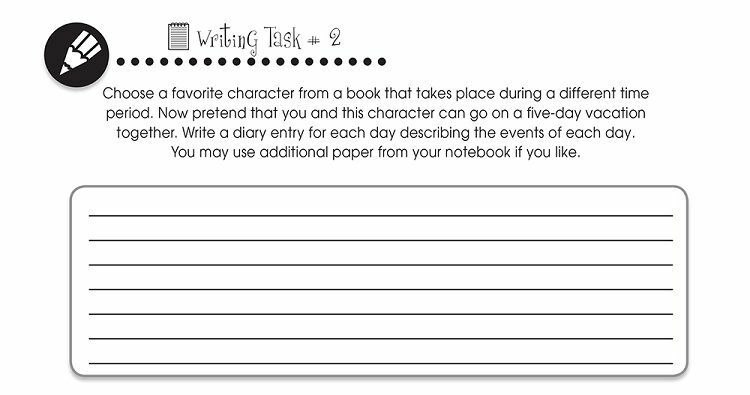 Keep a journal summarizing the events that take place in each chapter. Write down all the vocabulary words and their definitions. Find synonyms to replace words you don't understand. Summarize your favorite book in only a few words. 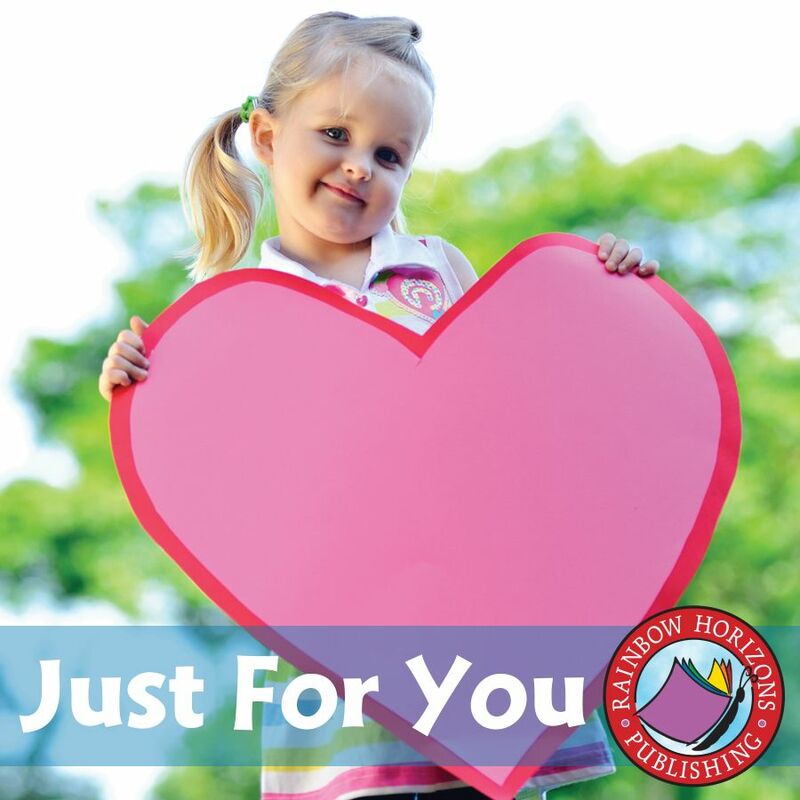 Share your love of reading with others and see how many great new books you can read. Arguably one of the most popular holidays for kids (after that wintery one of course), due to its costumes and candy fare. Halloween can be a tricky thing to celebrate in the classroom. But there's lots more to this spooky day than just costumes and candy the kids love. 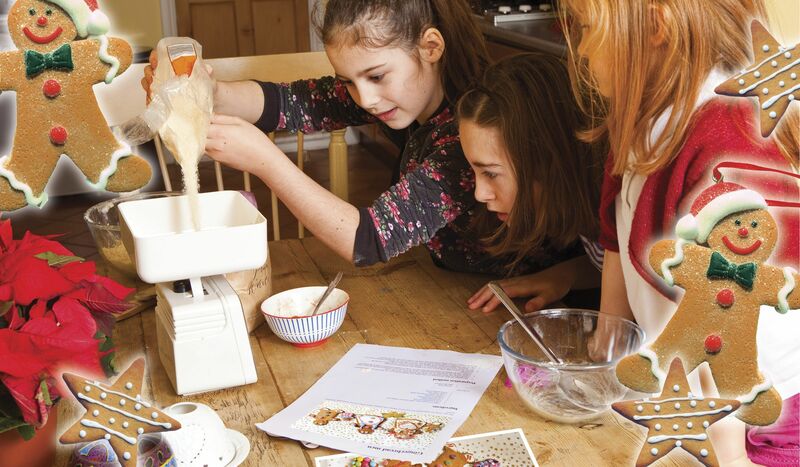 Explore the intricacies of this holiday with your students with these craft and lesson ideas. You could always stick with the classics: pumpkins, ghosts, spiders. But what if this year you got more creative. Tie your crafts around a central theme or subject. 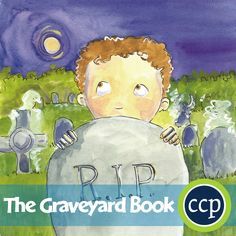 Depending on what you want to focus on, you could have a very informative and fun Halloween in your classroom. Think Universal Monsters, like Dracula or Frankenstein. These iconic characters originated in English literature. Carry this as your theme with related crafts and activities. Do an age-appropriate analysis of the novels these monsters originate from. Compare how these monsters are depicted in film or television. Have your students create self-portraits as these monsters. Turn your classroom into an old-school drive-in theatre and watch clips of the classic Universal movies. Write short stories using these monsters as characters. The possibilities are endless. In social studies, what comes to mind is history. Spend the day researching the origins of Halloween. It's customs, superstitions, and traditions throughout time and place. 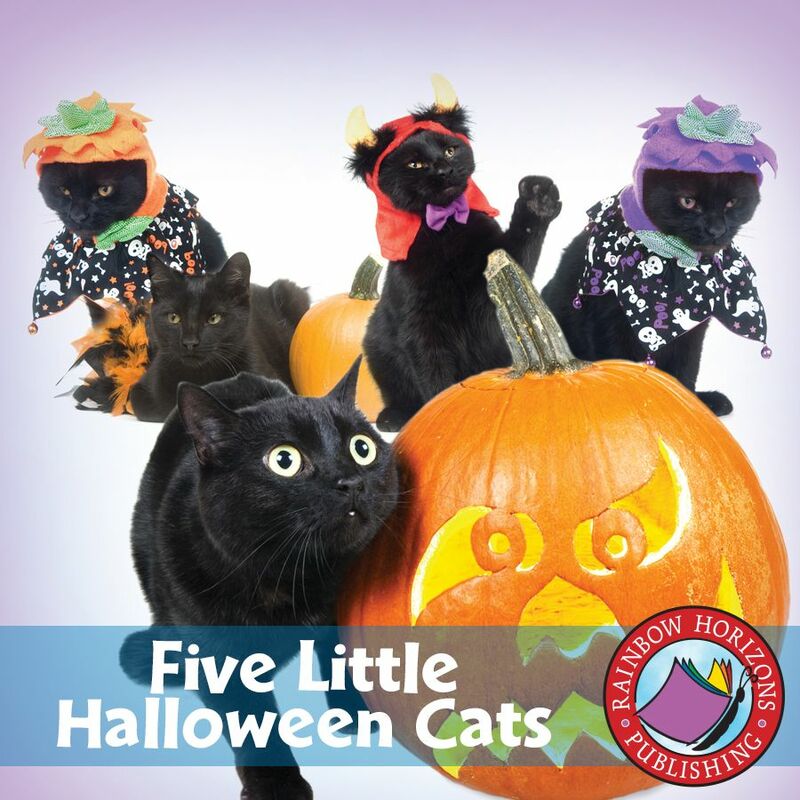 Turn your classroom into a time machine and visit the first Halloween. Learn about Mexico's Day of the Dead celebration. Make classic Halloween treats to share. Play a trivia game with different Halloween facts. 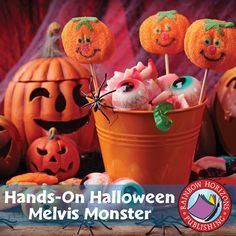 Throw a classic Halloween party with bobbing for apples, all the while teaching about the origins of each activity. 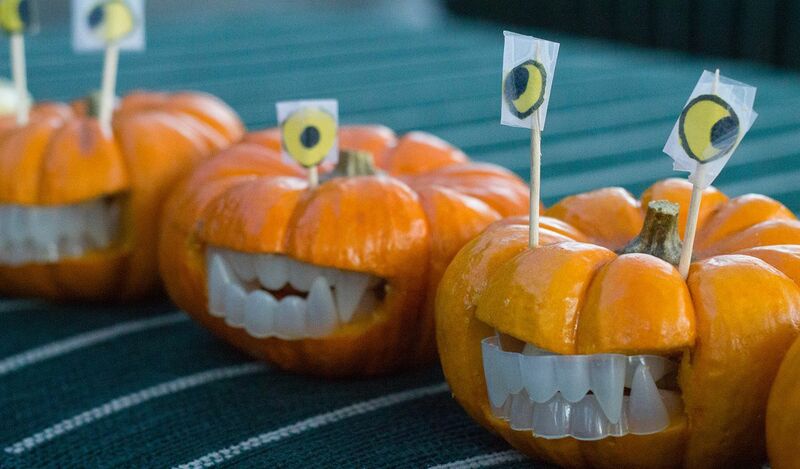 Bring STEAM into this holiday with fun Halloween-themed experiments. Carve out a pumpkin and make it erupt using the same principals as a baking soda volcano. 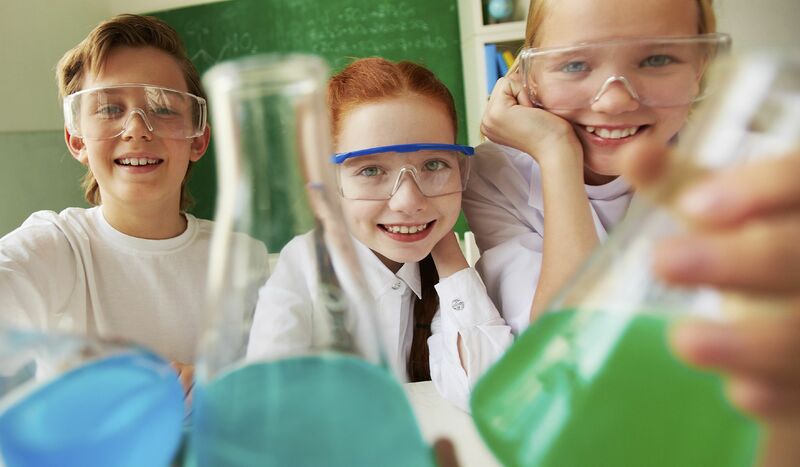 Turn your classroom into a mad scientist's lab and dress the part. Conduct ghoulish experiments and grow your own animal specimen in bottles. Or, turn your classroom into a witch's den and make potions in your cauldron. Use everyday household ingredients to make your potions worthy of a Harry Potter novel. It's that time of year again: BACK TO SCHOOL! This is an exciting time of new beginnings and fresh starts. Armed with crisp notebooks and sharpened pencils, students enter the classroom eager to catch up with old friends. But there's something else just as exciting: a new curriculum. This is the perfect time to get students excited about what's to come this year. Whether it's a great novel they'll get to read, a new science experiment they'll get to test, or a math equation that will open up new possibilities. Now's the time to spark their interest in creative ways. 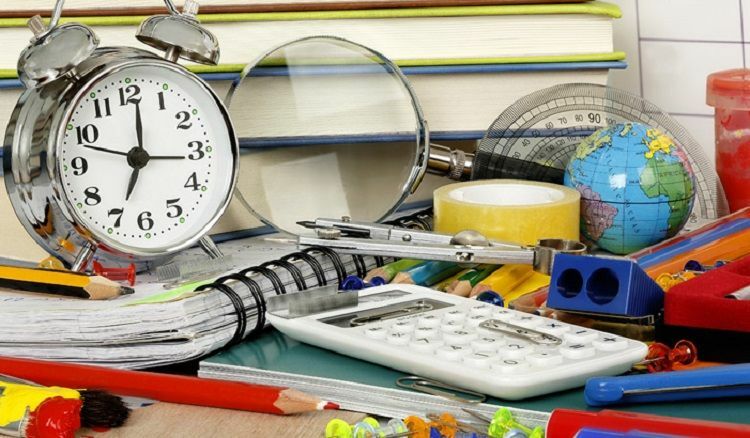 Here are some ideas to get students ready for Back to School. At least once a year, every student will have to read and comprehend a book. To get them into the mood, play an ice breaker game that follows a key theme from the novel they will be reading. Maybe the novel has some historical significance. You could "time travel" to that point in history as a quick introduction to the setting. 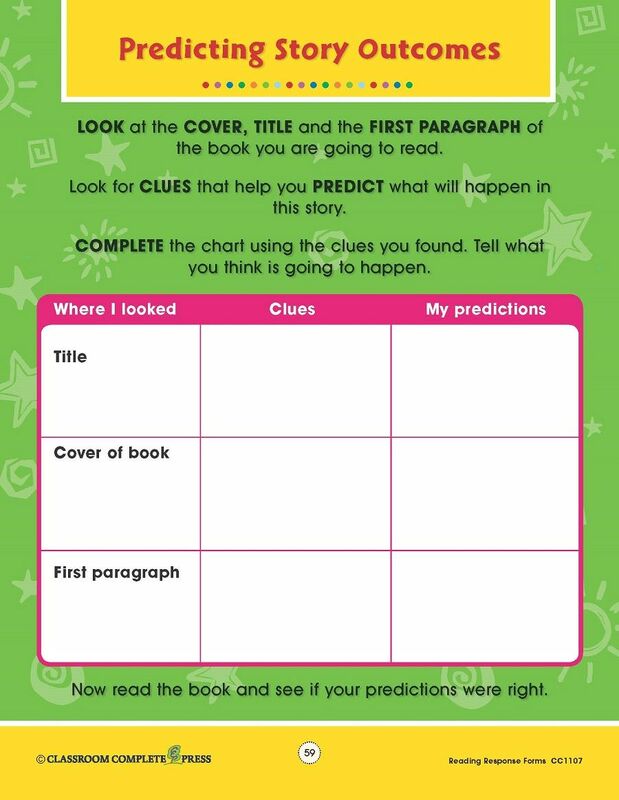 Show the cover of the book and open up the floor to predictions of what it will be about based solely on the artwork. 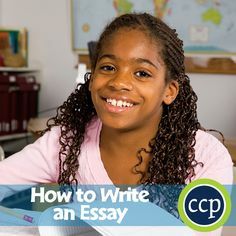 Students will spend most of their time writing. Whether it's a short story, an informative essay, or a science report. This activity accounts for the majority of a student's academic career. So, it's easy to understand that it may not be their favorite activity. 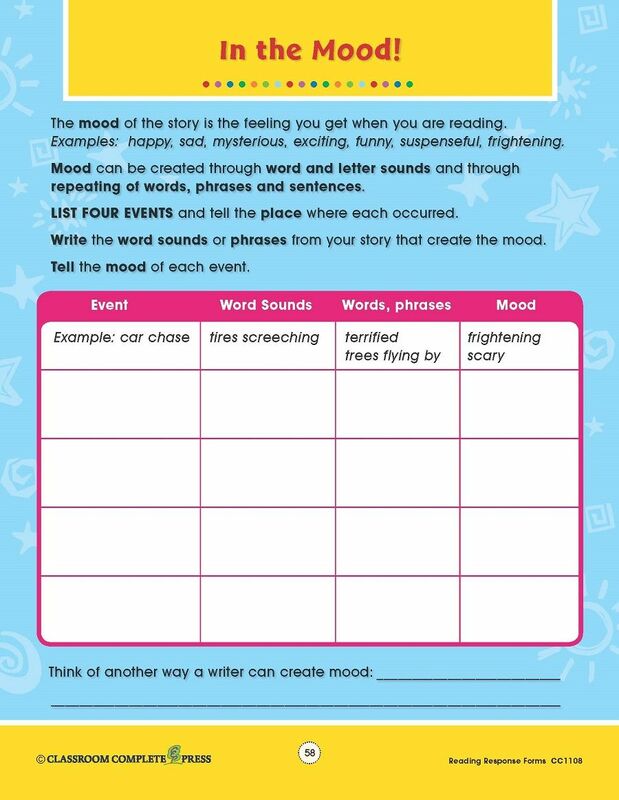 Get them in the mood with short writing activities. Give them large poster boards to write on. Let them show their creative side by making a summer vacation web. This web will showcase what they did during the summer without having to write a long narrative. Math—that subject that makes all students cringe. What they don't know is that math can be fun. Get them excited about numbers with drill activities and quick games. 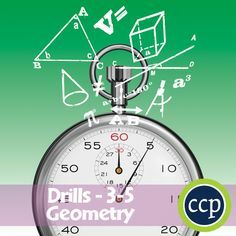 Set up a team-building challenge where students race to finish a set of drill questions. Learn about nets and have them construct three-dimensional shapes. Trick your students into having fun with math with brain teasers. 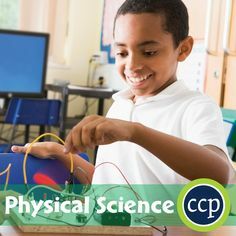 Science is a pretty exciting subject on its own, so you may not need to get your students motivated for this one. However, there's still some great ideas you can do to introduce students to a topic, just to get their feet wet and excited for what's to come. The best place to start is with small, quick and easy experiments. For a physics class, make miniature hovercrafts using magnets. For a chemistry class, make edible rock candy. For a biology class, change the color of a flower's petals. History is another interesting subject for students. Learning about key moments in our past is both educational and fun. 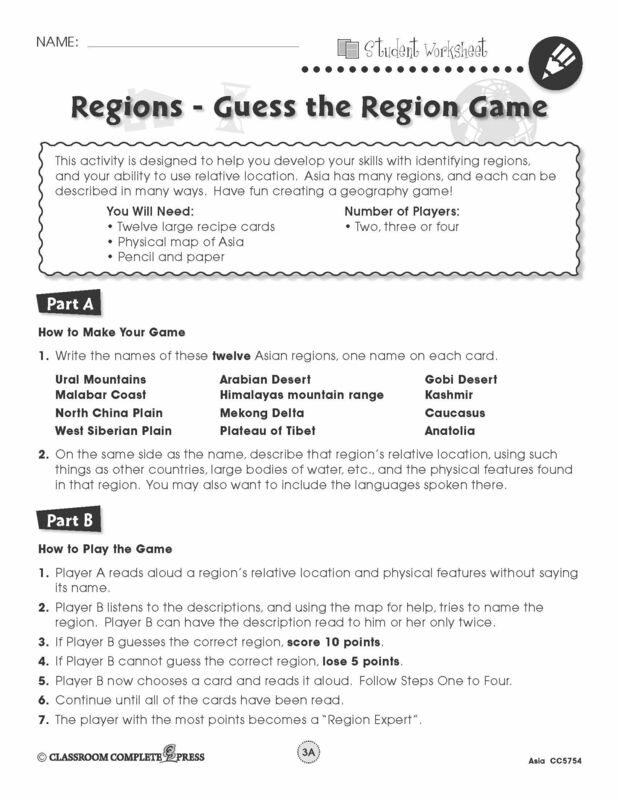 Get your students excited about the past with quick games and group activities. Play a game of trivial pursuit to see what they already know about things in history. Ask them to get into groups and re-enact a key moment in history for the class. Watch quick historical videos then have a group discussion to see what they comprehend. Daily Life Skills and 21st Century Skills are emerging topics. It may be difficult to incite excitement on these topics. 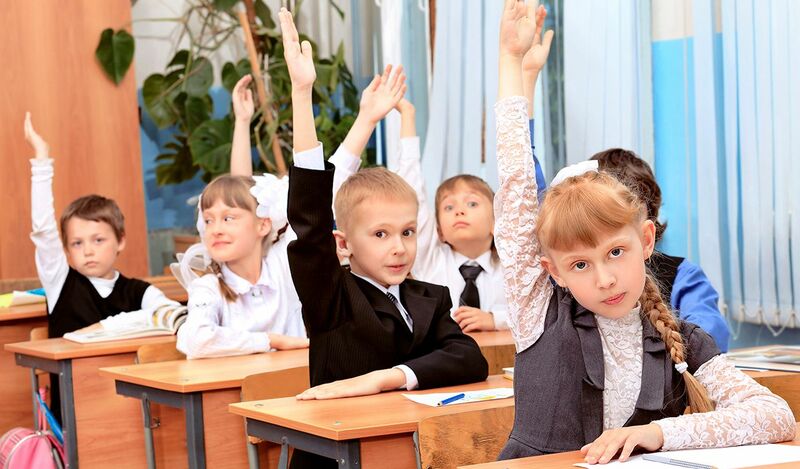 Get your students in the mood with quick games that deal with daily and 21st century skills. Play a large-scale role-playing game by transforming the classroom into a grocery store or restaurant. Set up a mock fridge and pantry and map out where certain foods should go. 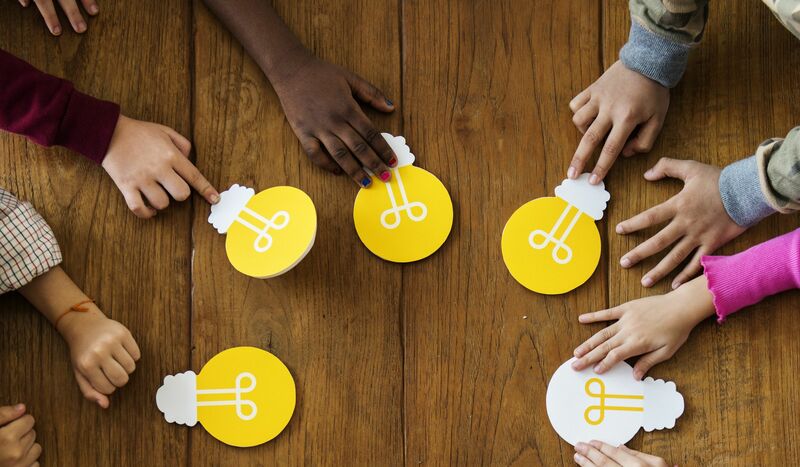 Gain teamwork and problem-solving skills by working in small groups to solve silly puzzles. 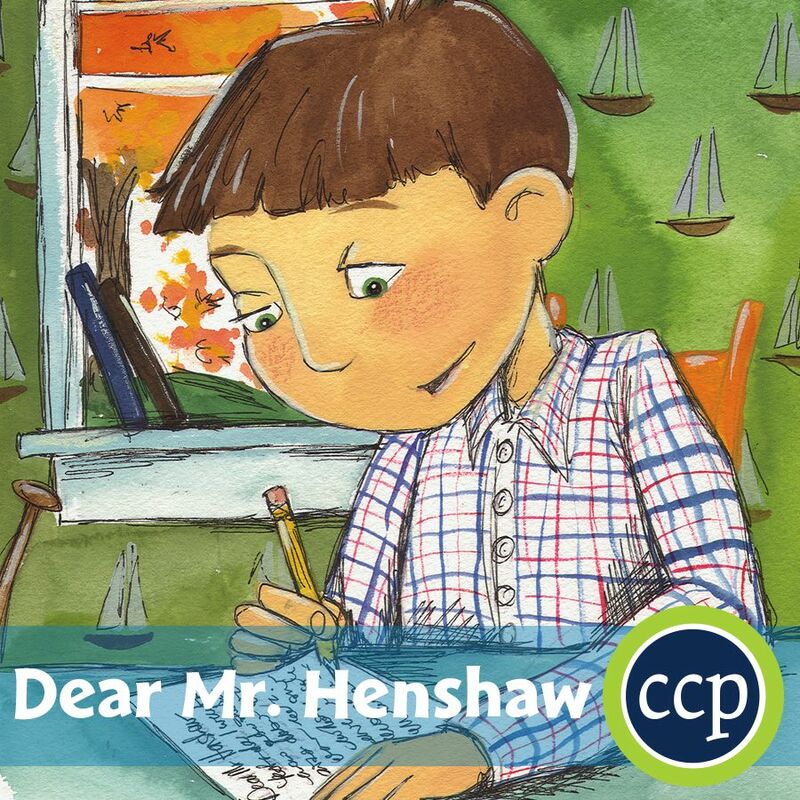 Did you know that every CCP resource book comes with an informative TEACHER GUIDE that includes built-in TOOLS perfect for student assessment? All our Teacher Guides include clear instructions and colorful graphics. 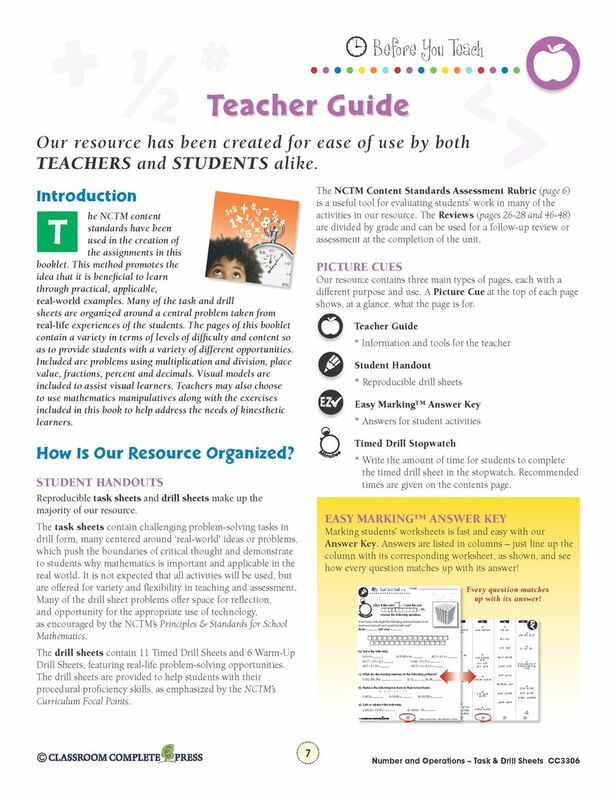 The How Our Resource is Organized page provides a detailed breakdown of the resource, providing teachers with tips on how to maximize their unit. 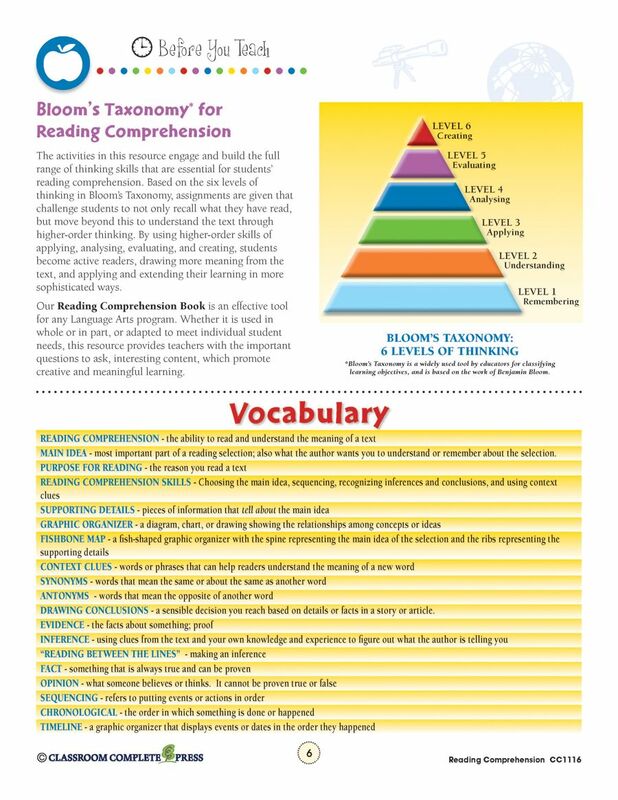 The Bloom's Taxonomy for Reading Comprehension page outlines how the 6 levels of Bloom's is utilized to ensure students comprehend the reading. Also included on this page is a list of Vocabulary words that will be introduced throughout the resource. 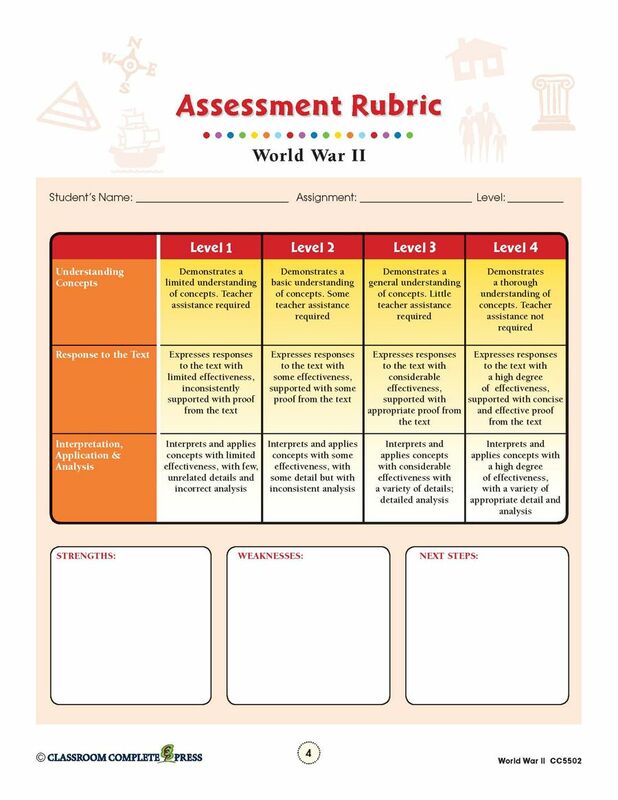 The Assessment Rubric allows teachers to quickly and easily grade their students' progress. 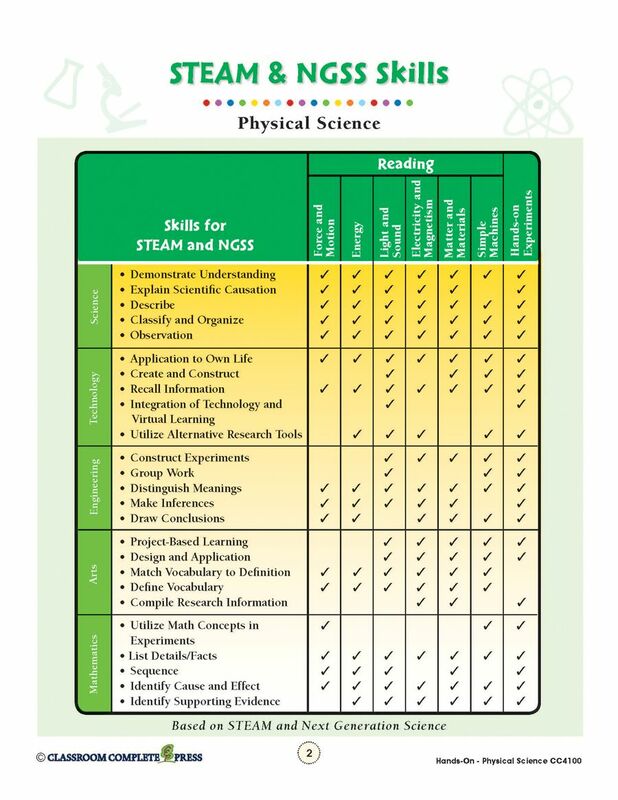 The STEAM, NGSS & Critical Thinking Skills Rubric show you how each section of the resource aligns to these standards. Hello, and welcome to CCP Interactive. My name is Harriet, and I'll be the first voice you'll hear when you call us at CCP. As your main customer representative, I can also be reached directly at our email address. 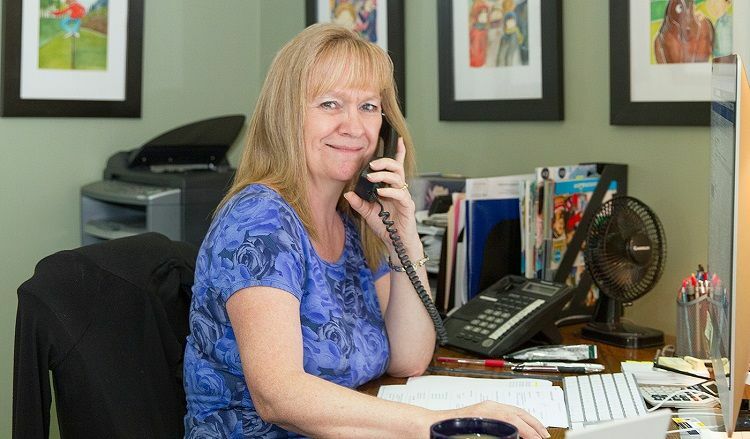 For over a decade, I've been working closely with customers to make sure they find exactly what they need. 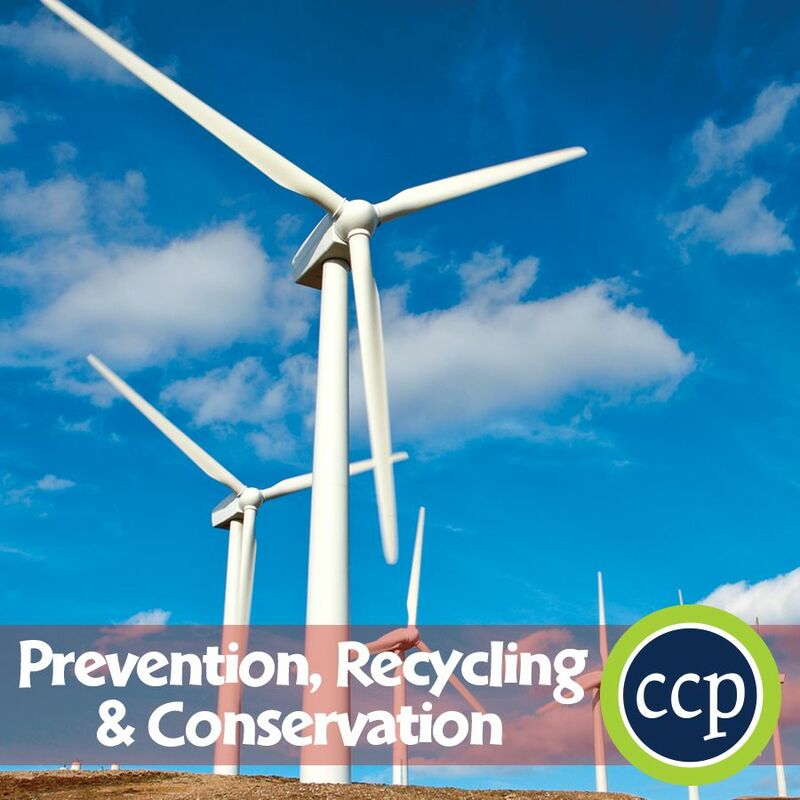 My primary role is to ensure that you have the right CCP products for your needs and that you get the material in no time. I am only a quick email or phone call away when you need personalized attention to help build your order with our best sellers and newest titles. This is our warehouse. 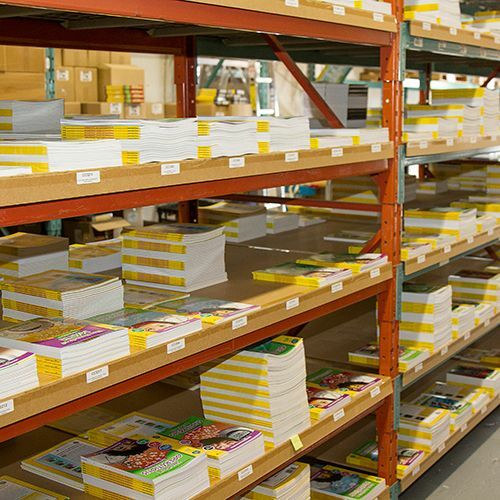 You can see we keep a large stock of all our titles on hand so you don't have to wait once you've placed your order. 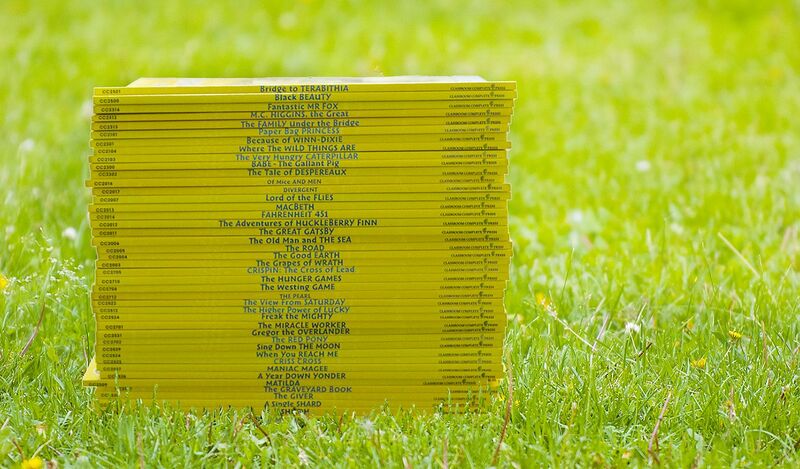 Of course, we also offer all of our titles as instant download PDFs and software, so the wait time after you've placed your order is non-existent. Let me help you. If you want any suggestions or to know what's included with all of our titles, please ask me. Along with sample PDFs and videos, I can give you all the information on a topic you are looking for. I can even help find the right resource to fit your needs. Get your resources fast. Delivery is instant with our instant download versions. You can find and get what you need within minutes. If you still prefer to get a physical copy, we ship same day so you get what you need fast. 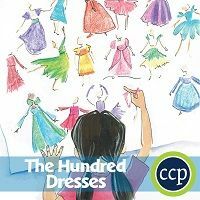 Head on over to our Classroom Complete Press website for shipped product. Thank you for getting to know me and my role at CCP. The end of the school year is looming. Year-long studies are coming to a close. Final tests are in the air. And the dog days of summer is just around the corner. So is the kick-off holiday of the season: July Fourth. For some, Memorial Day weekend is the unofficial start of the summer season, but with its proximity to school days winding down, Independence Day makes for a strong competitor in that category. Just because final tests and ongoing projects are coming to a close, doesn't mean there's no more opportunity for a little fun and learning to happen before that final day of class. Why not spend that last week with an impromptu celebration of one of the biggest holidays of the year. Set up a craft station for those artsy students. Provide a wide selection of craft materials, from paper and paint to wiggle eyes and pipe cleaners. 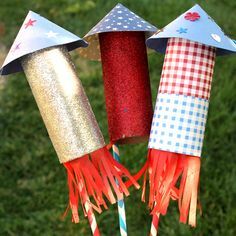 Leave them to their imagination, or provide them with these Fourth of July-themed craft ideas. What You'll Do: Paint the toilet paper roll any color or pattern. 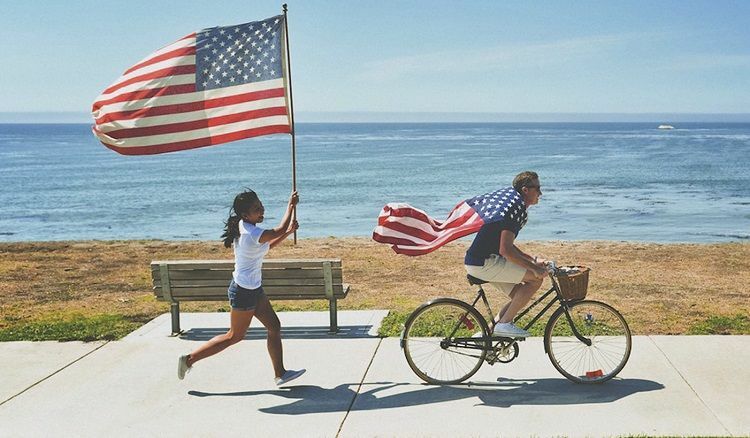 We suggest red, white, blue, stars, and stripes. Glue one end of the straw to the inside of the toilet paper roll. Make a cone shape with the colored paper and attach it to the other end of the toilet paper roll. Tear the streamers to make a flame effect and attach it to the end with the straw. What You'll Do:Fold the colored paper in half with the long sides together. Cut 1 inch wide sections along the folded end. Don't cut all the way through, leave about an inch of space. Unfold your paper and turn it in and attach the bottom and top together. You should have a lantern shape that bumps outward. 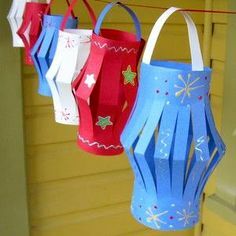 Cut stars out of the colored paper and decorate your lantern with them. Attach the ribbon around the top and bottom. Make a handle with the ribbon or colored paper. What You'll Do: Decorate your colored paper with a design, or glue a different color on the back of another colored paper. Cut out a square shape. From one corner to the center, cut a straight line. Don't cut all the way through. Leave a small space in the middle. Bring each corner to the center. Don't fold down. You should see a pinwheel shape starting to form. Push the pin through to attach the corners in the middle. Continue pushing the pin into the eraser of your pencil. For those dramatic students, set up a station for a short historical play. Here you can have your students research the history of Independence Day and choose their own skit that they would like to perform. There should be enough actors to fill each part, a director, a screenwriter, and set and costume designers. Here are some great stories to suggest. Set up one more area for your book-loving students. Here they can work together to create something in writing for the rest of the class to enjoy. It could be a short story, poem, or even a short lesson plan. Students can work together or alone writing a fictionalized short story. 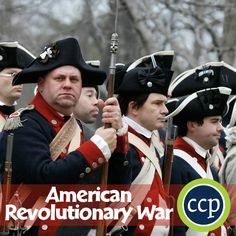 They could detail the events of the American Revolutionary War, or write about the adoption of the Declaration of Independence from the perspective of someone who was there. Students can choose to write a poem for Independence Day. Have them research the different styles of poems to help them. Students could also try stepping into their teacher's shoes and create a short lesson plan for their fellow students. They could choose to present this to a class or provide it in the form of a handout. Some information and comprehension questions should be included. 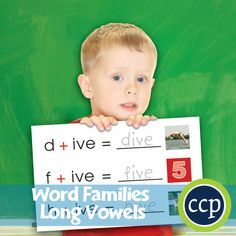 Also encourage them to include one extension activity, like a word search or crossword game. With Summer fast approaching and the end of the school year looming, it's hard to stay in the learning mindset. But just because class time is over, doesn't mean the learning has to stop. 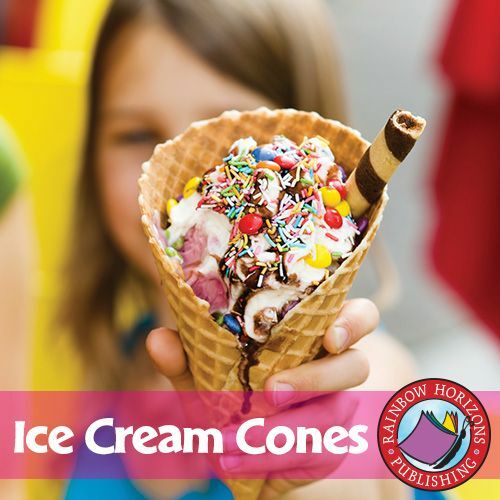 Why not assign a reading list over the summer holidays for your students? It's a great activity to keep the mind sharp while away from class. It's also a great time killer on those rainy afternoons. 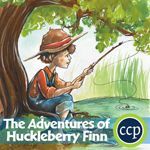 Check out our selection of Novel Study Guides to help you create your custom reading list for the summer. Why stop there? 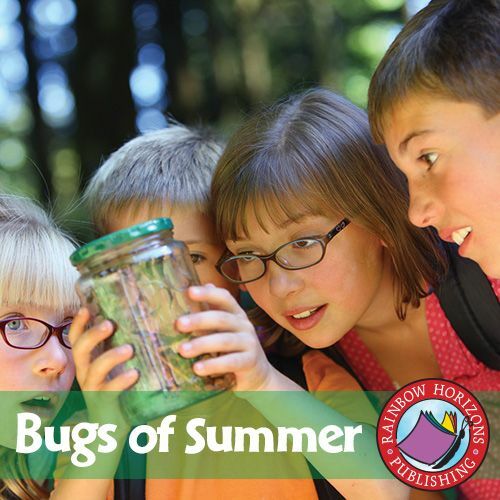 Give your students some summer-themed homework that will encourage them to have many adventures that take them outside. Send them on a scavenger hunt. Have them make a video showing how they celebrated the 4th of July. They could write a short essay describing what they did during their summer vacation. The possibilities are endless. 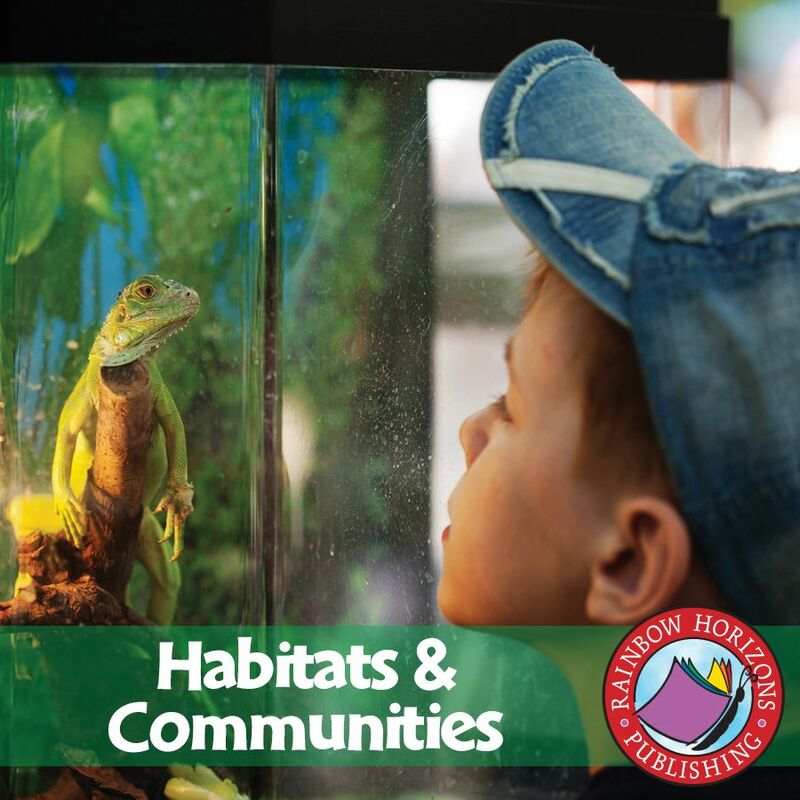 Check out some of these summer-themed resources to get some fun activity ideas to share with your students.